Steamfest was held on the 13th March this year after a week of unsettled weather which is felt kept the attendance down. 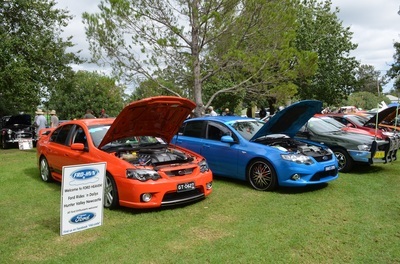 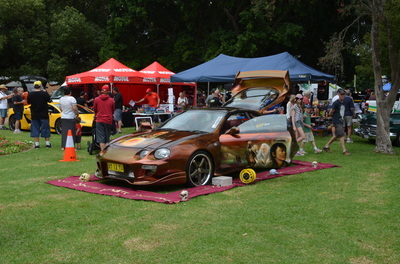 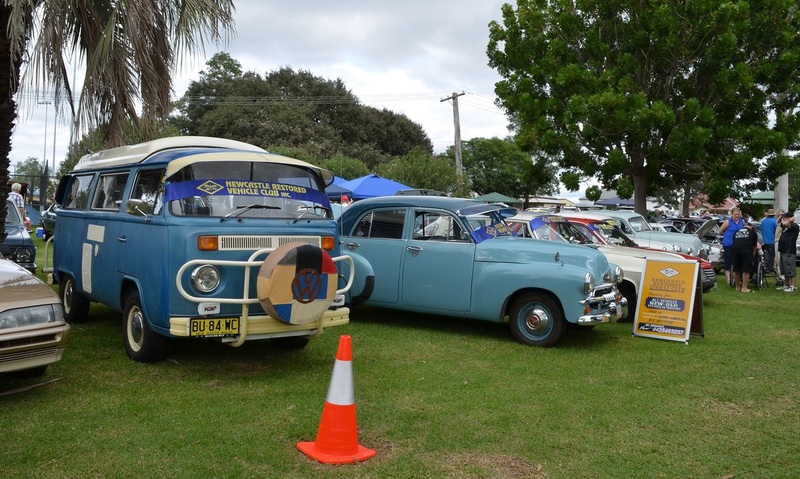 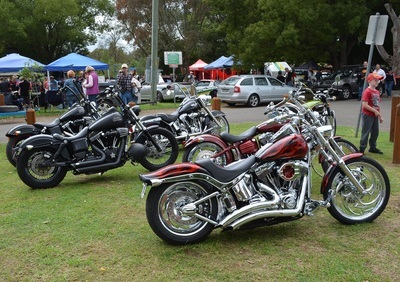 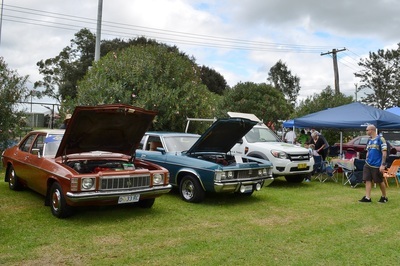 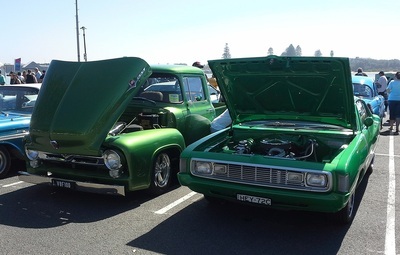 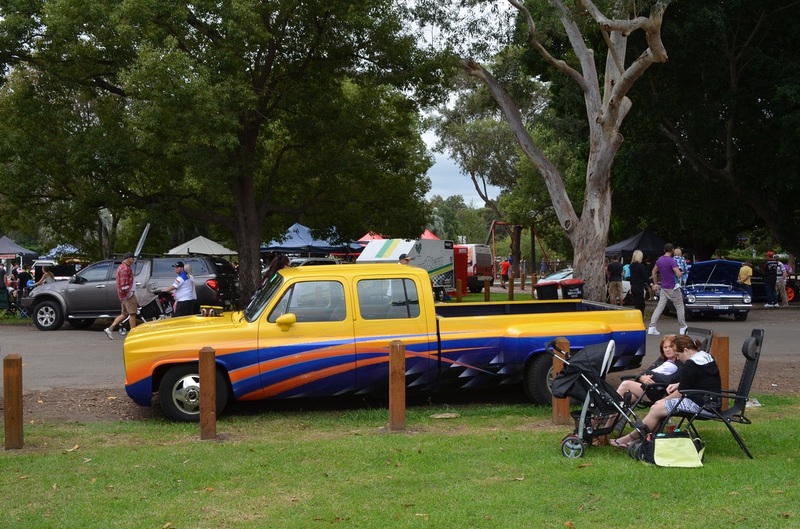 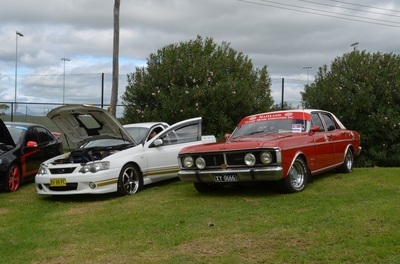 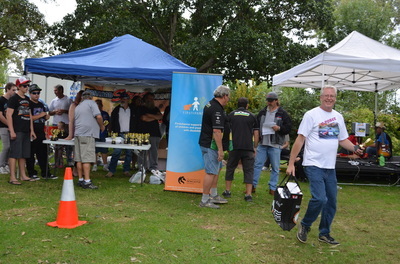 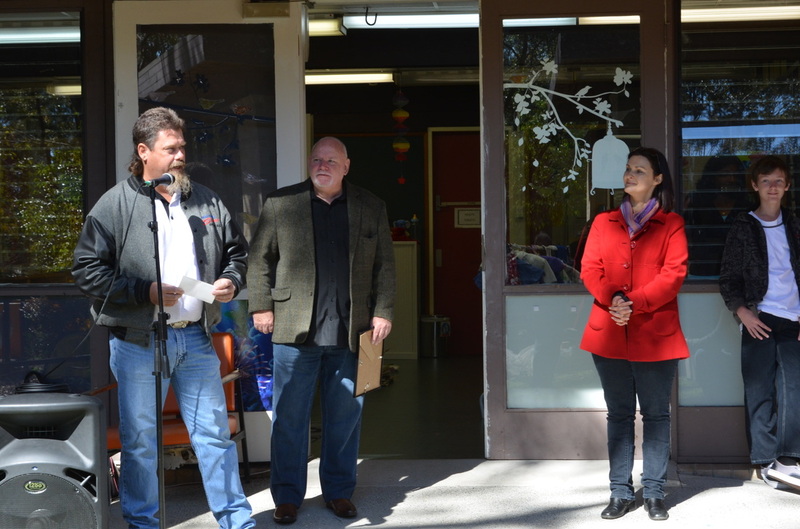 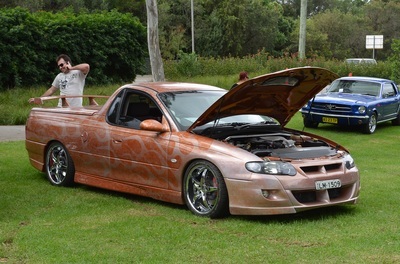 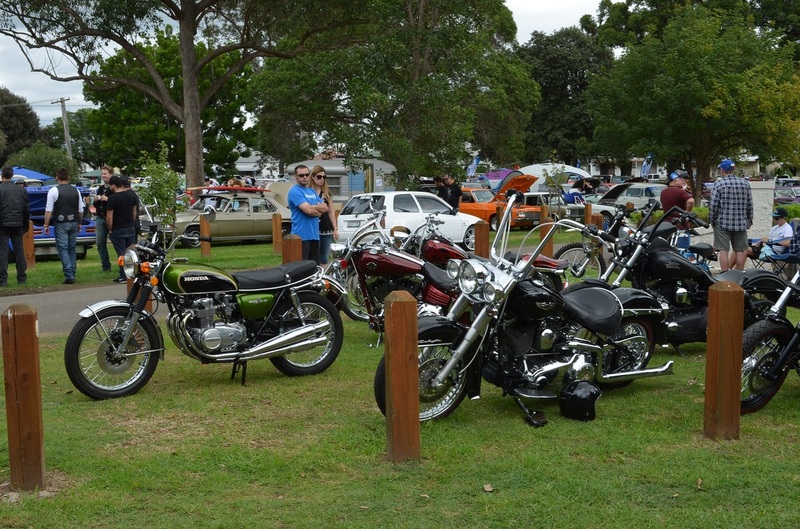 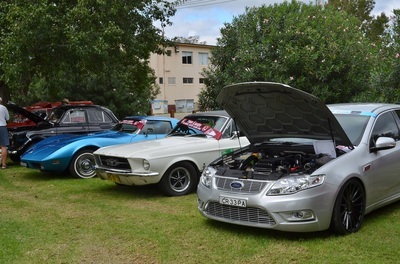 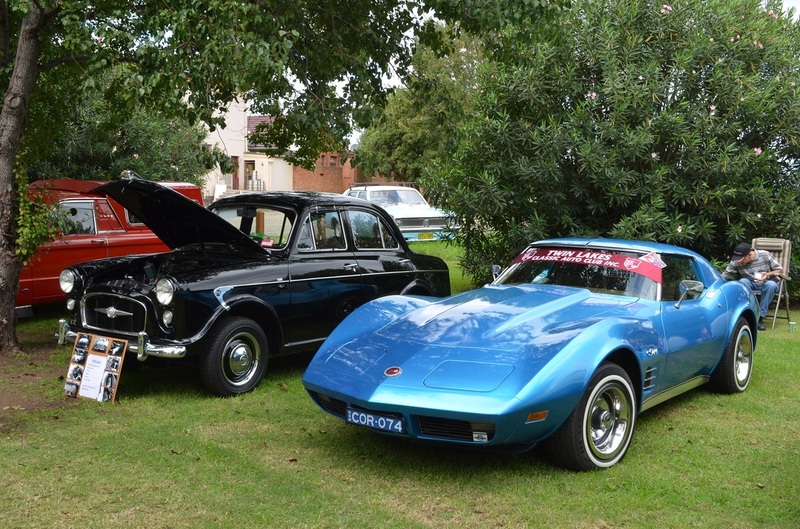 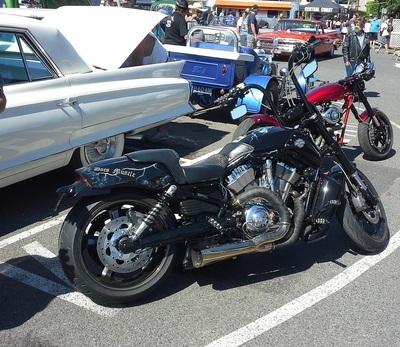 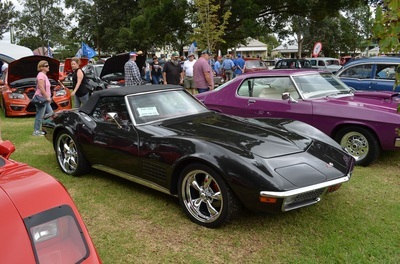 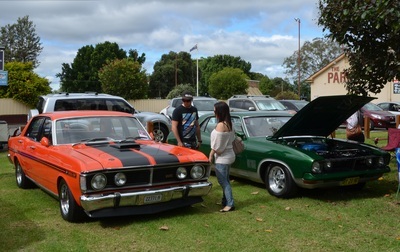 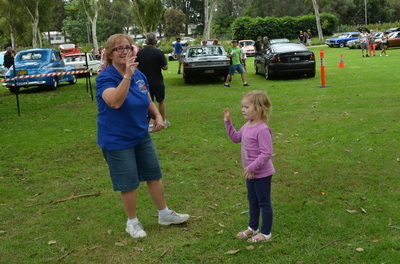 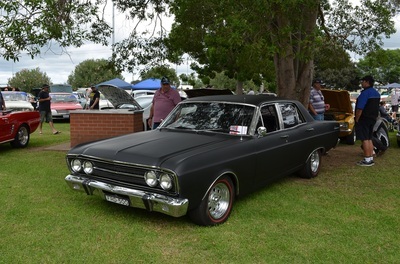 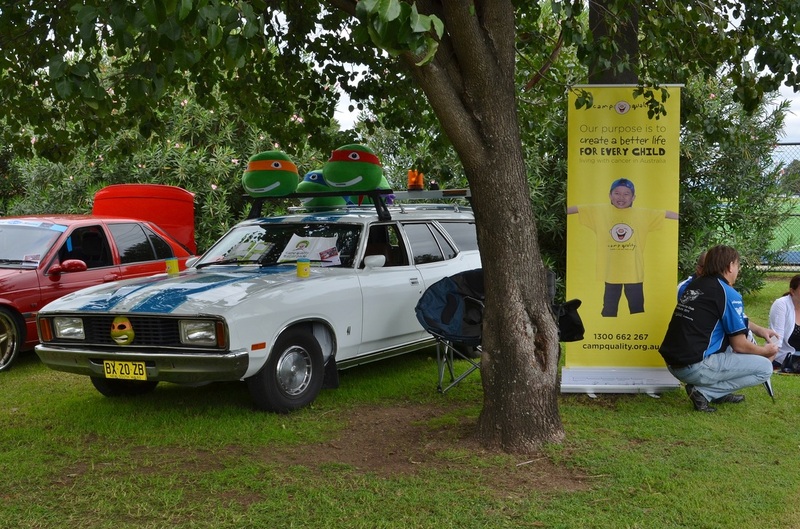 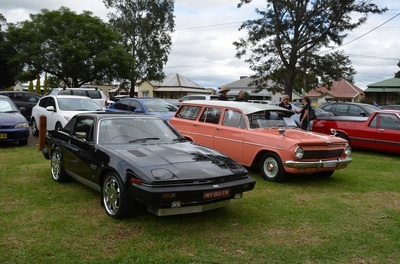 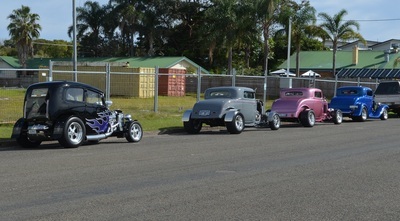 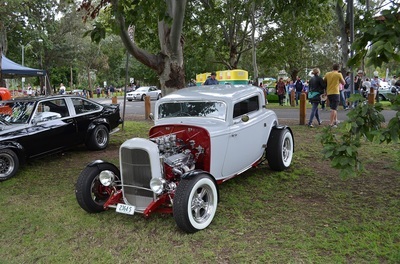 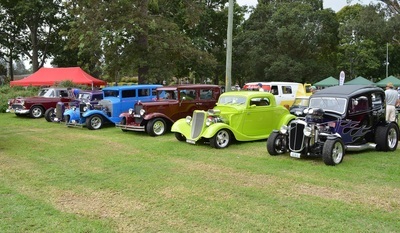 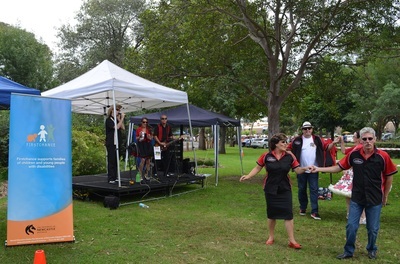 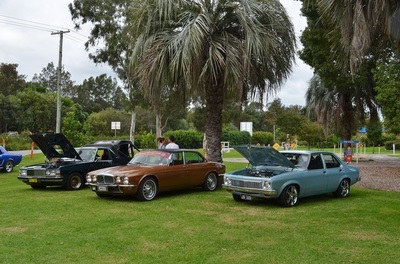 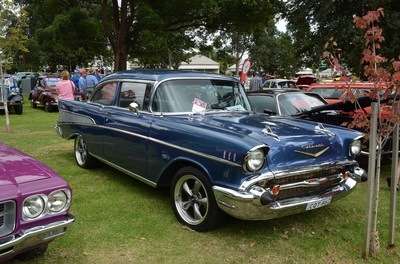 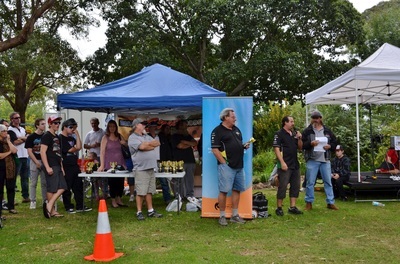 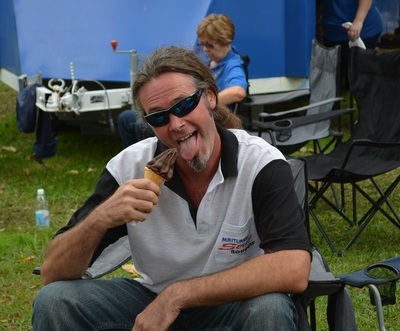 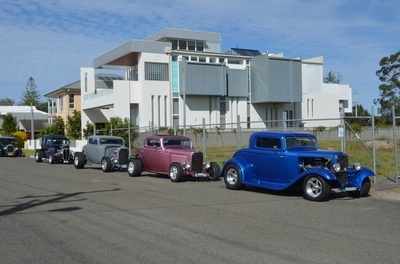 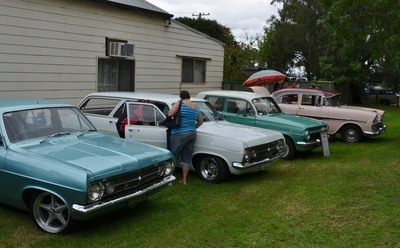 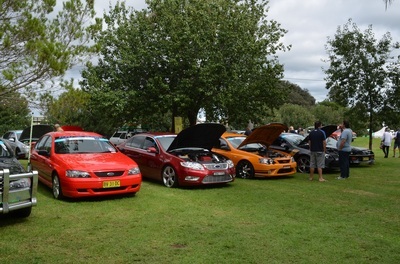 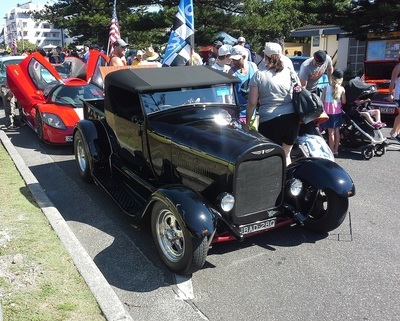 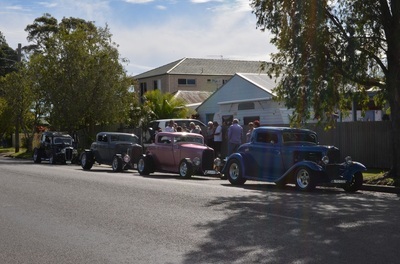 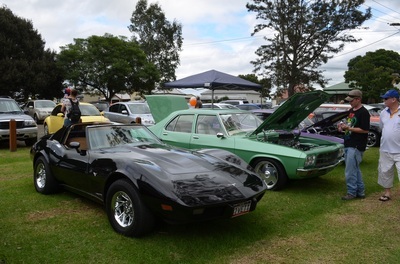 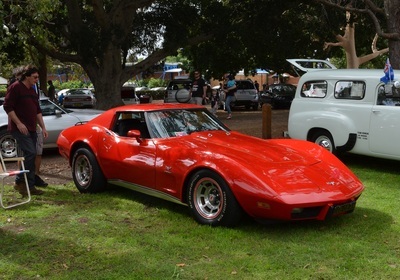 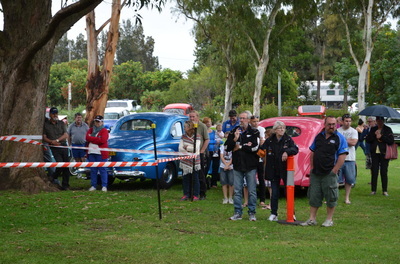 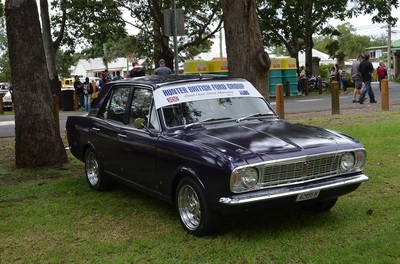 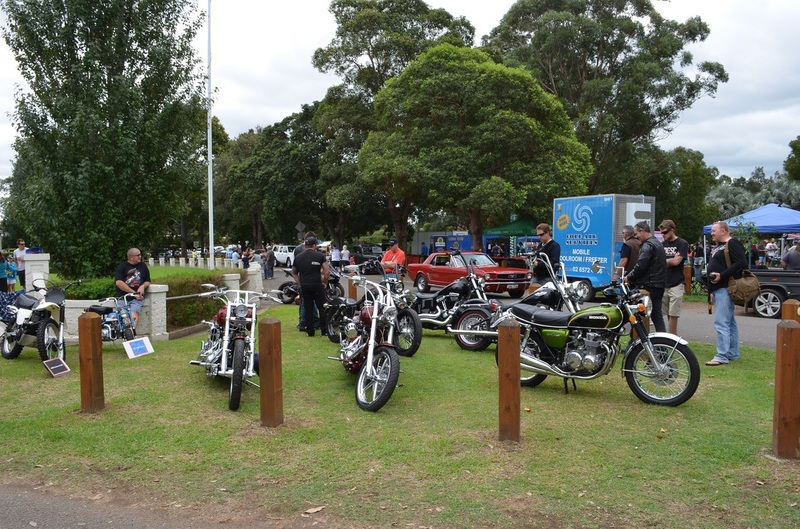 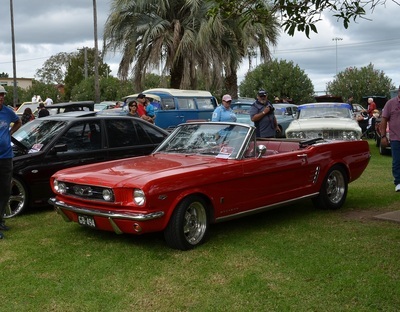 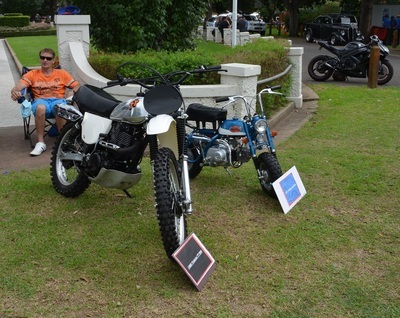 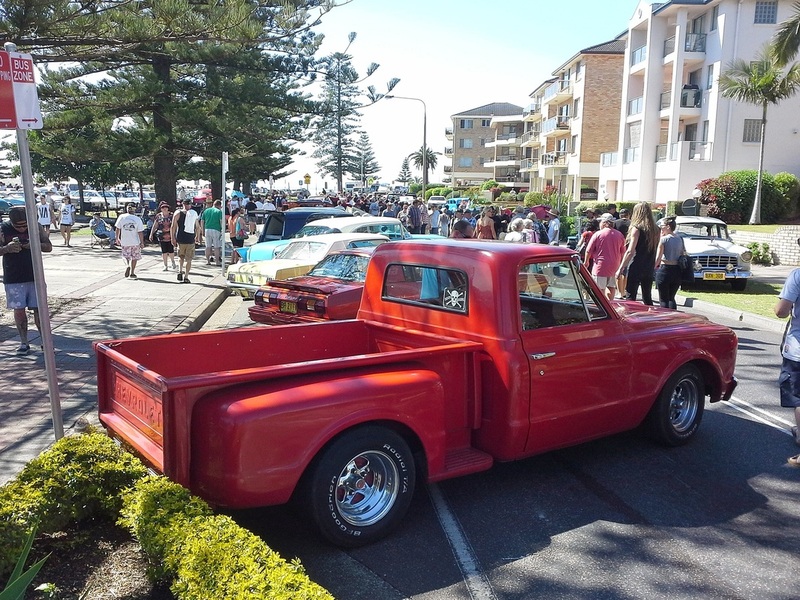 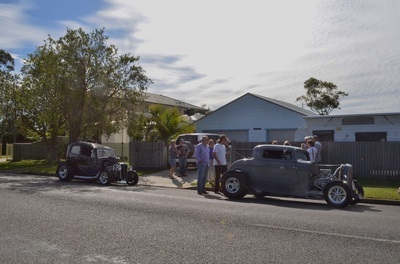 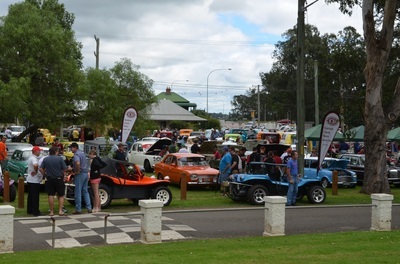 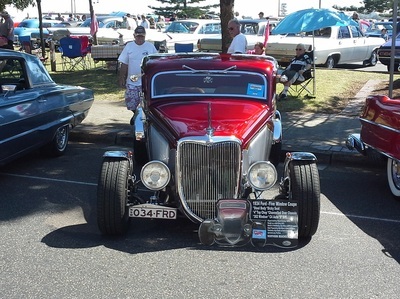 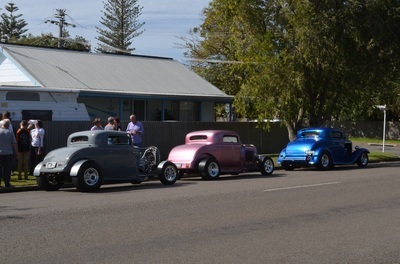 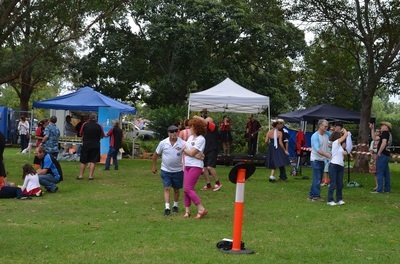 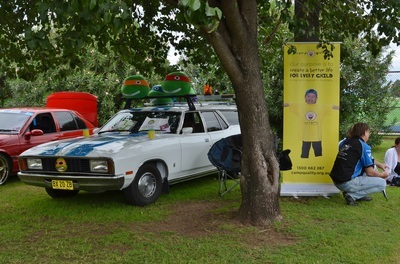 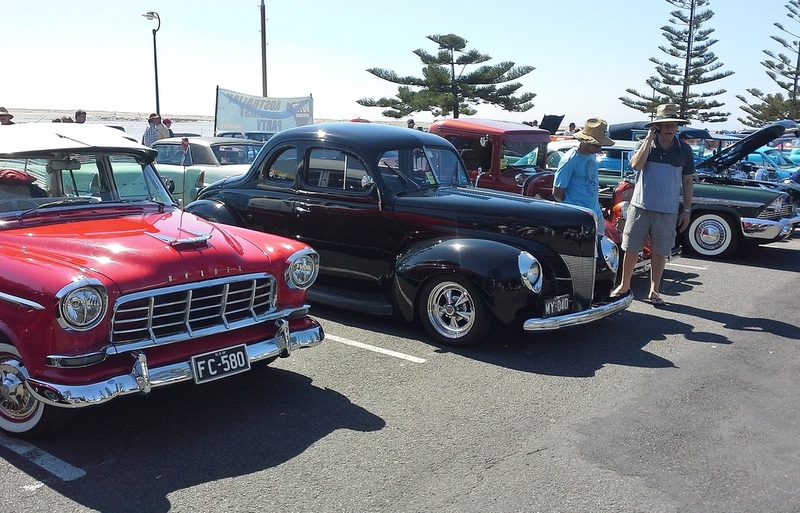 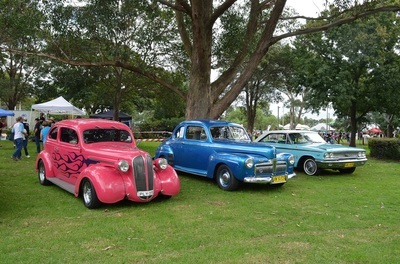 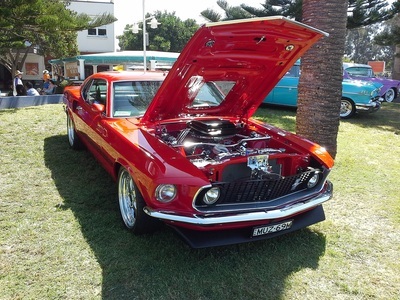 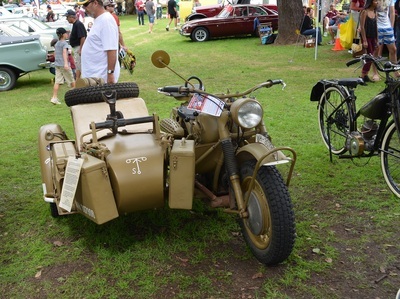 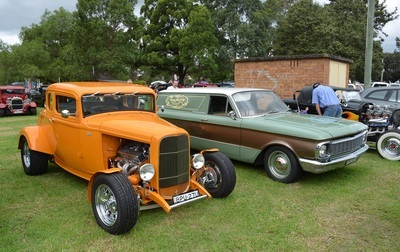 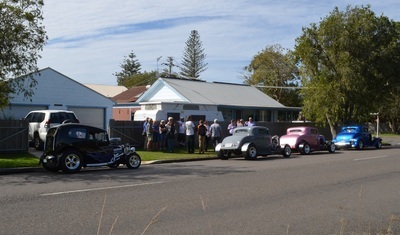 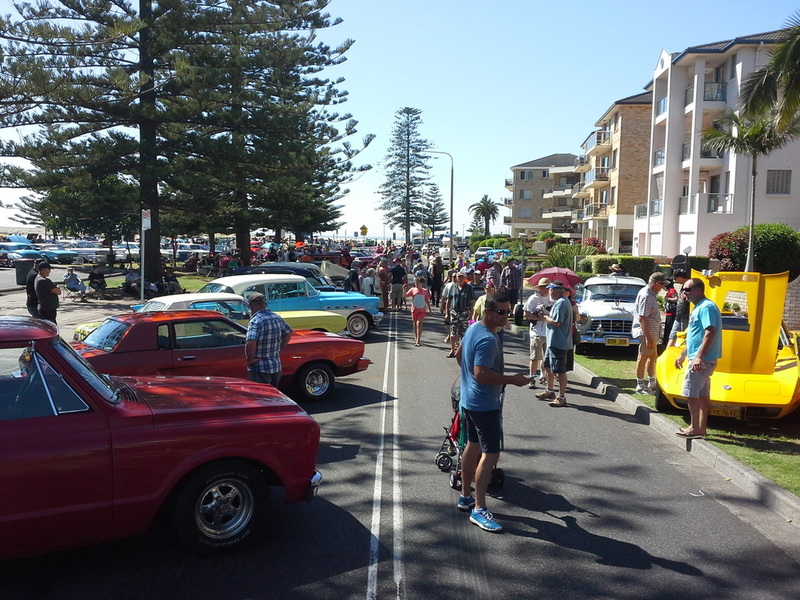 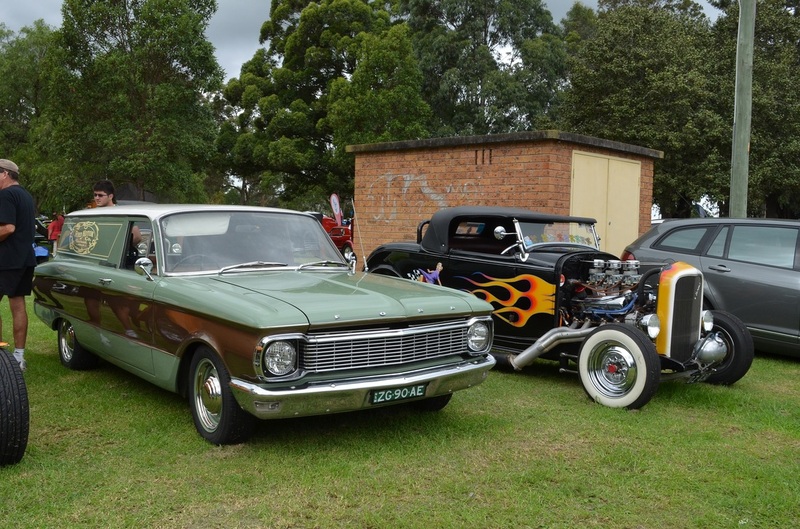 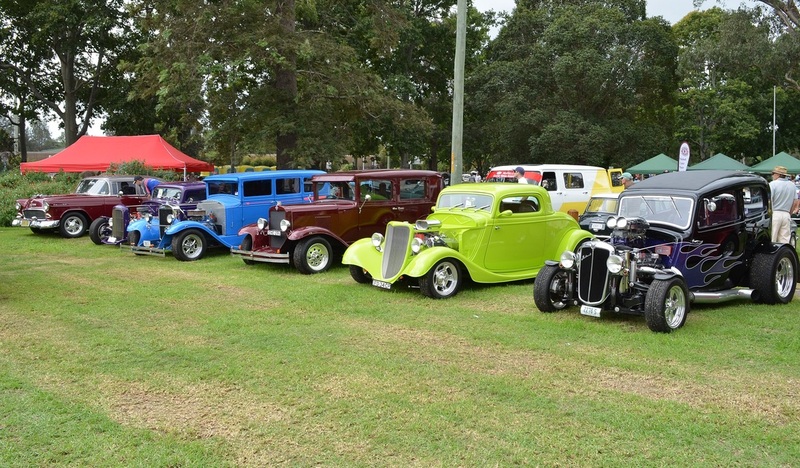 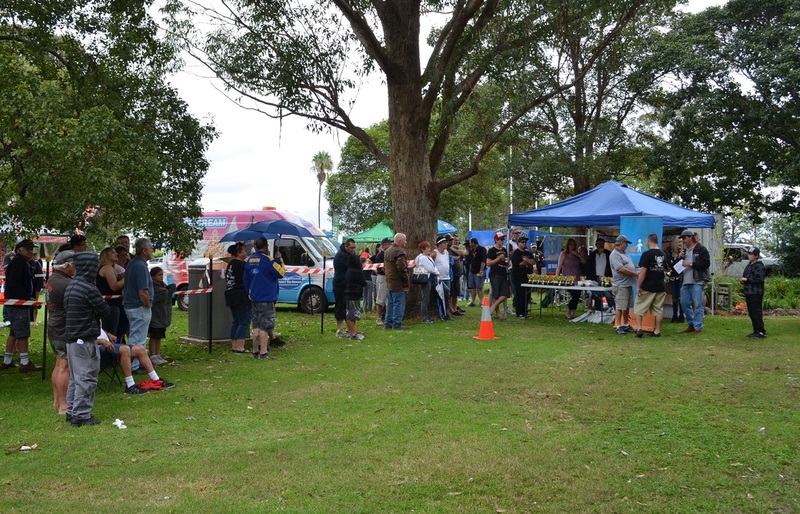 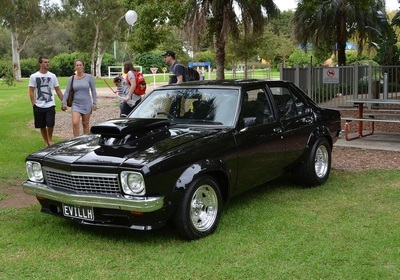 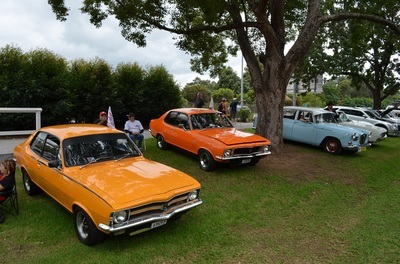 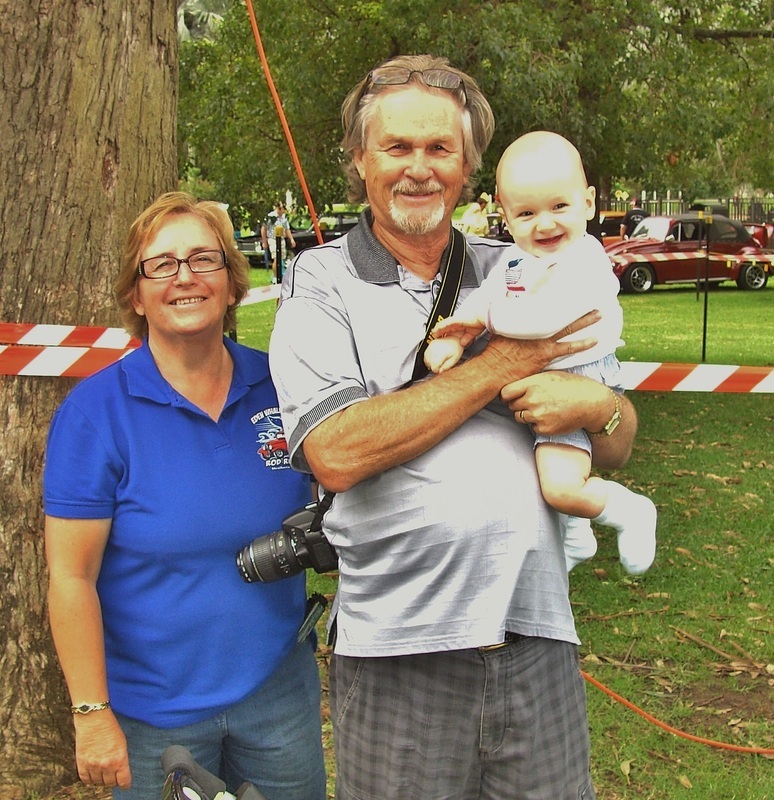 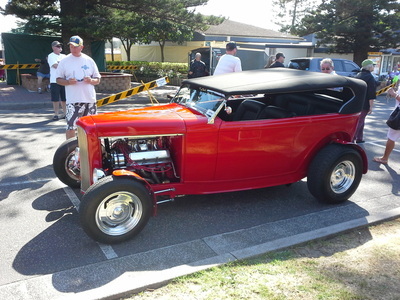 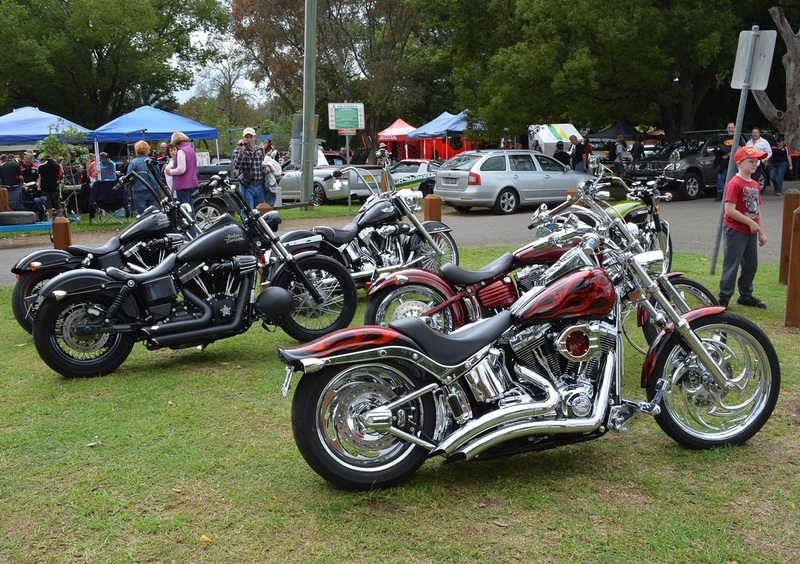 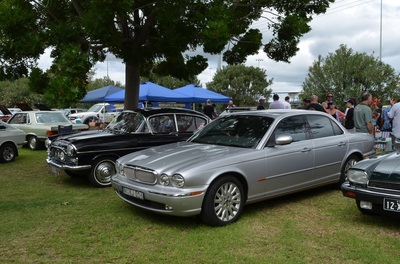 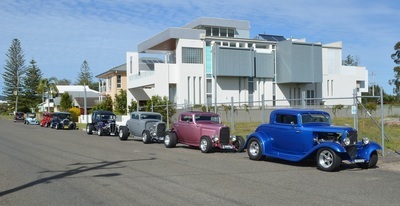 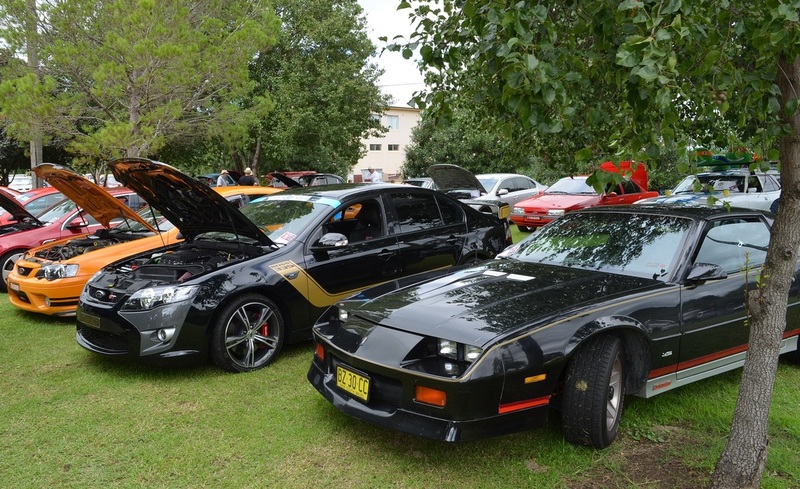 Still we had 420 vehicles in the Show and Shine and managed to raise $2000 for our chosen charity Firstchance. 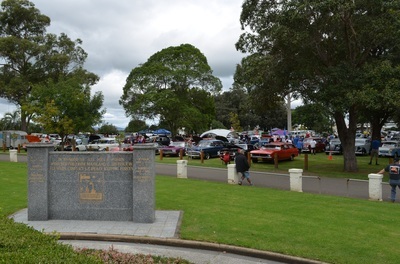 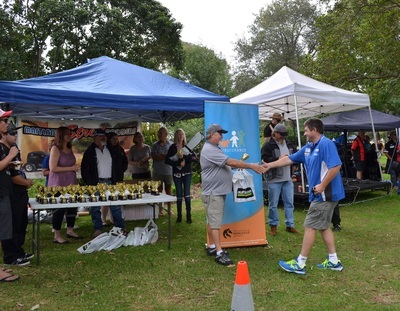 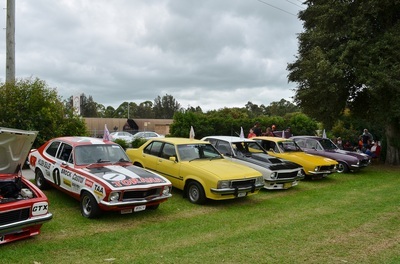 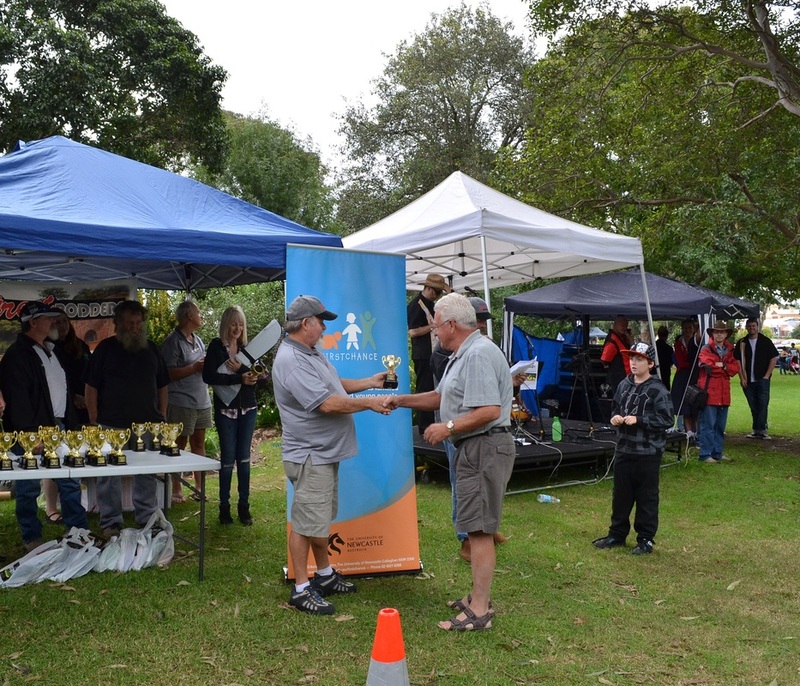 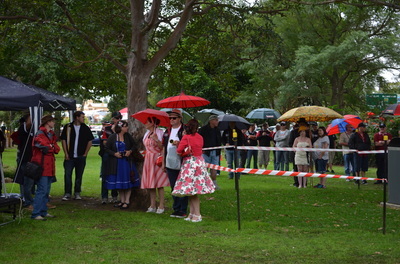 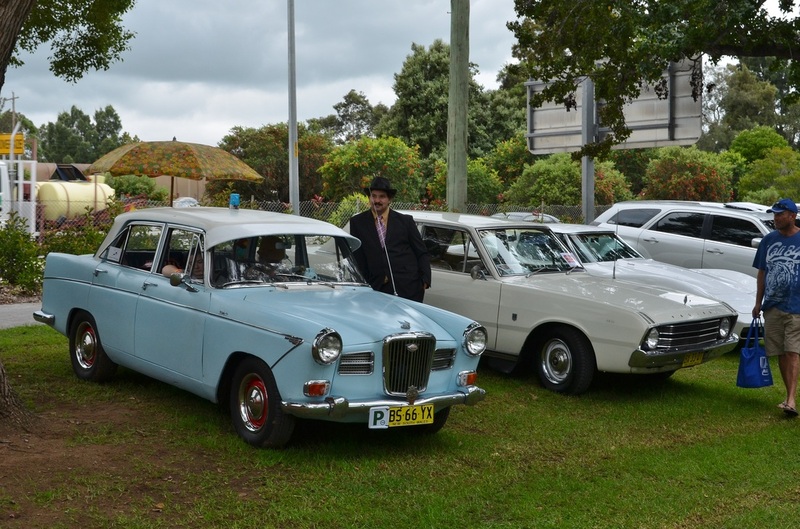 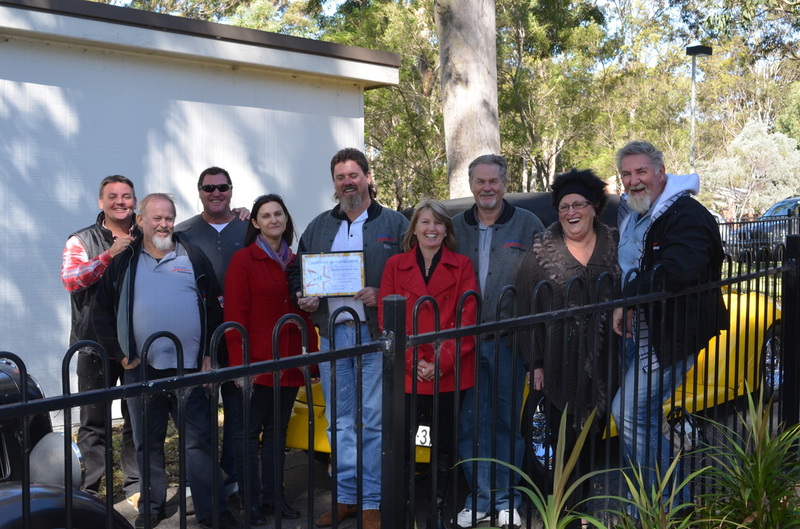 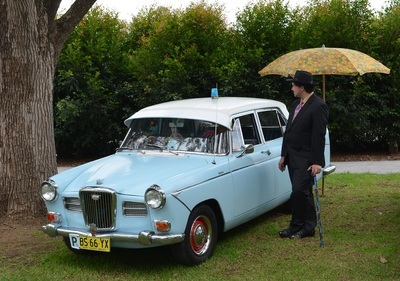 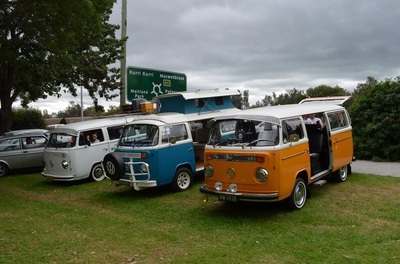 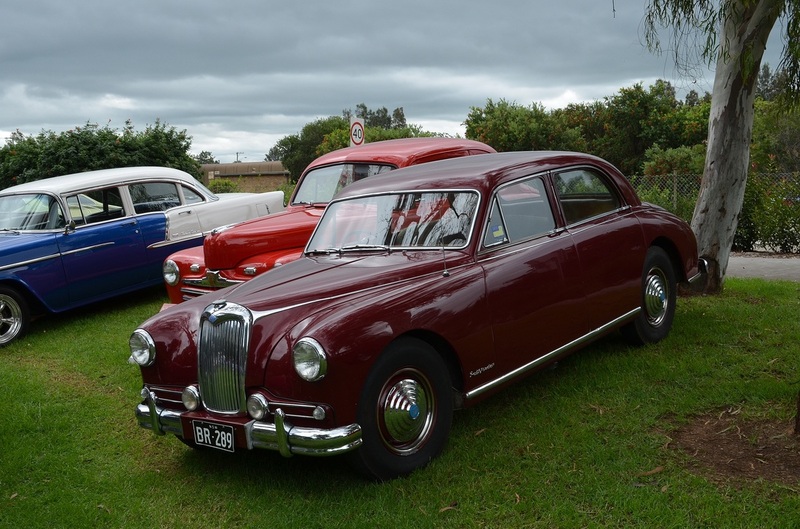 On the day the weather was overcast with no rain until presentation and then we had a drizzle that dampened things and made some car owners head for home. The new entries into the park and the fact that we had to fill one side of the park before the other due to wet areas proved to be a challenge. 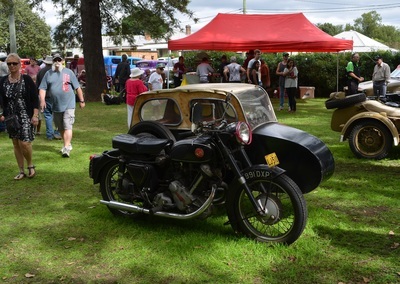 But in the end the day was a great success and it will all be on again next year which is the 30th Anniversary of Steamfest. 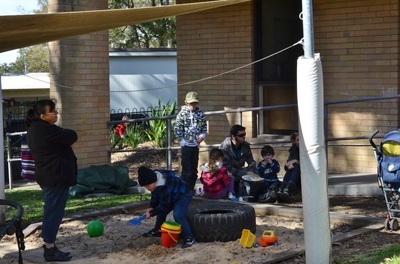 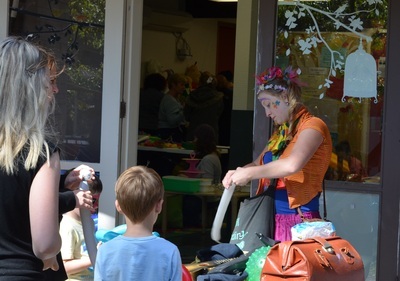 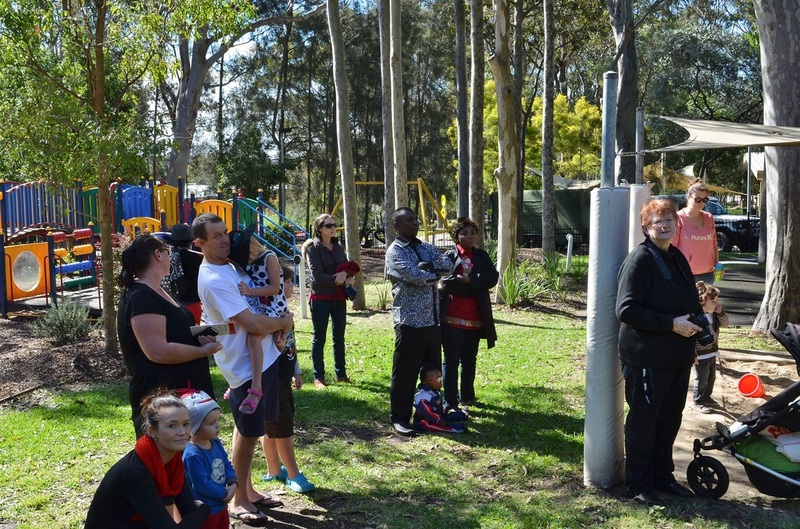 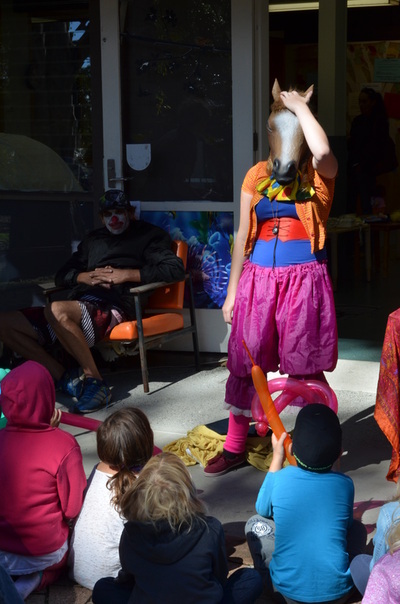 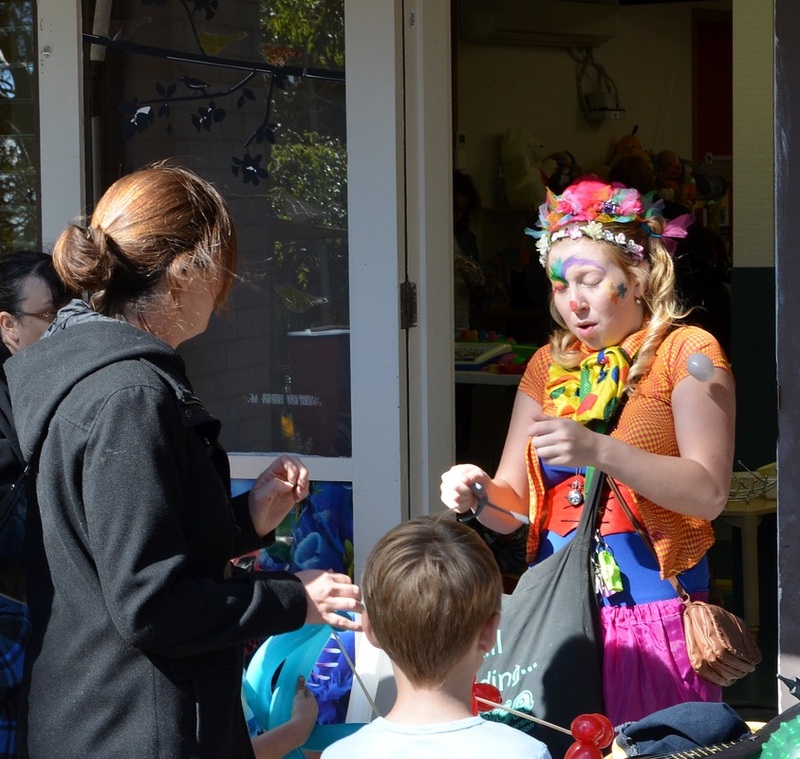 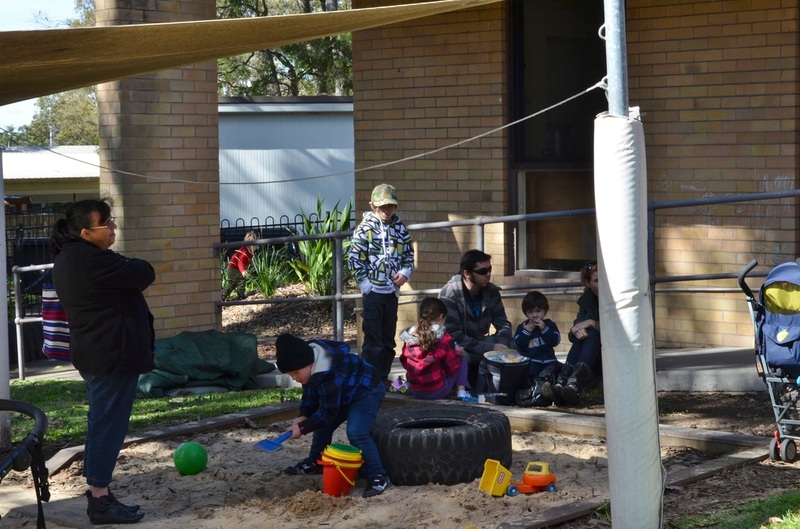 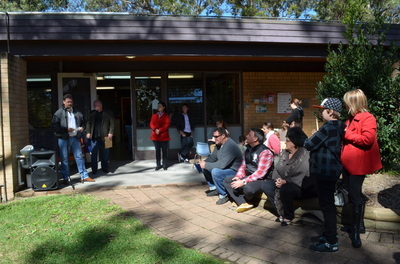 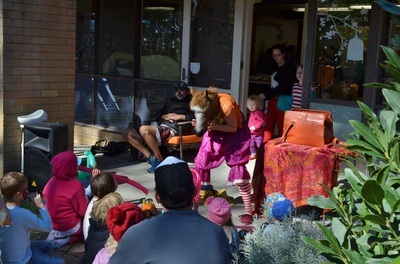 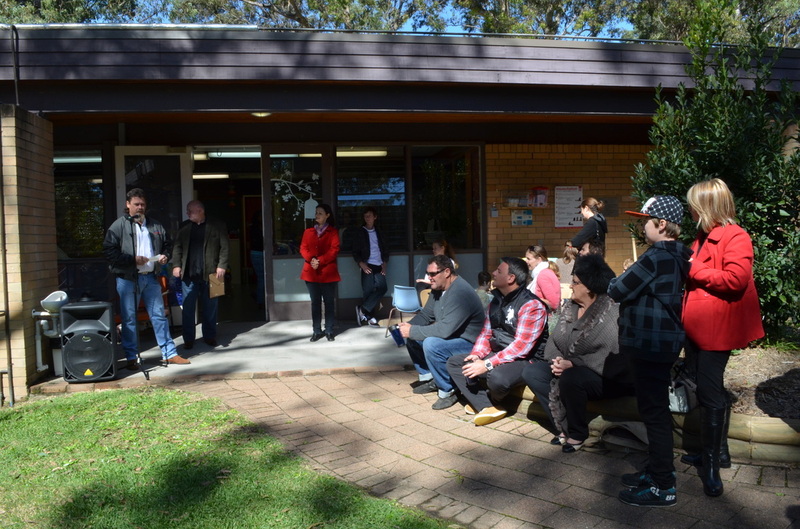 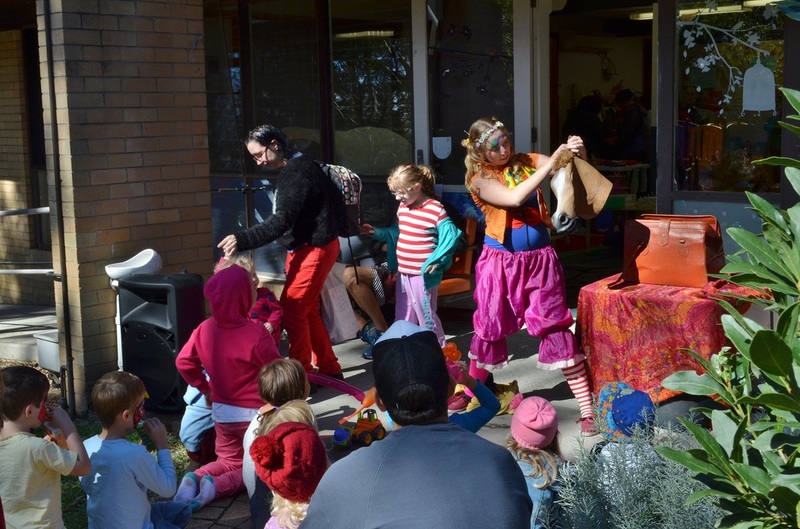 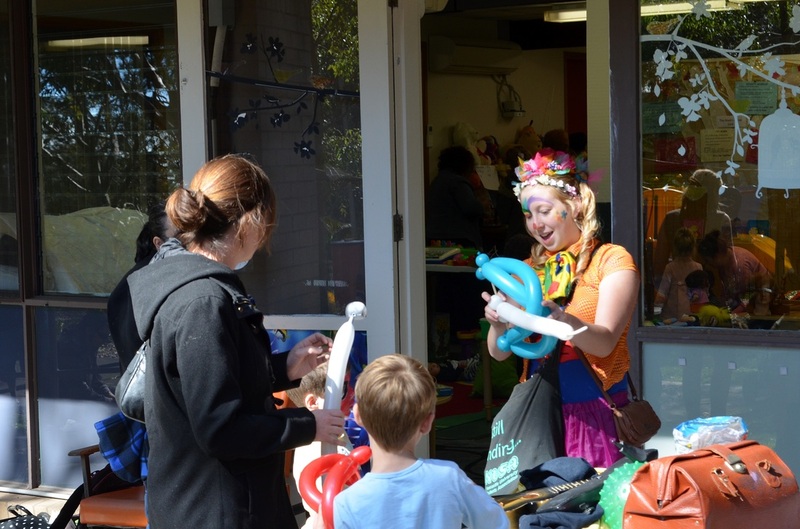 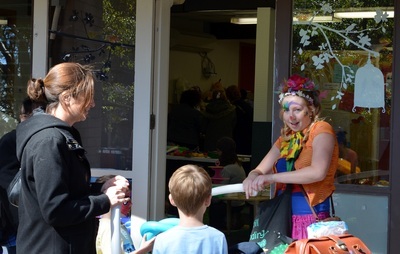 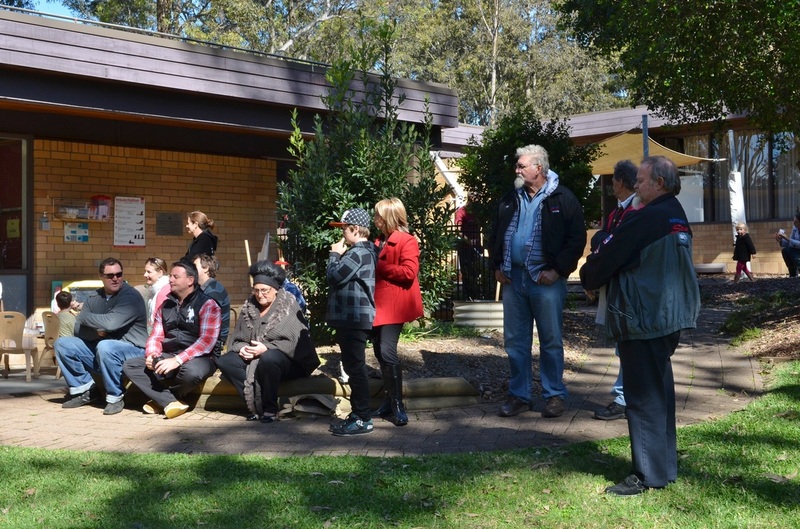 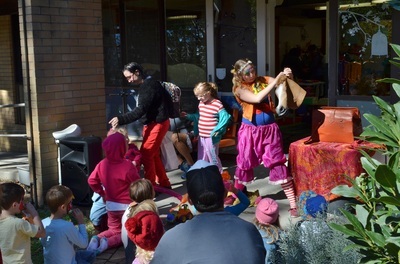 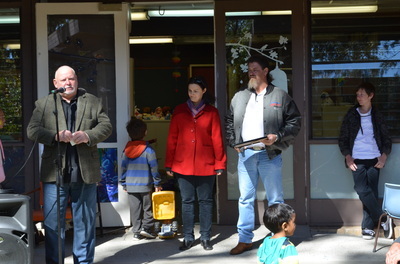 In May the Firstchance Presentation Day was on with the kids having a great time and the adults standing around telling stories as always. 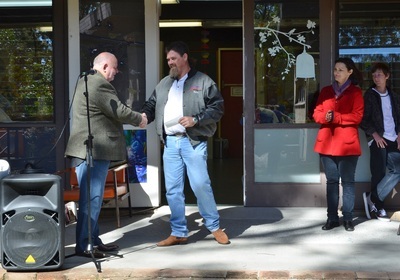 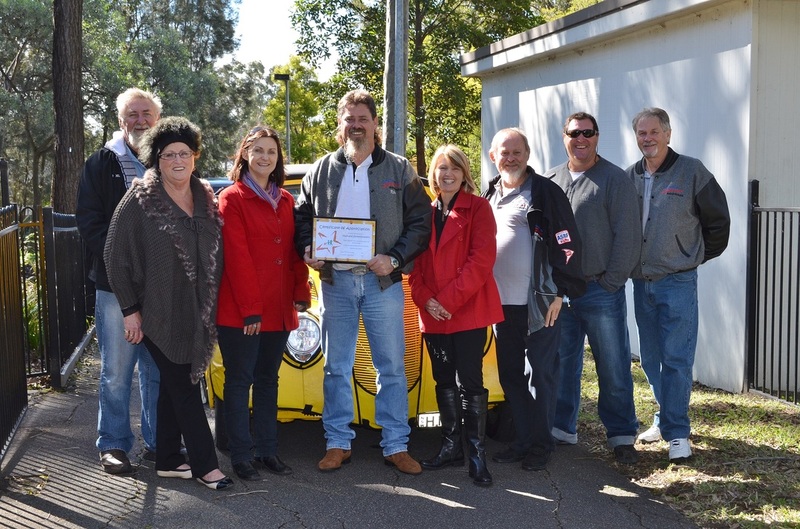 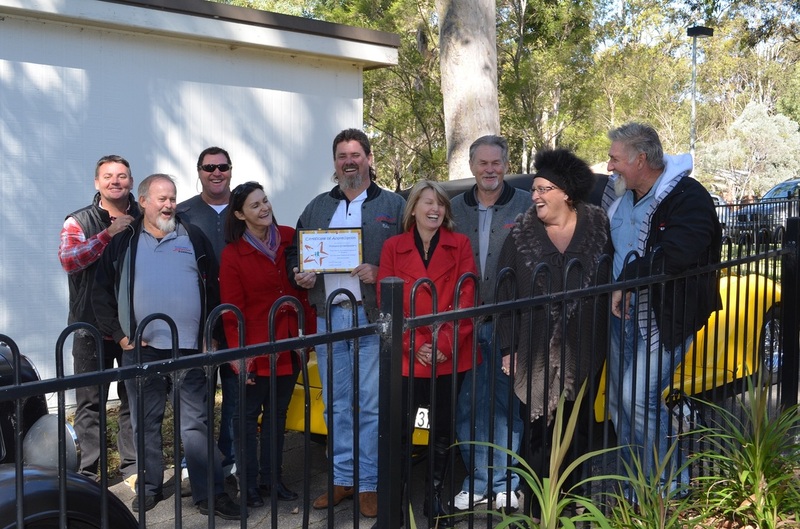 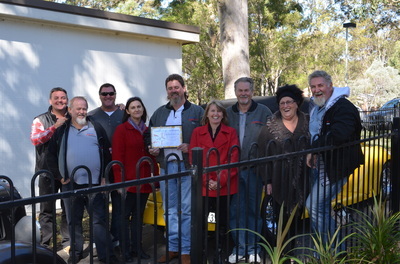 A BBQ lunch was provided and then the cheque was presented to the charity representing the funds raised at our Steamfest Show and Shine. 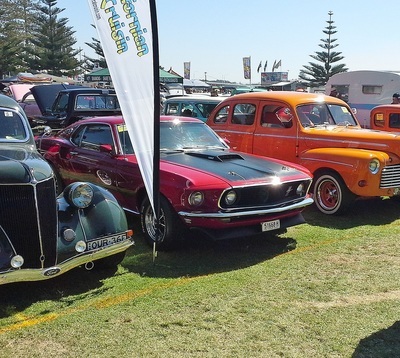 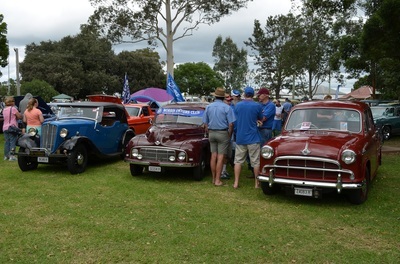 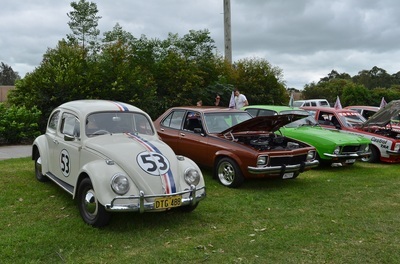 This year the number of cars on display at Steamfest were well down on last year but we still managed to raise a great amount for Firstchance. 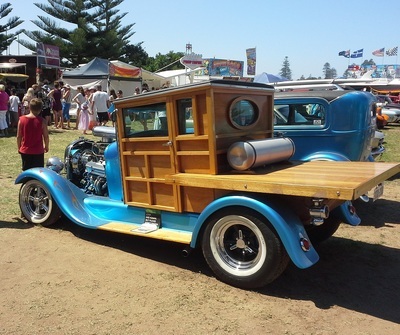 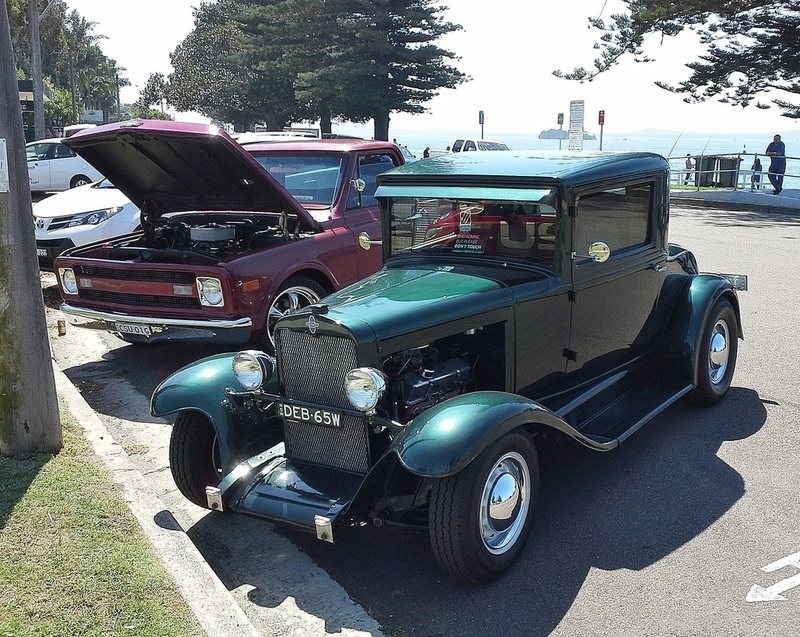 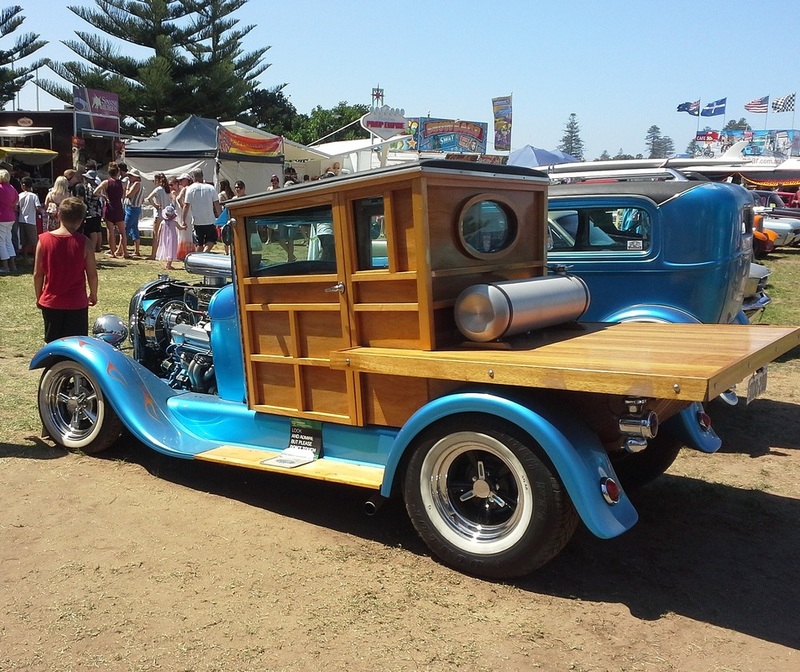 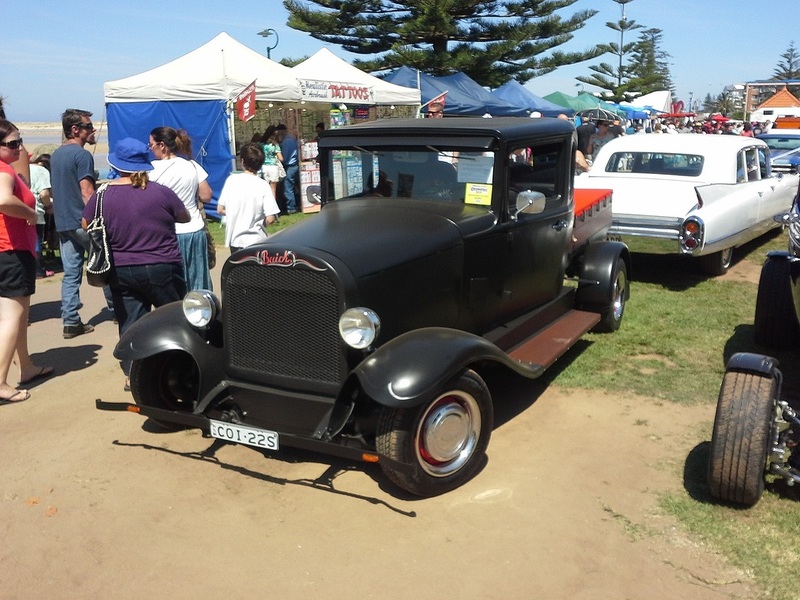 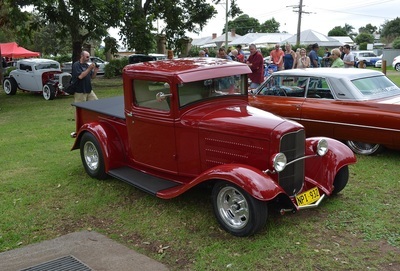 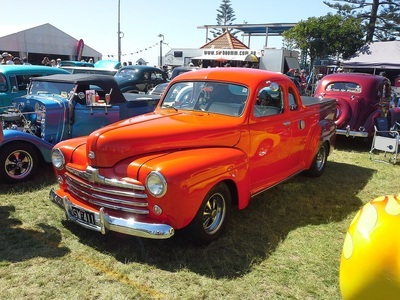 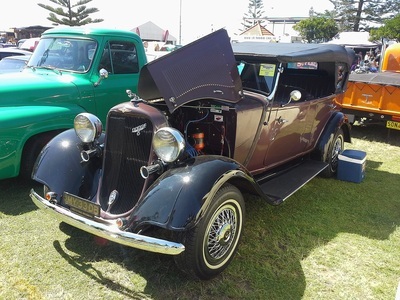 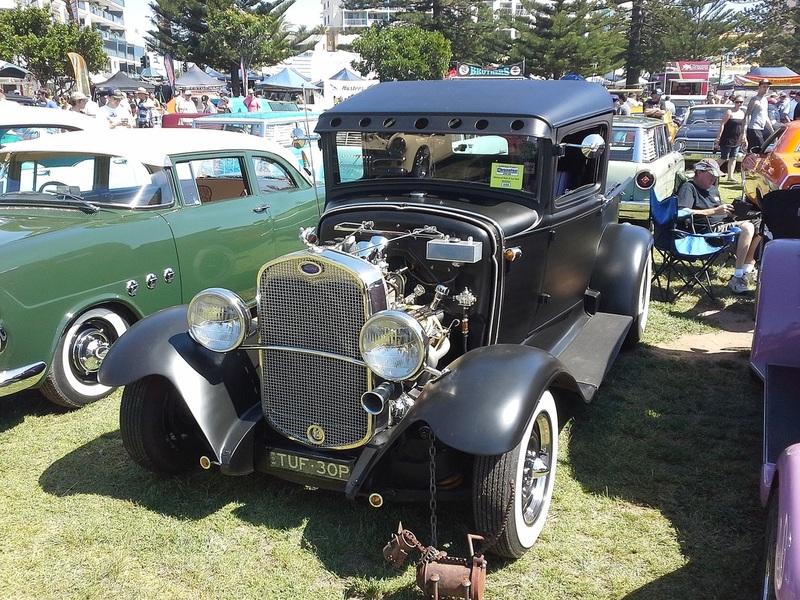 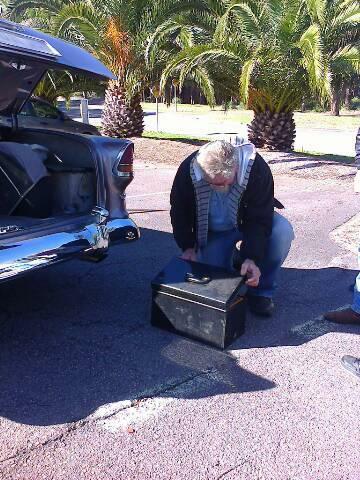 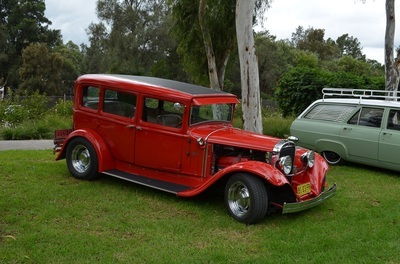 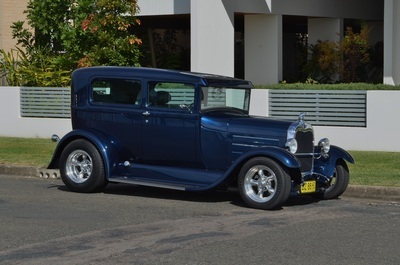 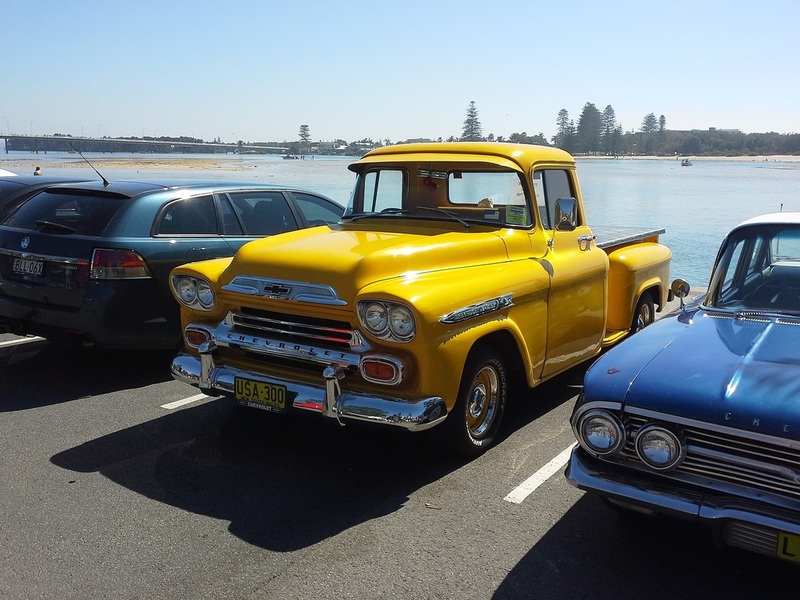 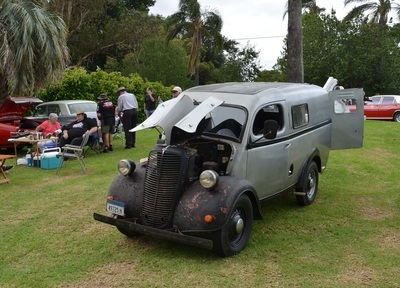 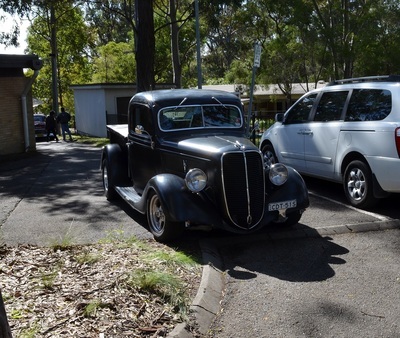 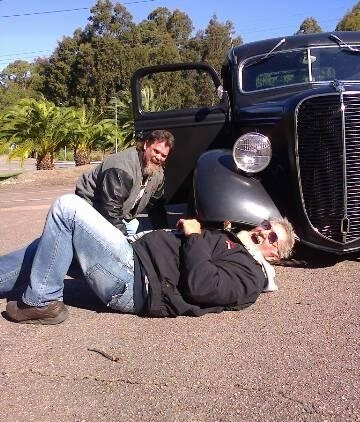 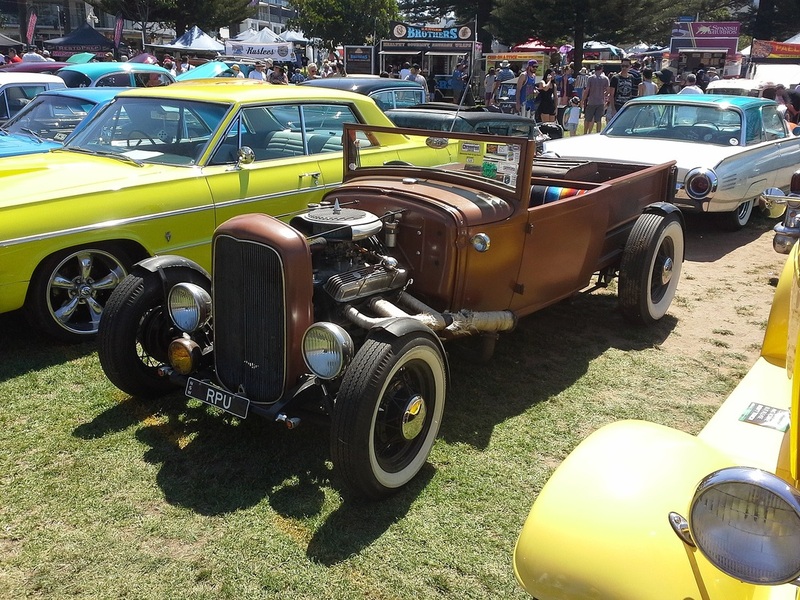 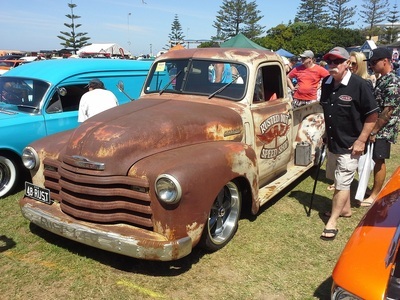 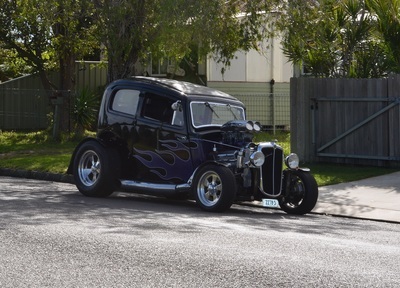 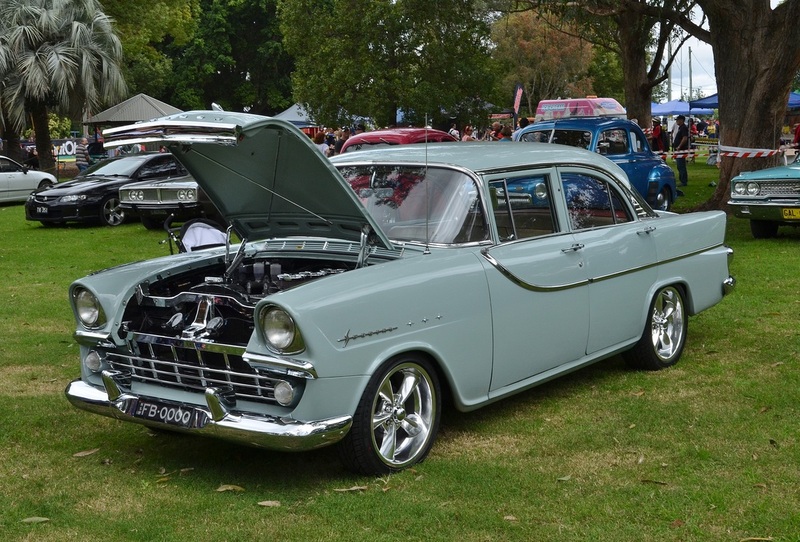 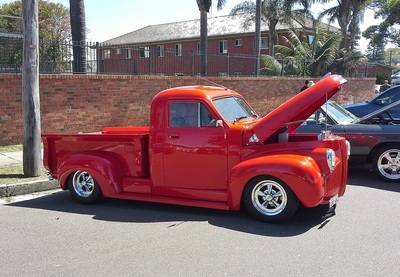 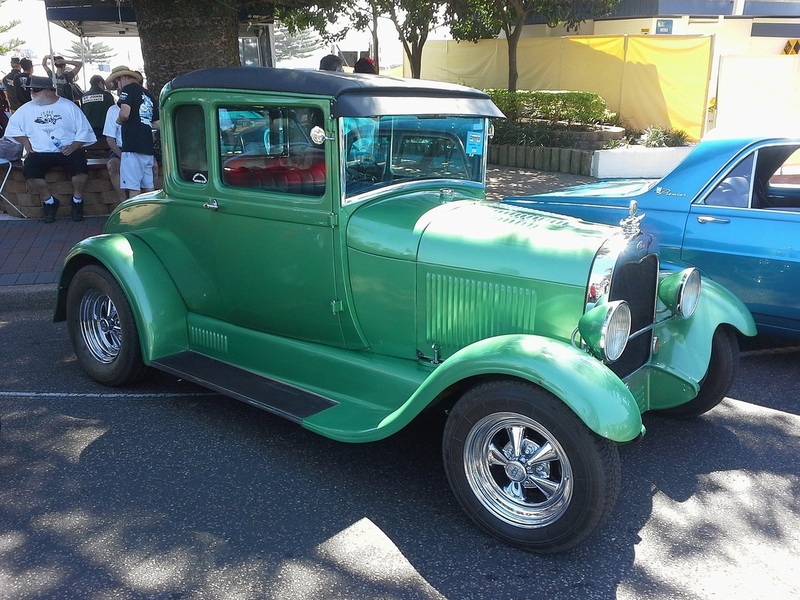 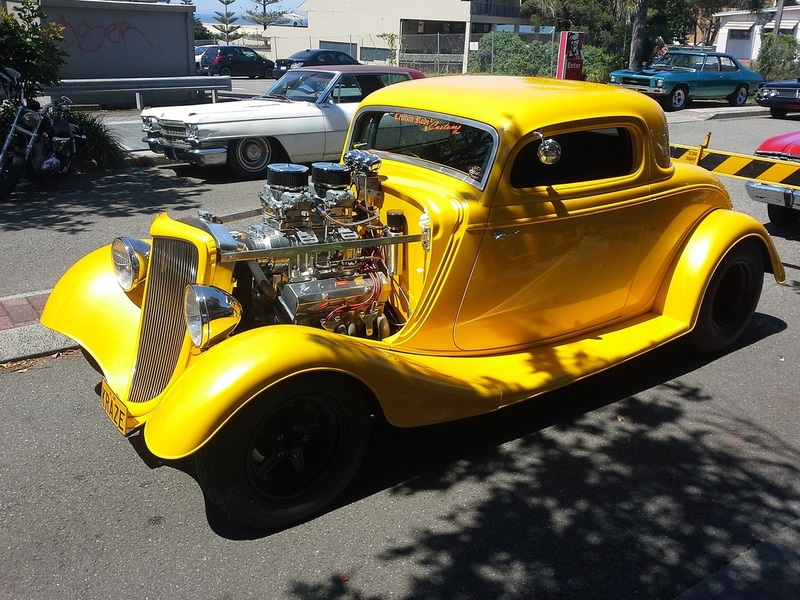 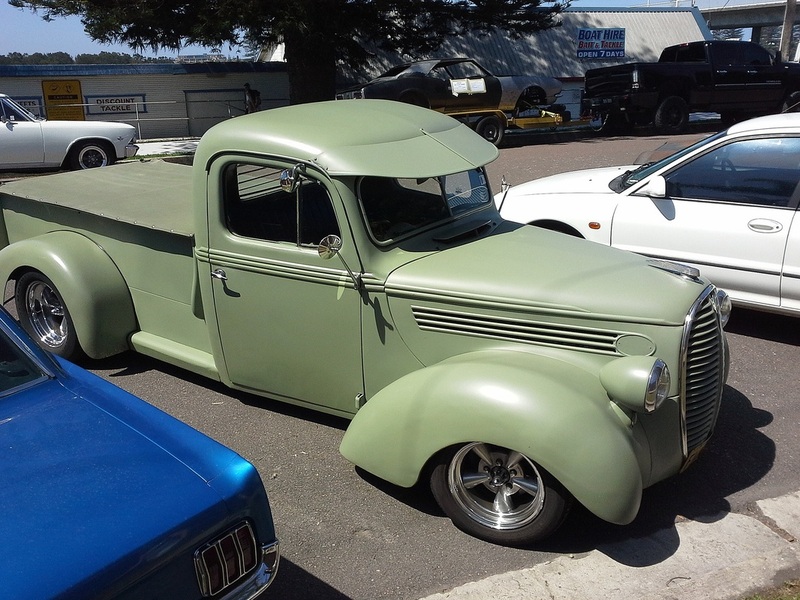 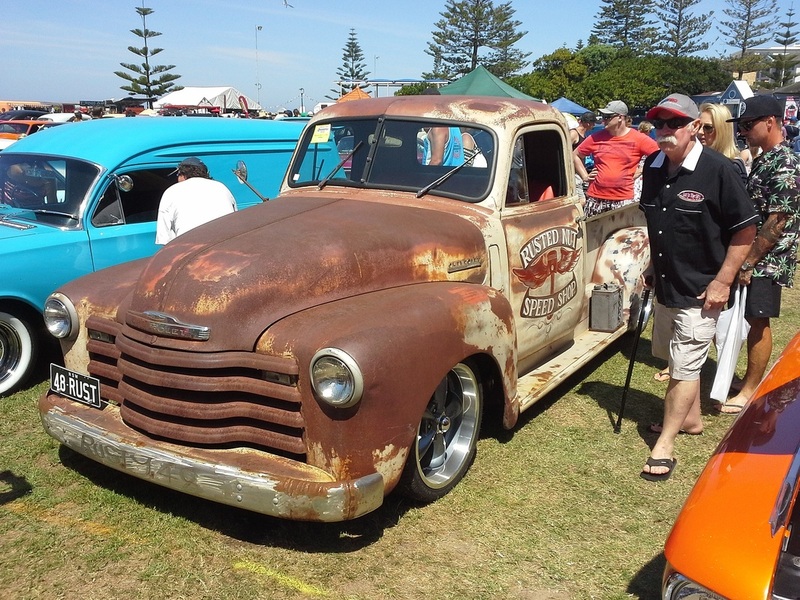 Of course Noel can't go anywhere with out some minor repairs required on his truck and to-day was no exception, see him hunting through a Chev tool box to fix his Ford, but as Noel points out it was a Holden part that gave way.. 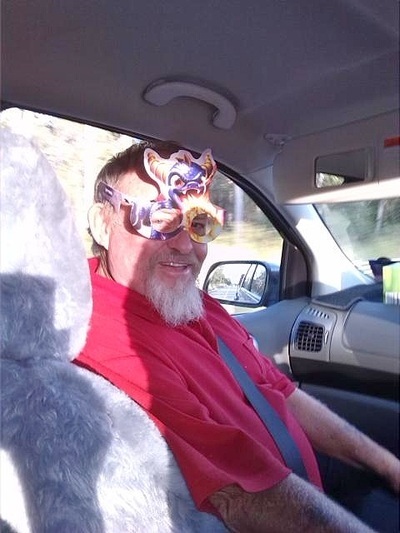 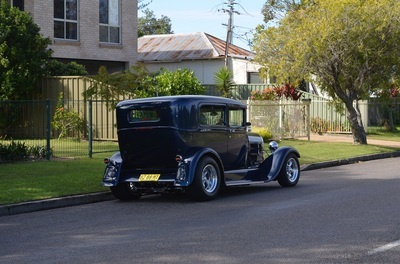 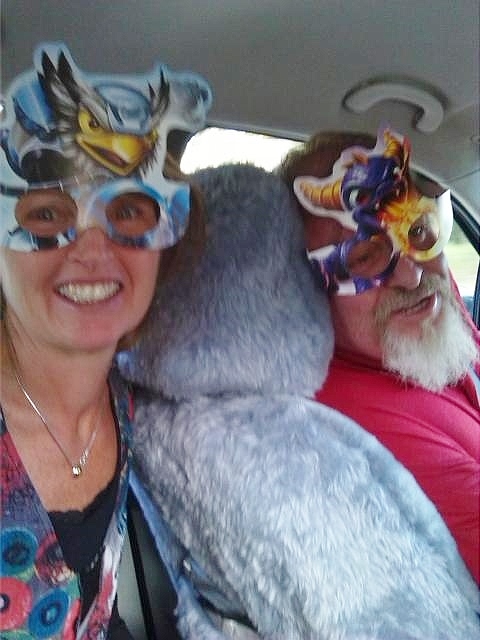 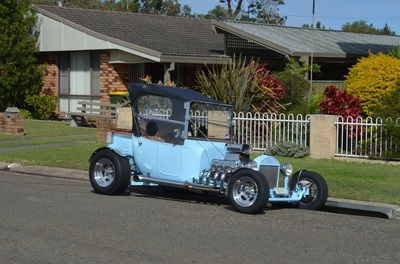 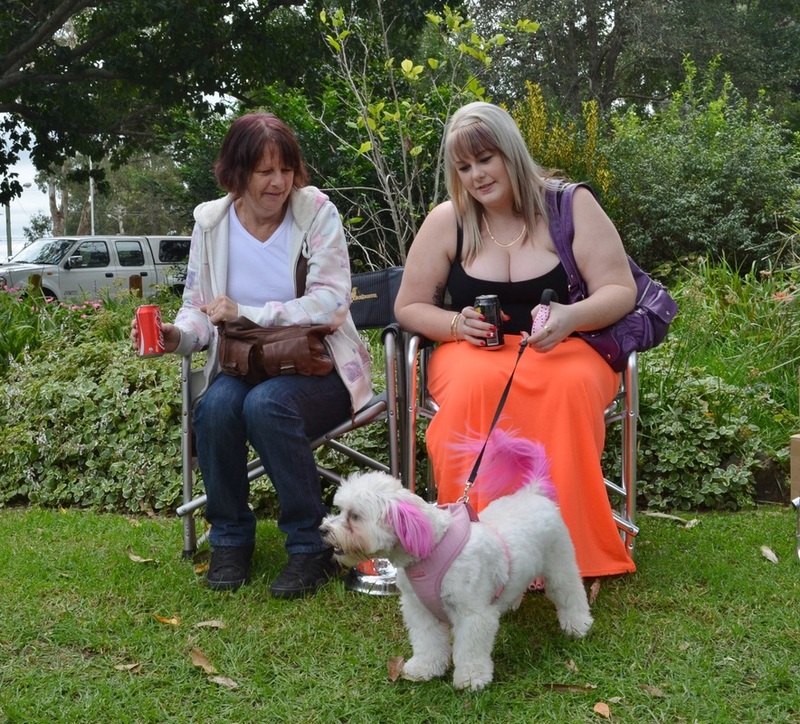 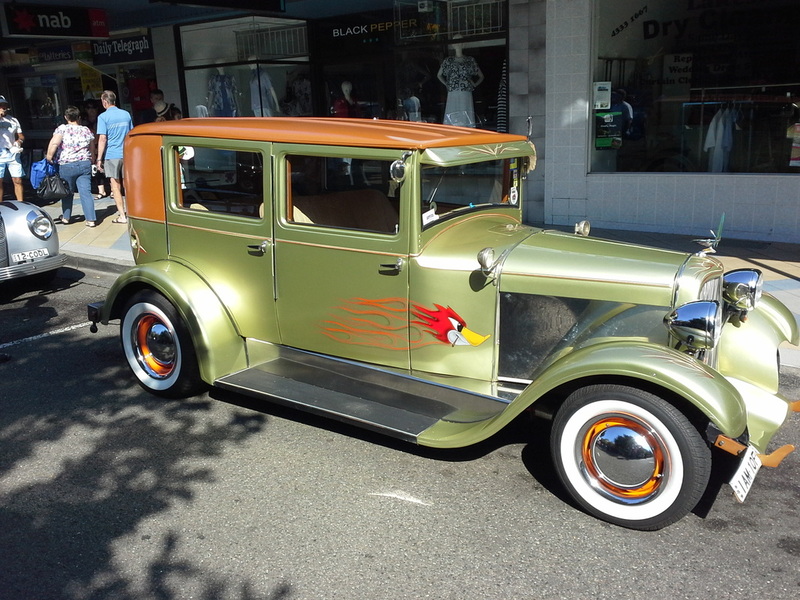 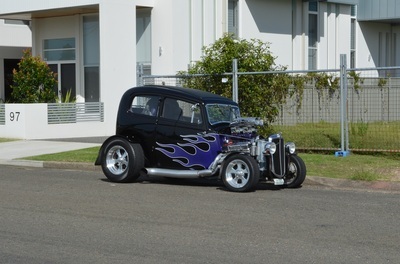 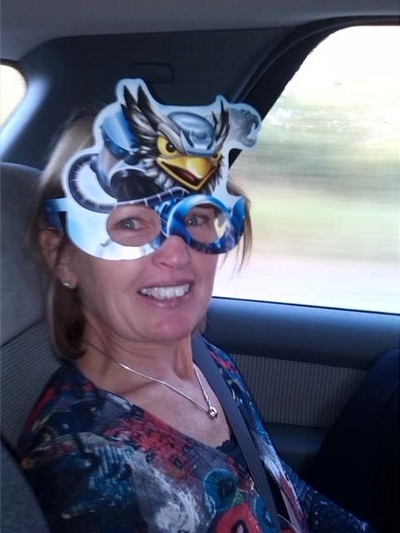 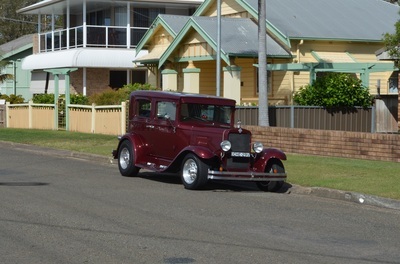 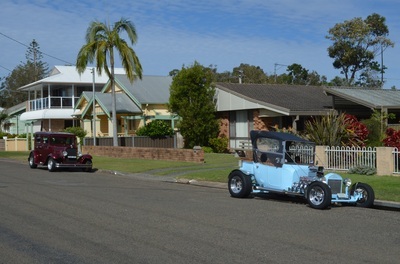 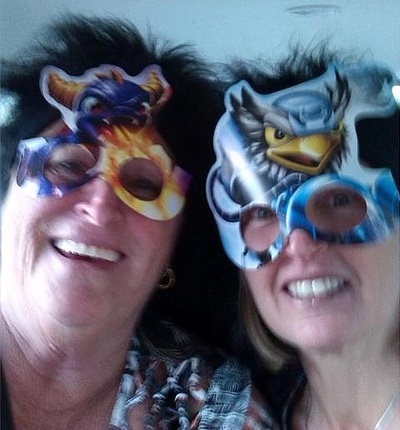 The next day Noel, Norm, Ann and Jann went on a trip to Coffs Harbour to collect some chroming and as the last 4 photos show some grandparents never grow up. 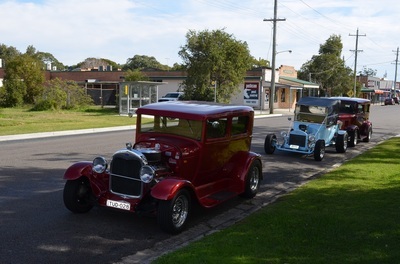 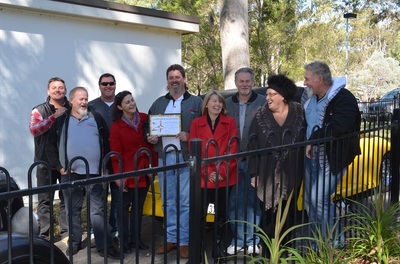 On a warm and sunny day in May 9 of our members travelled to Tea Gardens Pub for lunch and then on to the Ice Cream Shop for desert. 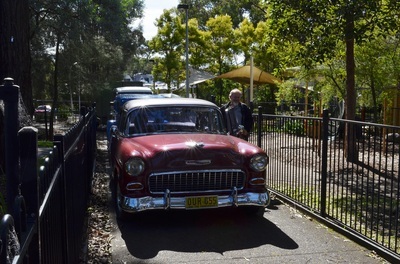 While in Tea Gardens we called in to see Dacca a past member of the club and the builder of Paul's rod. 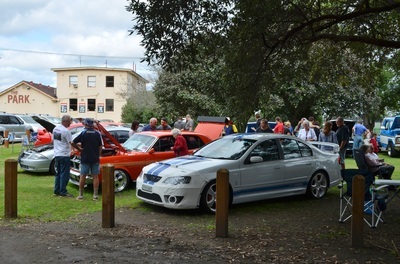 It is always a great run to Tea Gardens where you can open the rod up on new smooth roads and let the cobwebs blow out. Ian Brown went to this years Chromefest at the Entrance and had a great time wandering around the cars on display over the weekend. 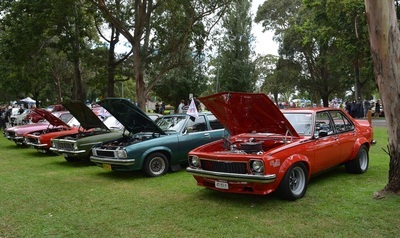 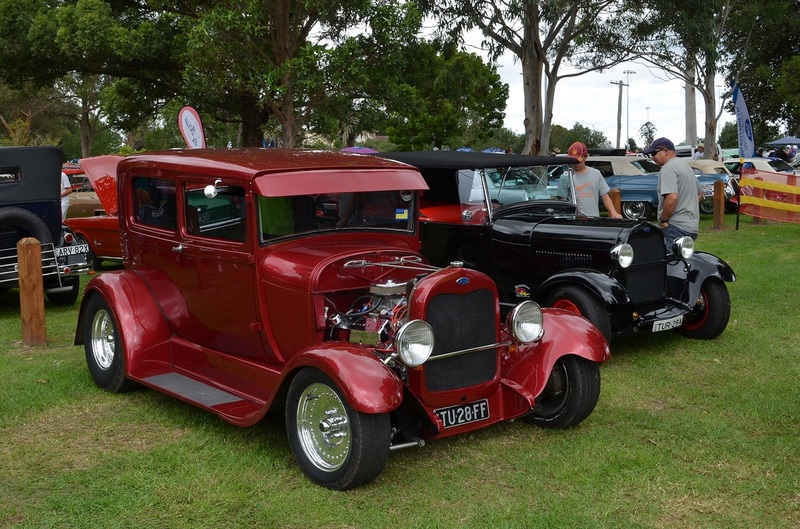 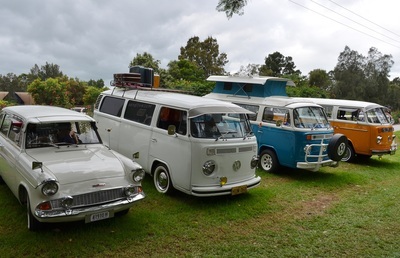 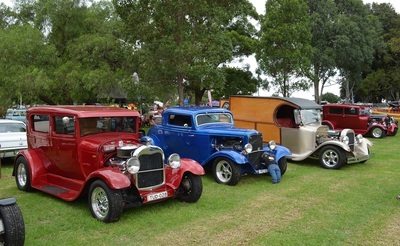 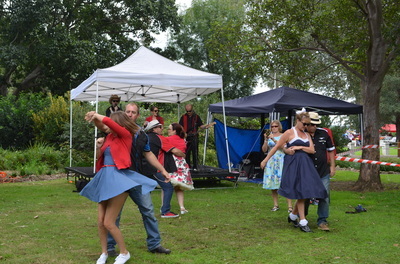 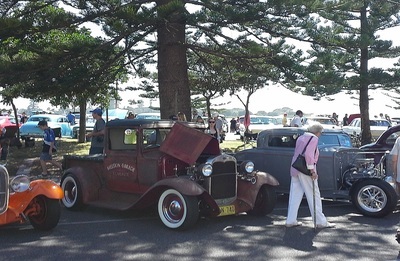 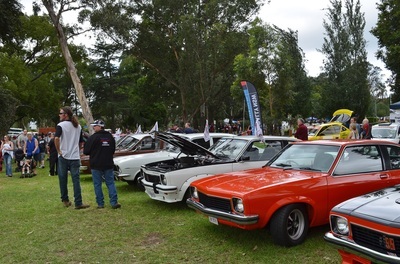 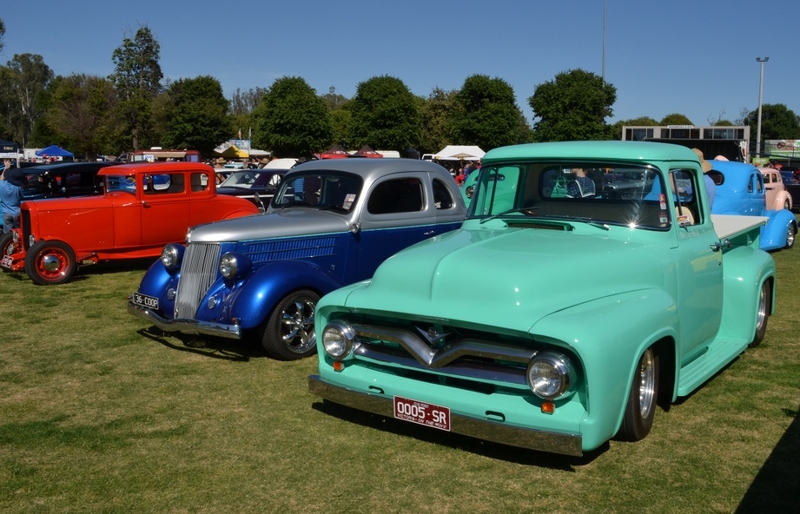 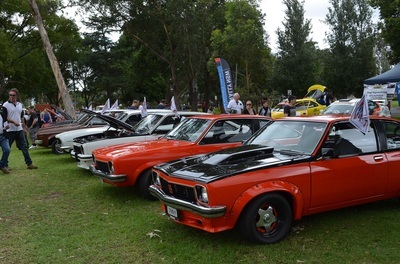 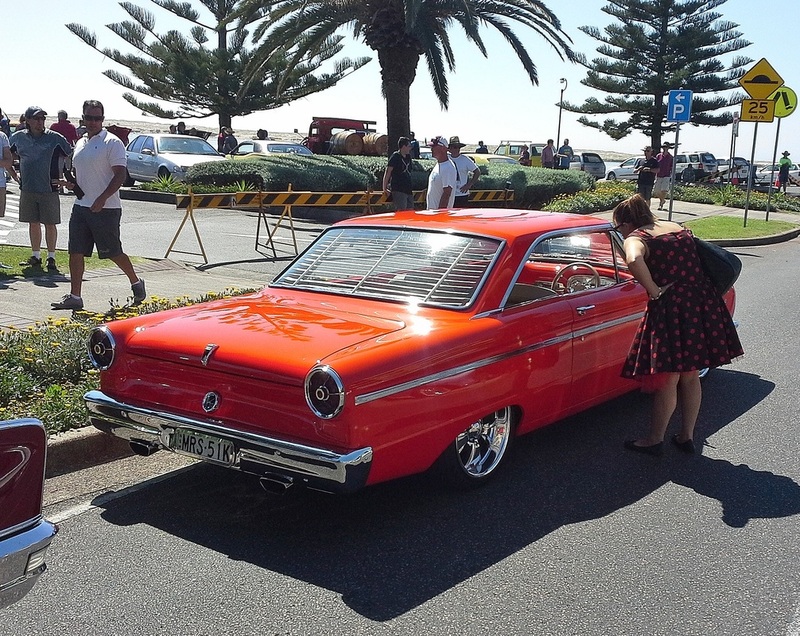 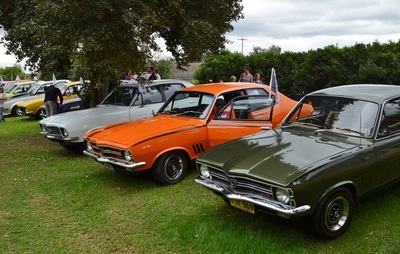 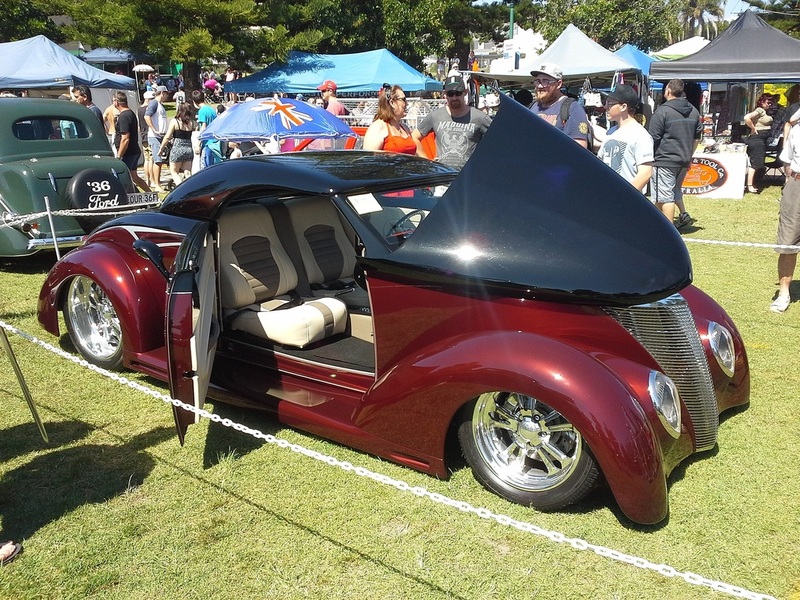 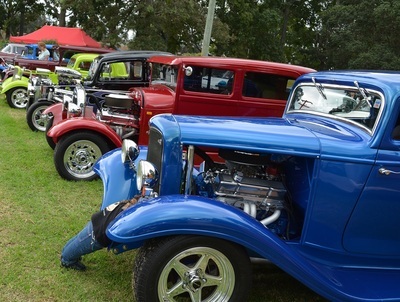 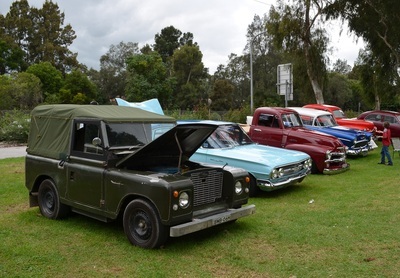 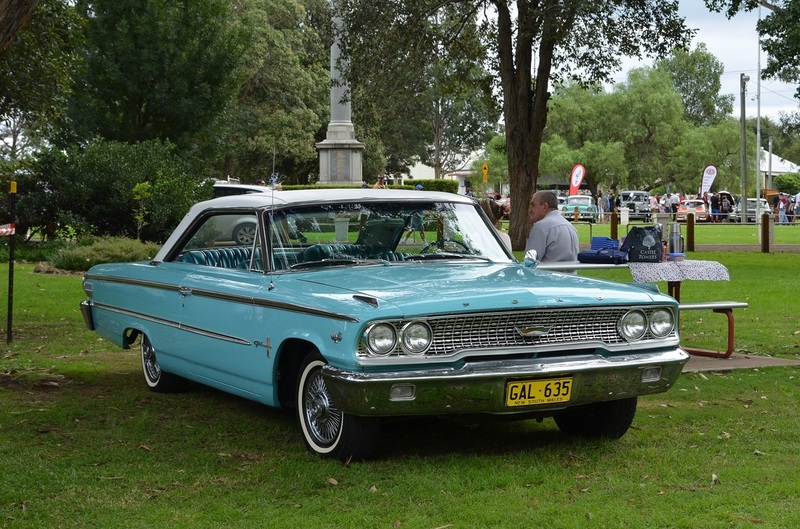 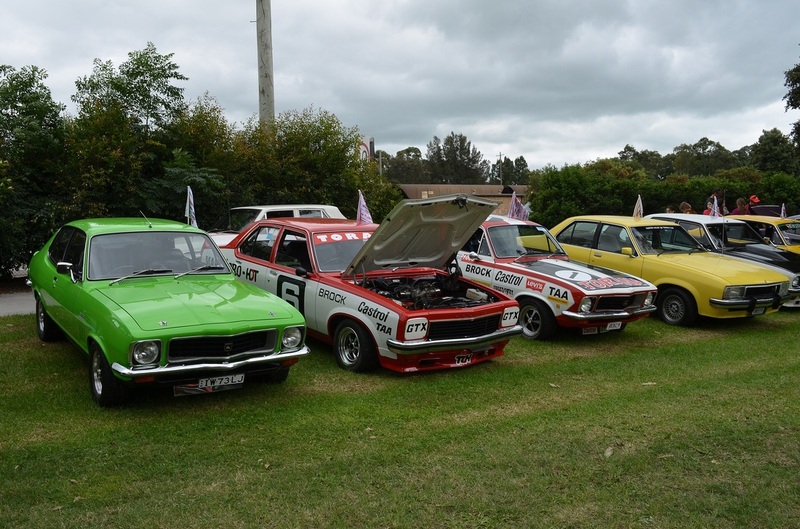 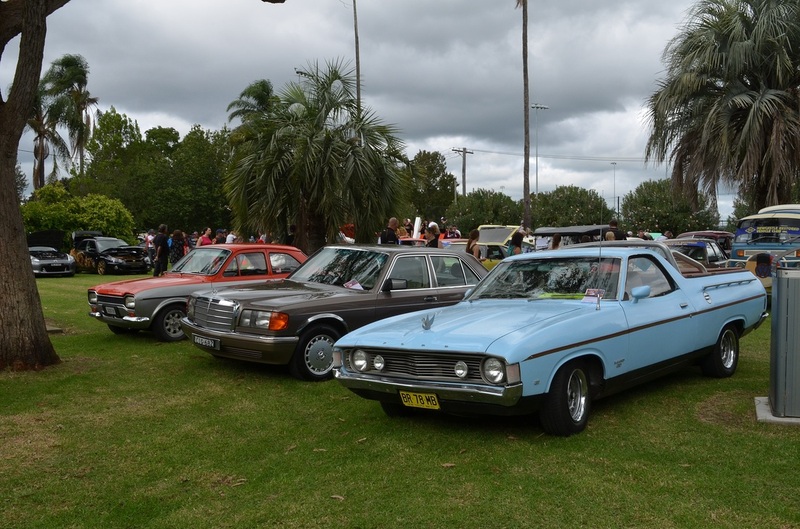 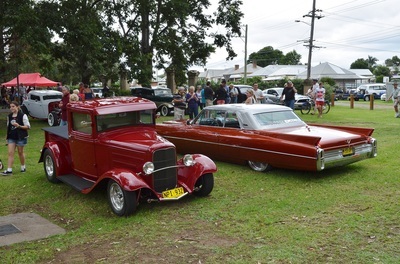 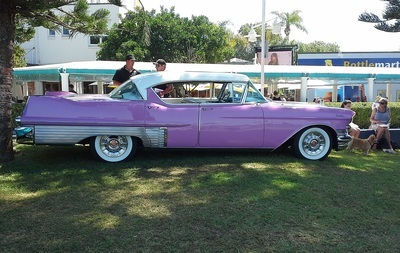 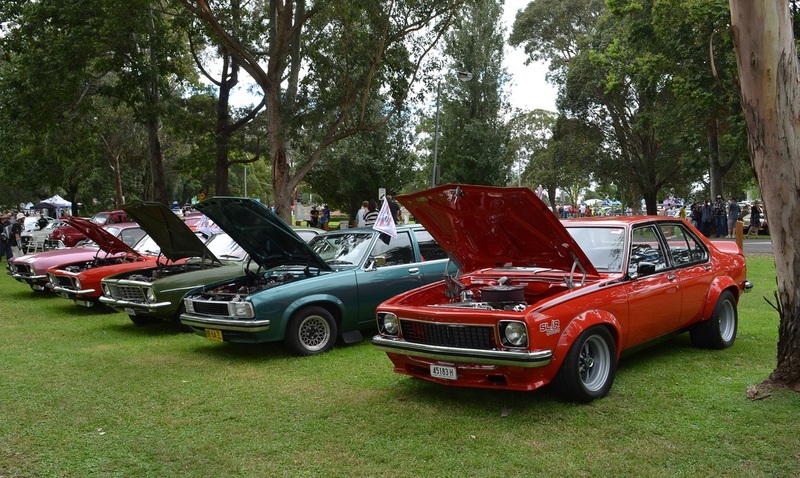 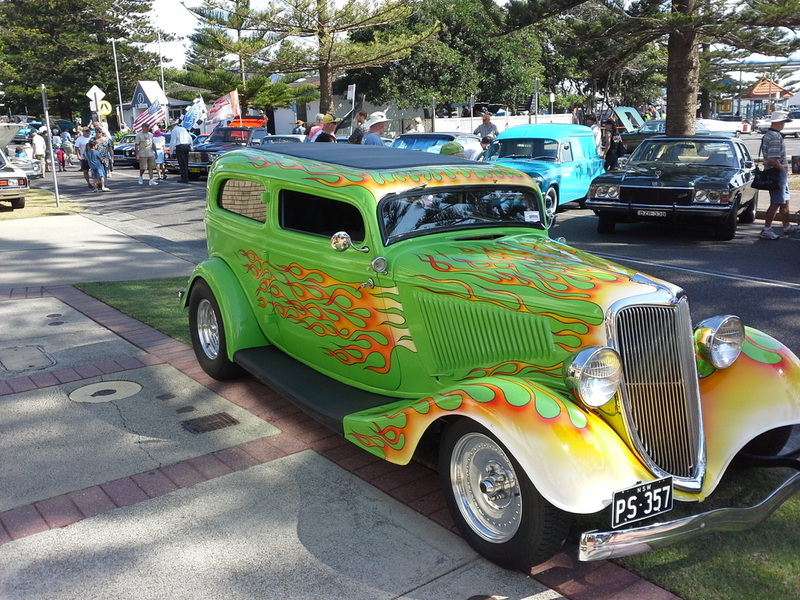 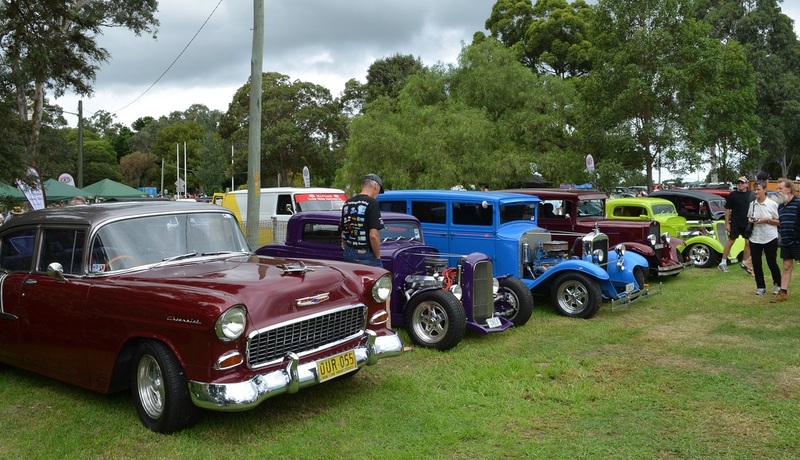 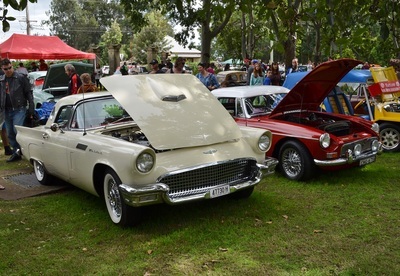 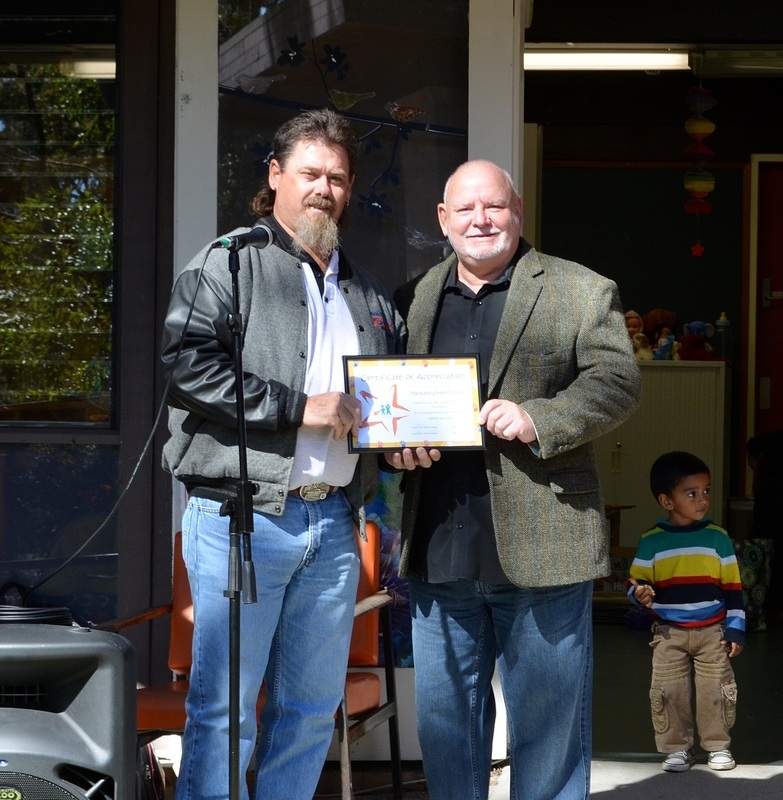 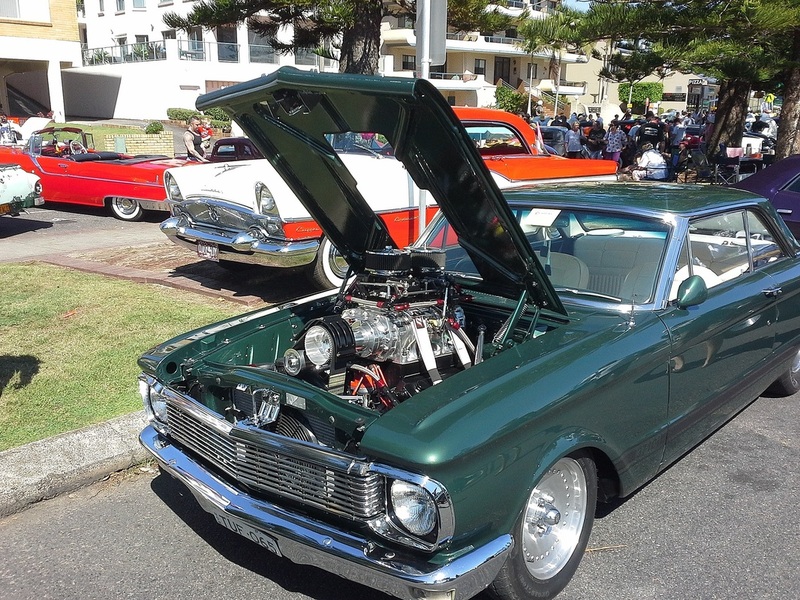 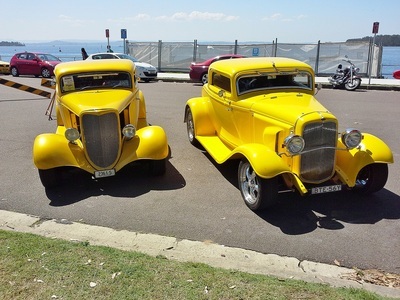 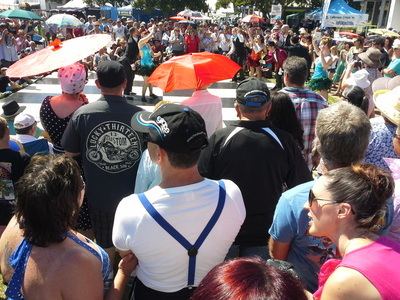 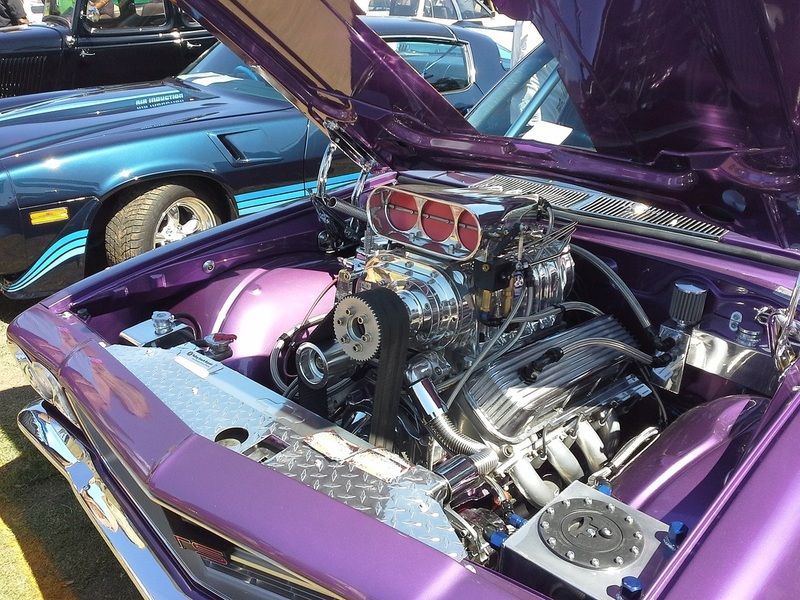 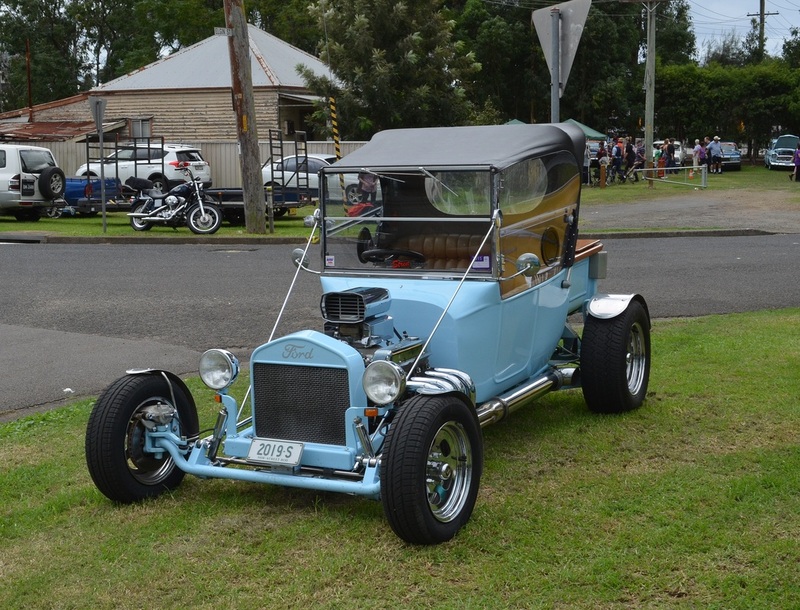 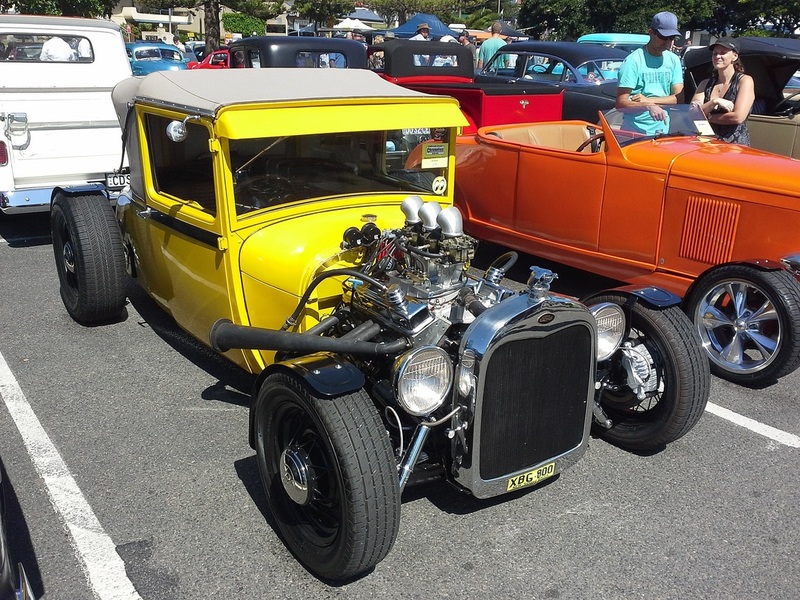 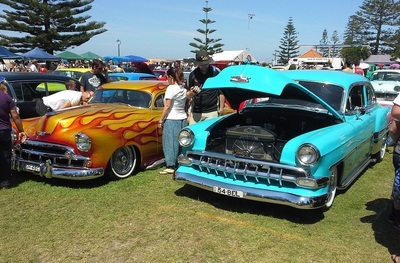 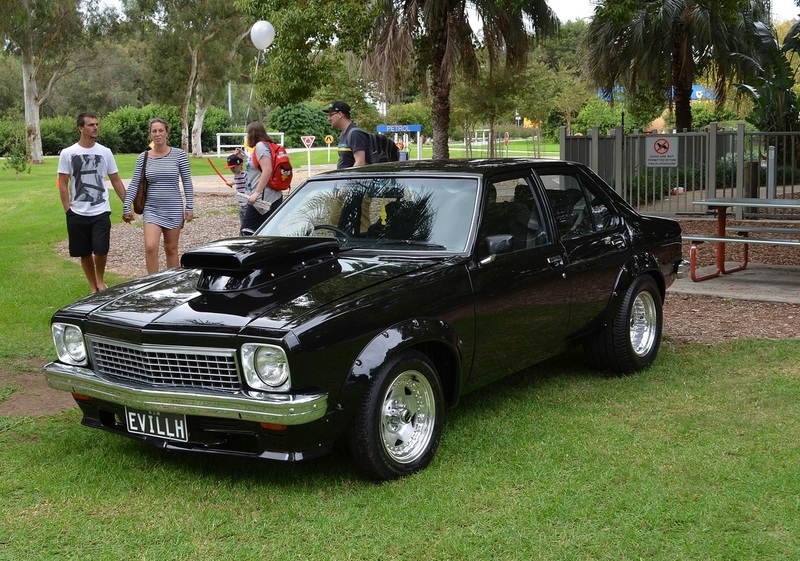 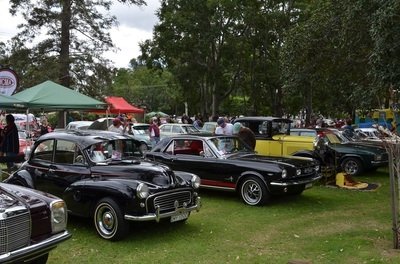 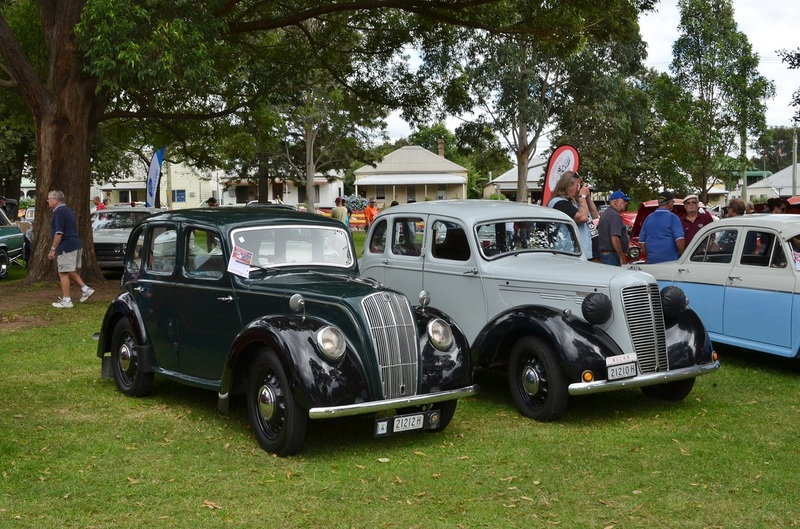 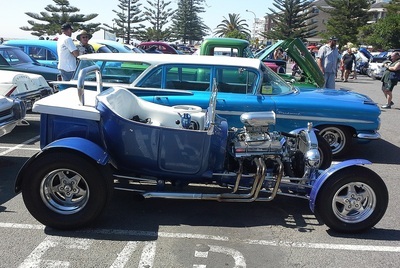 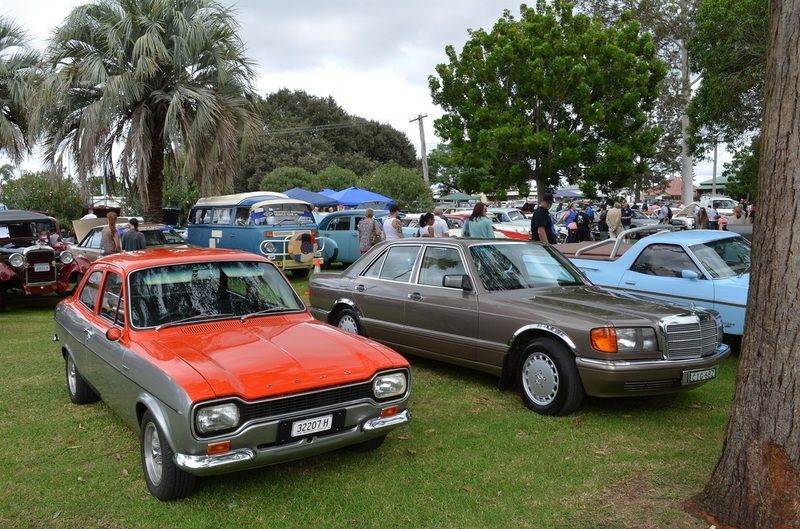 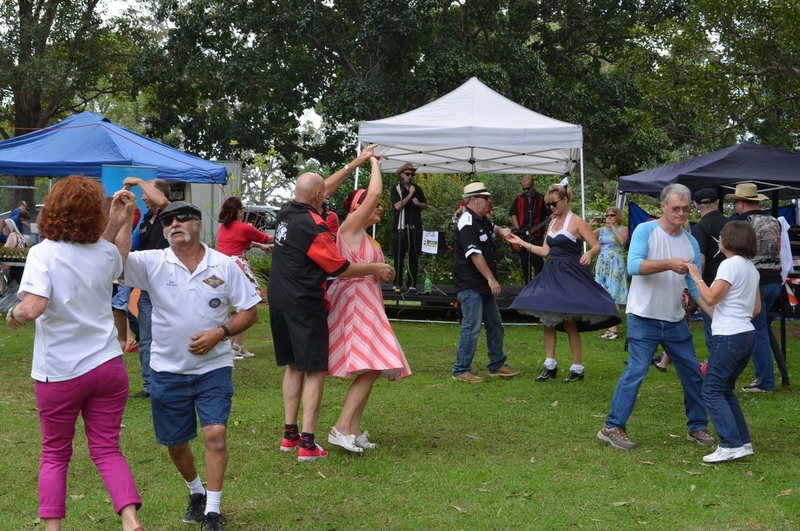 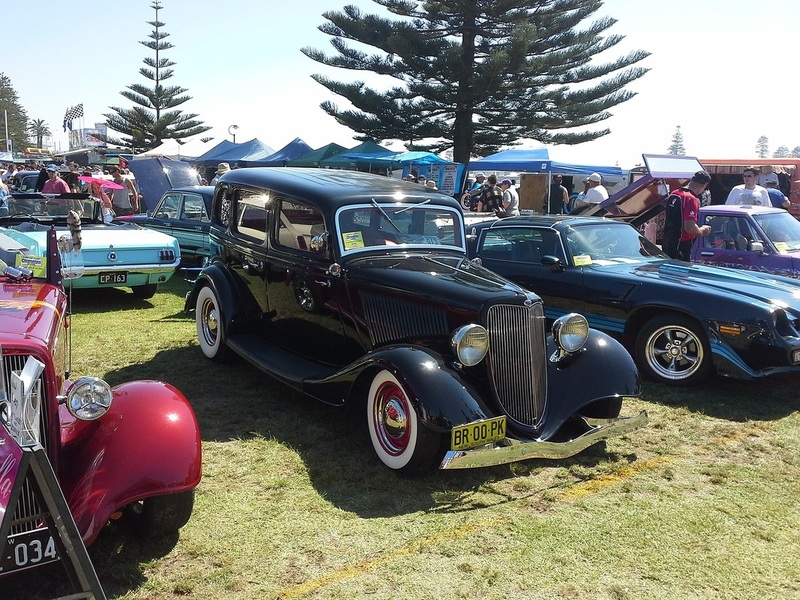 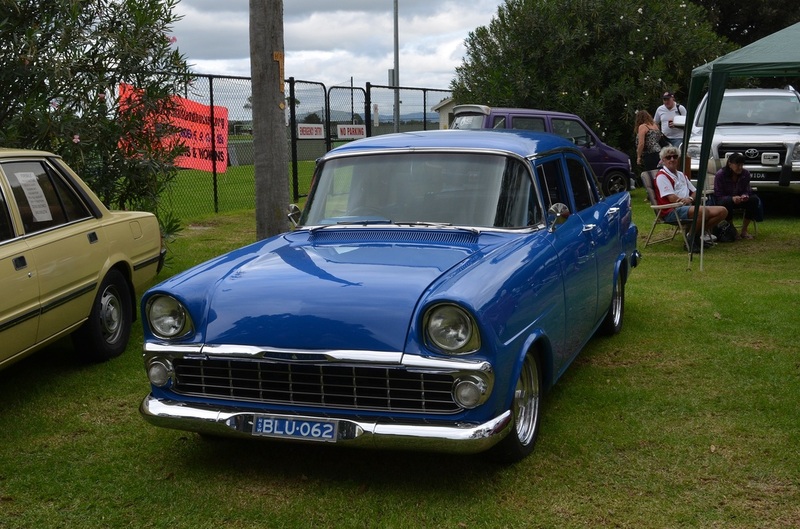 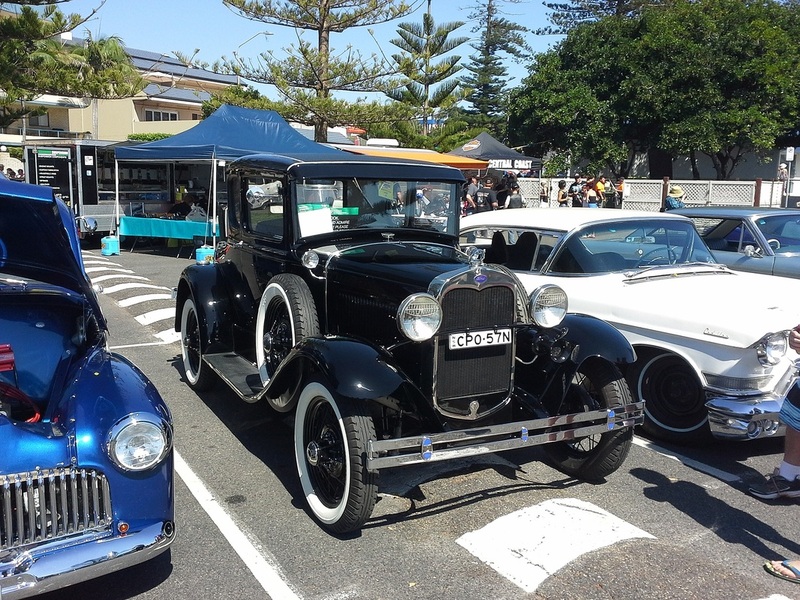 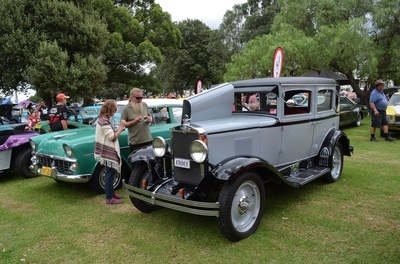 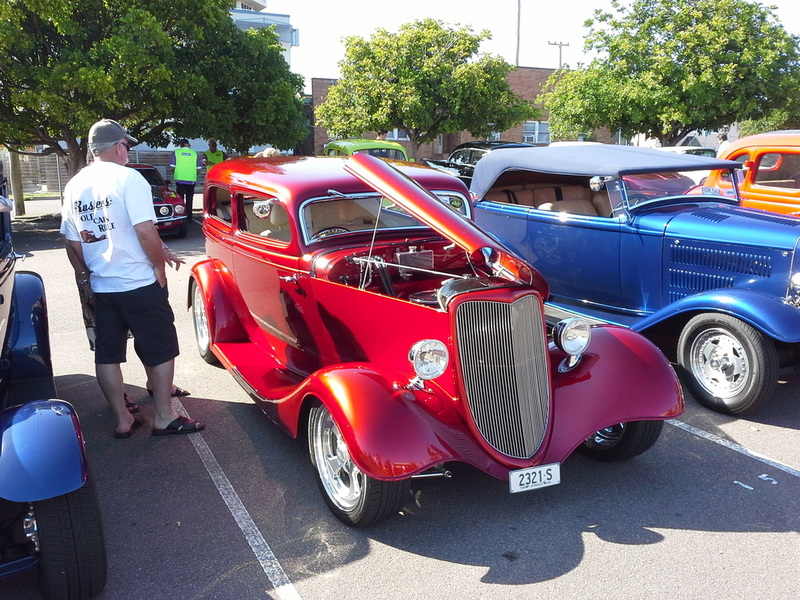 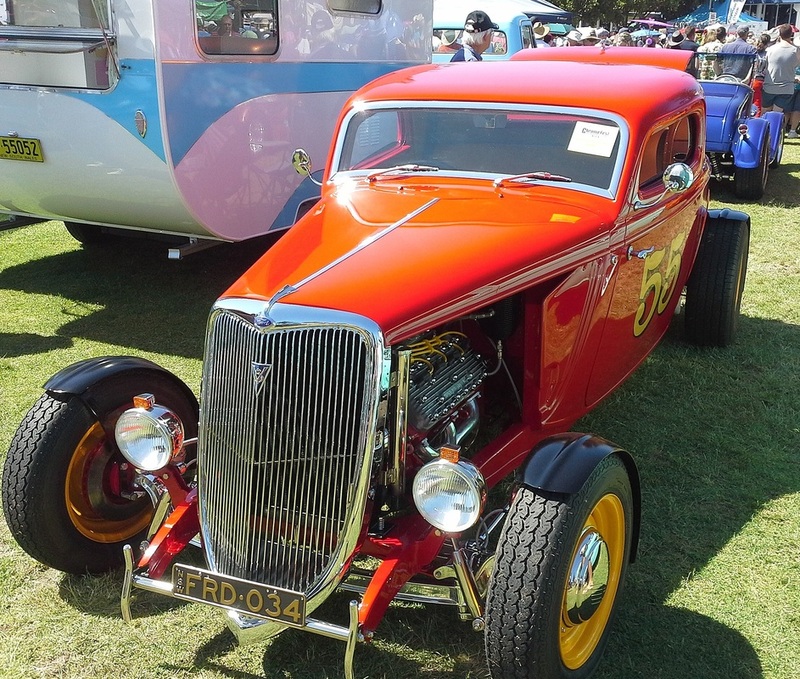 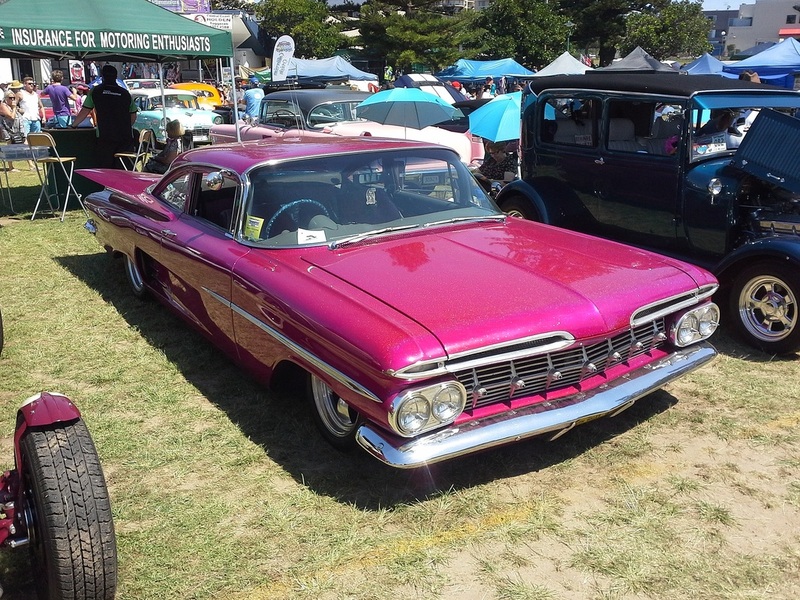 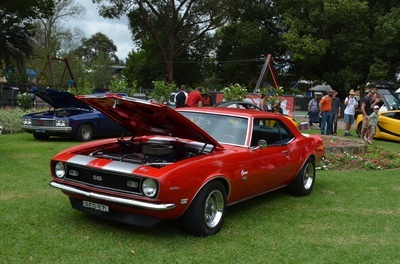 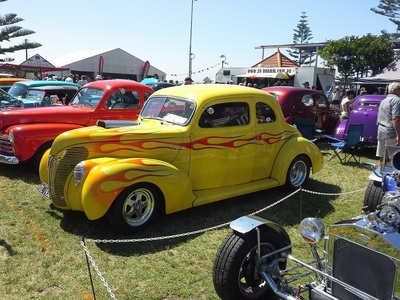 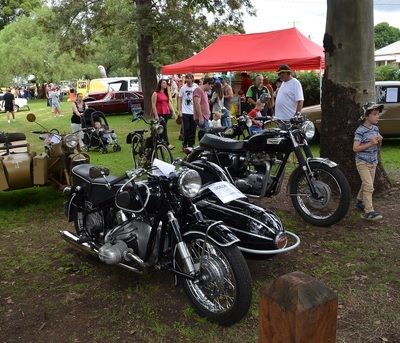 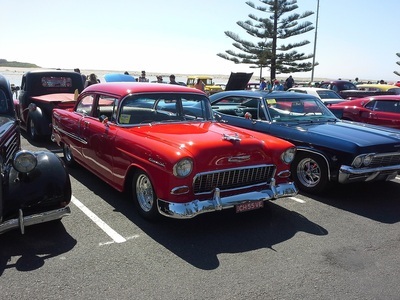 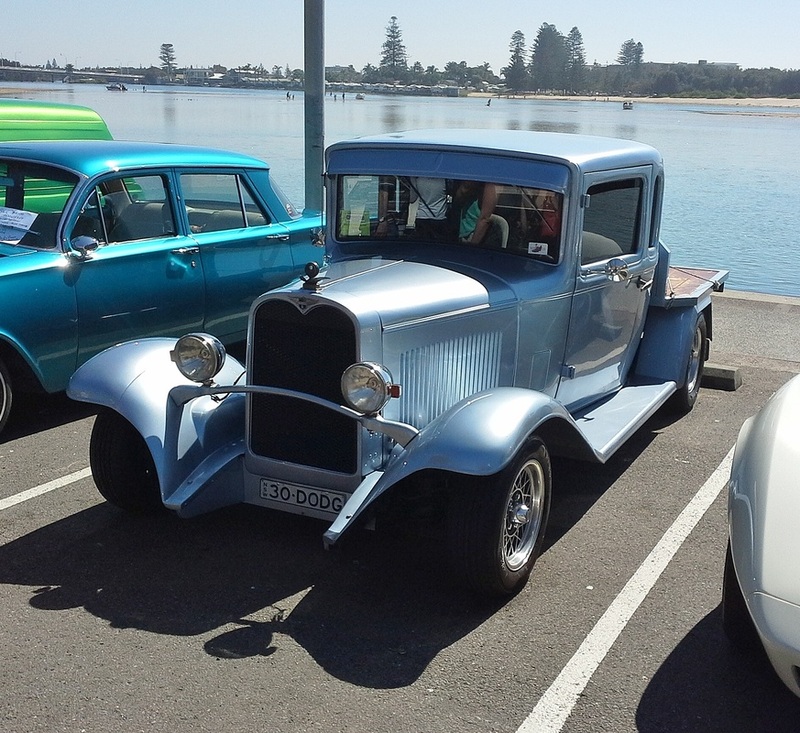 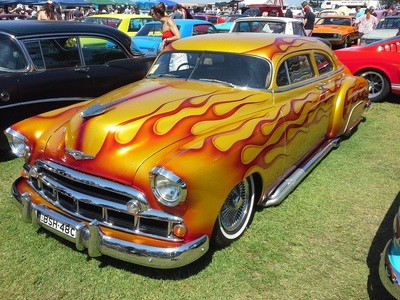 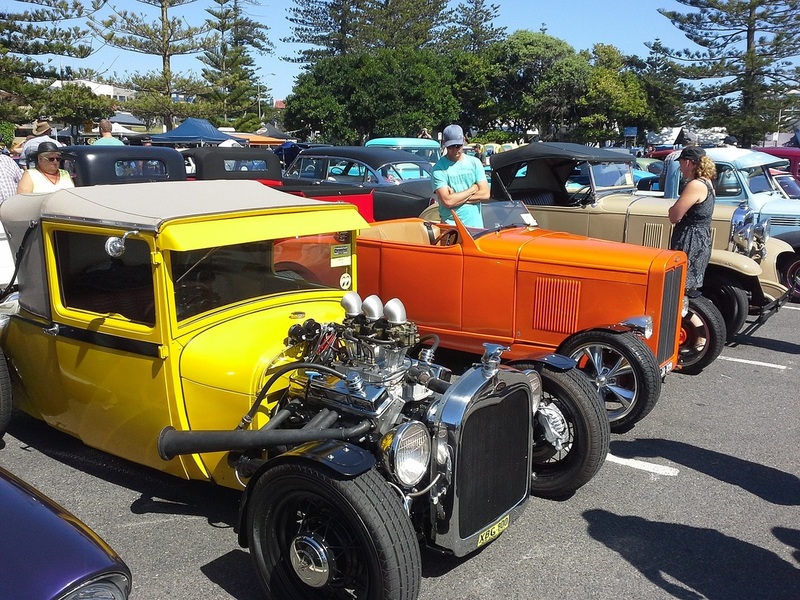 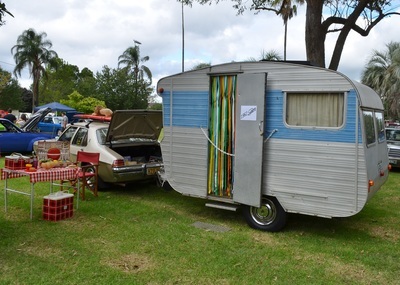 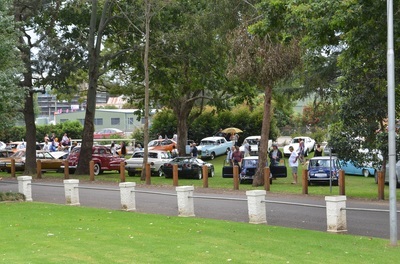 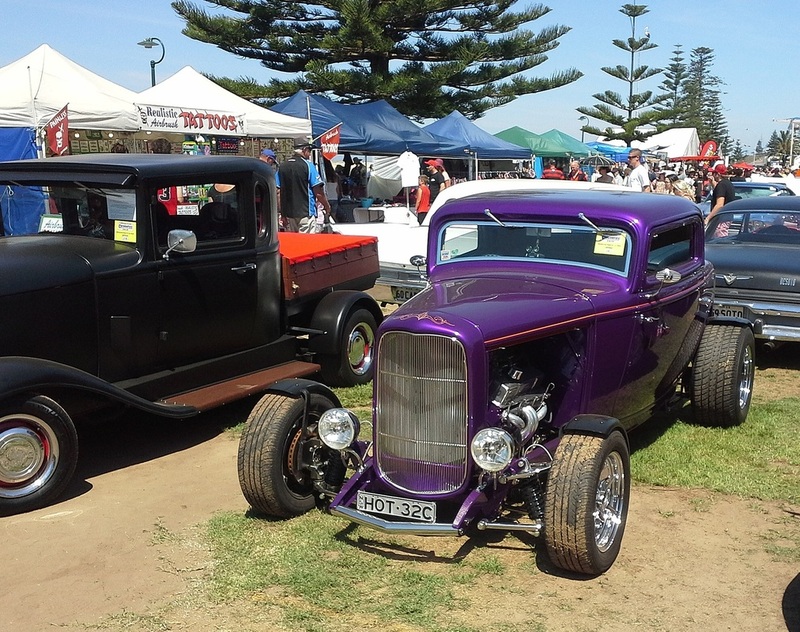 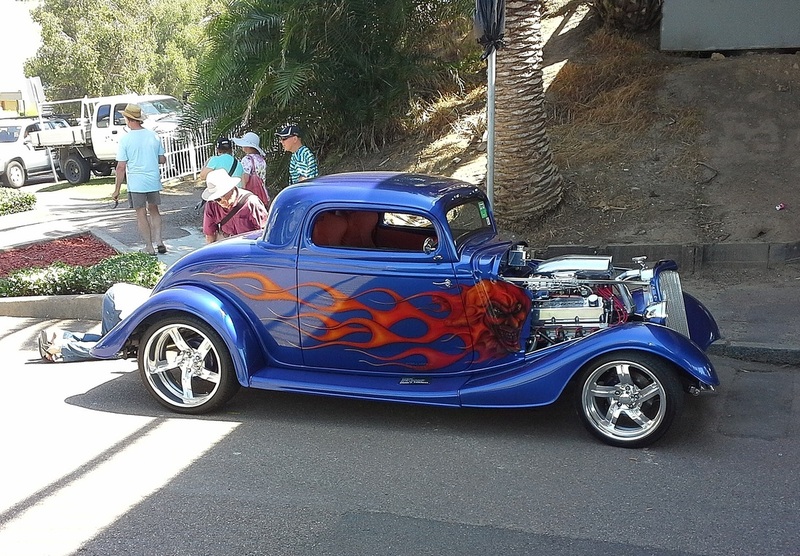 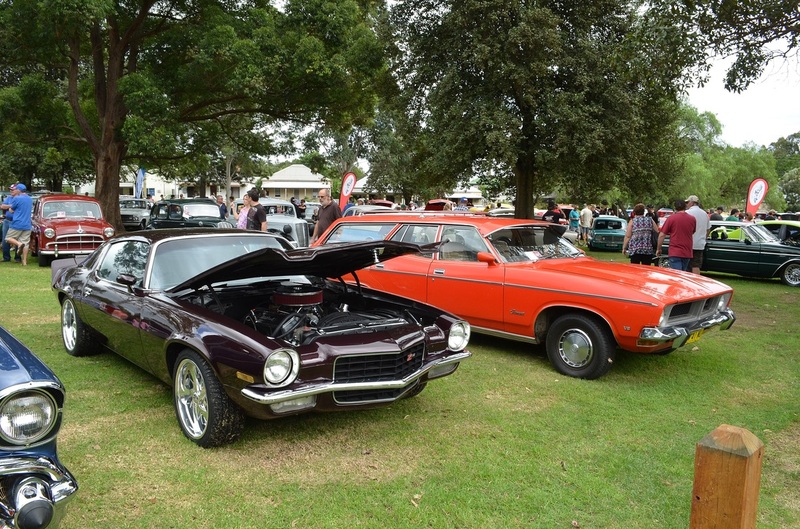 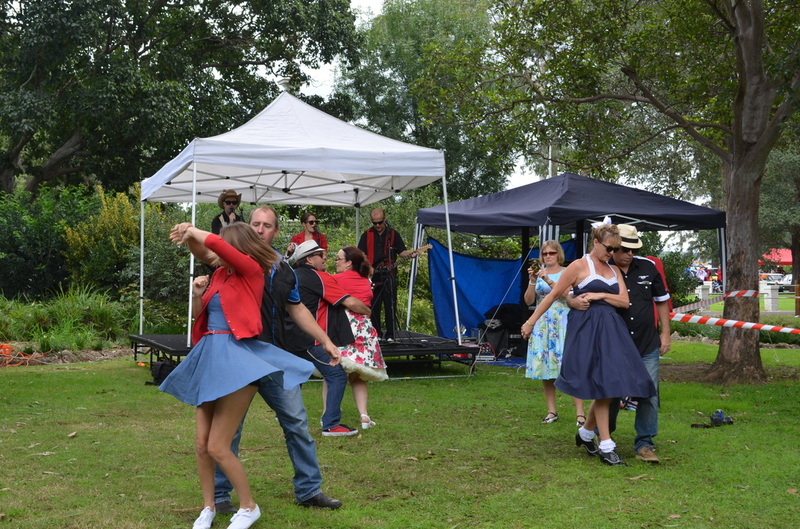 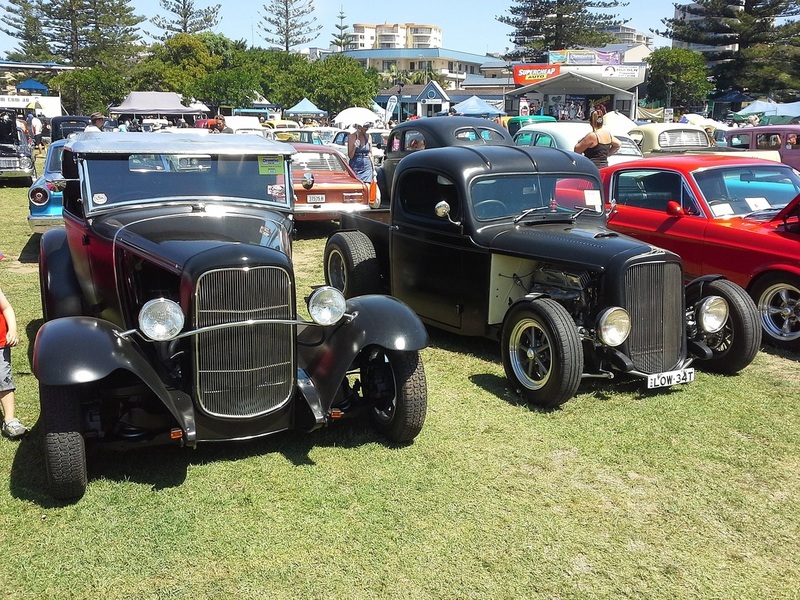 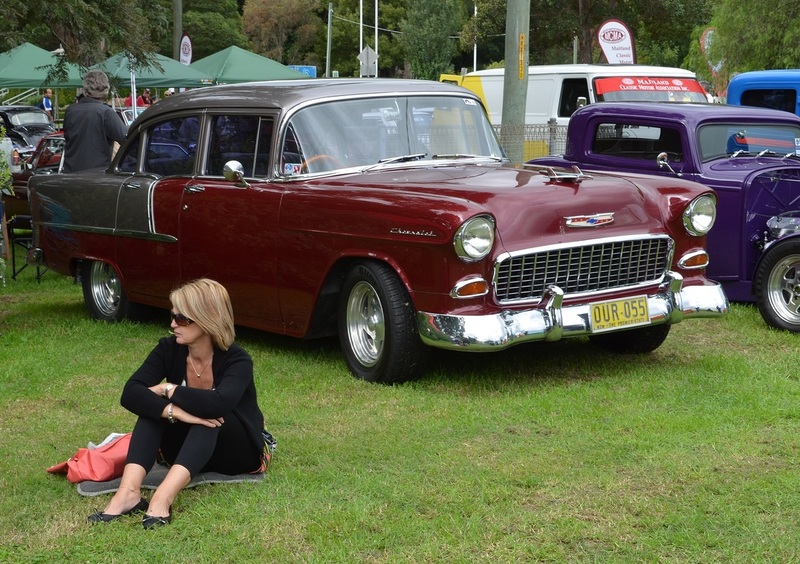 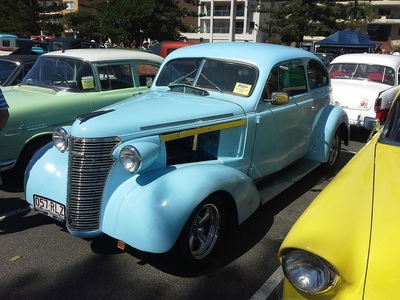 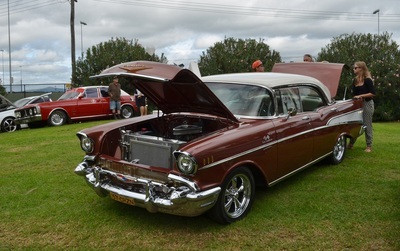 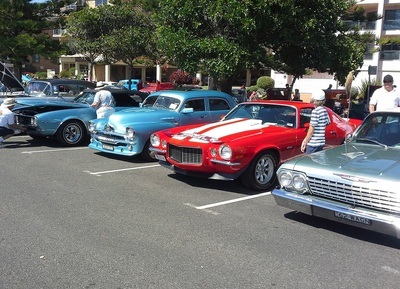 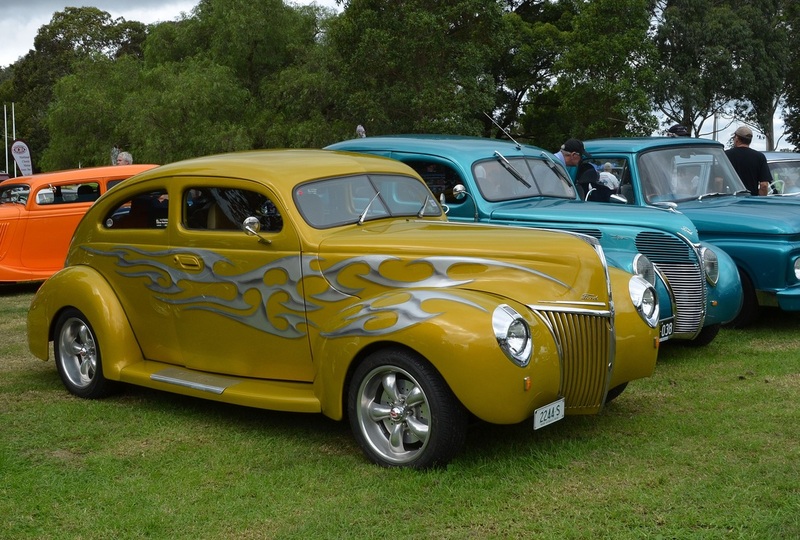 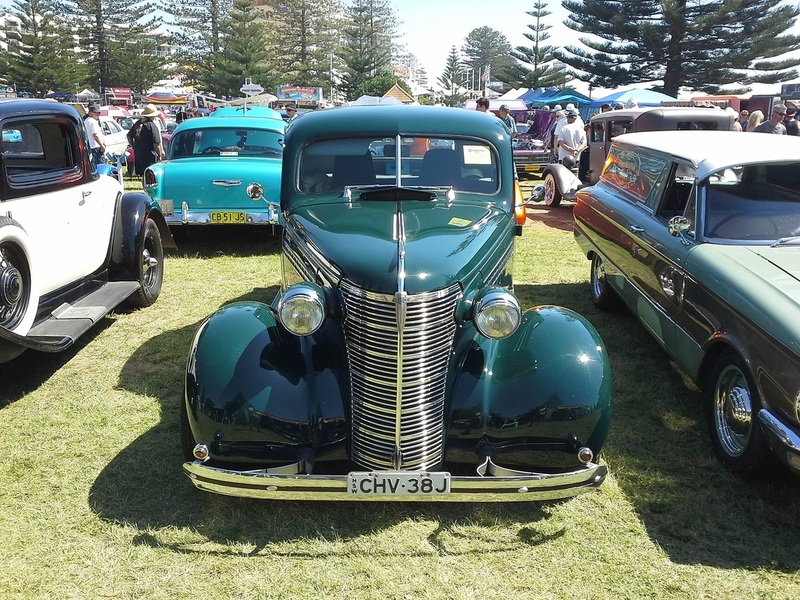 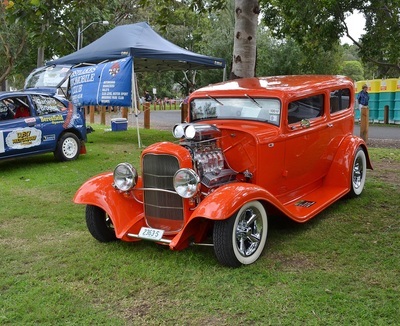 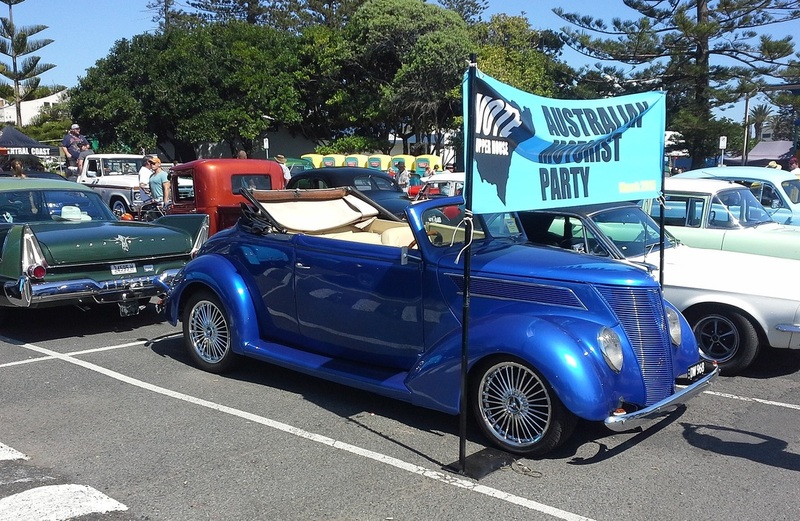 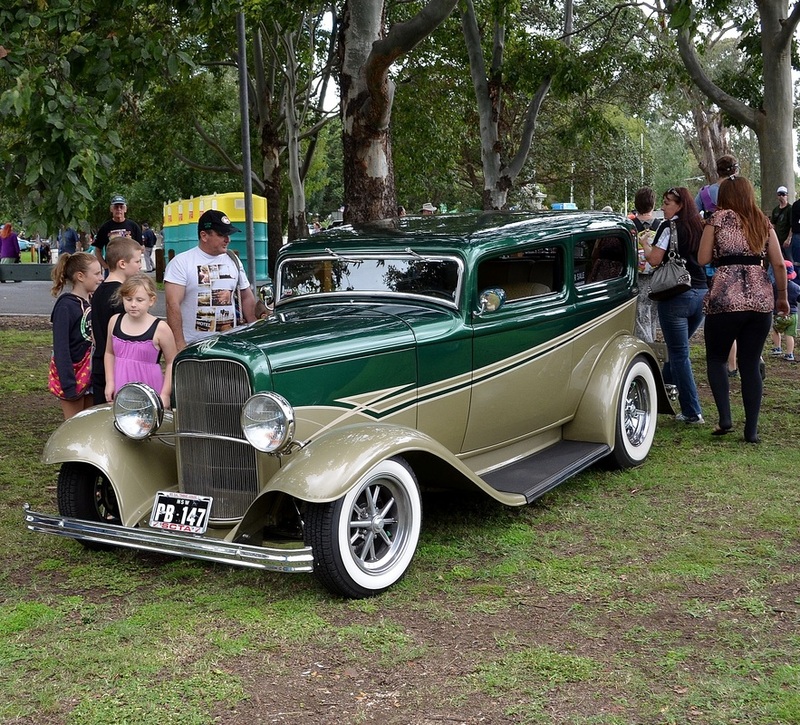 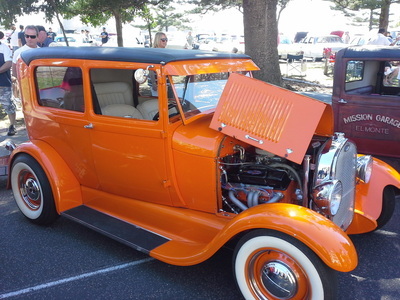 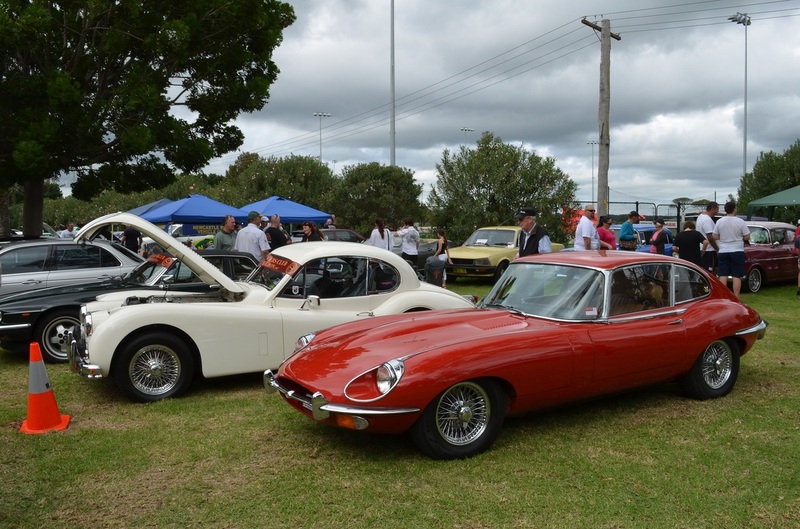 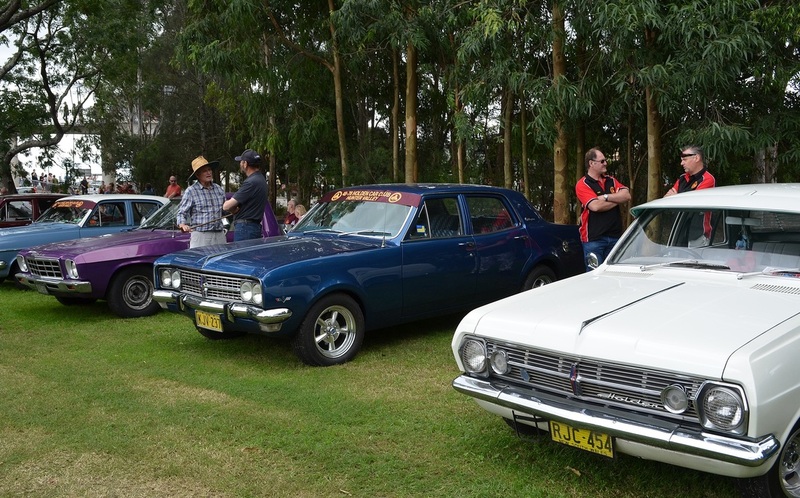 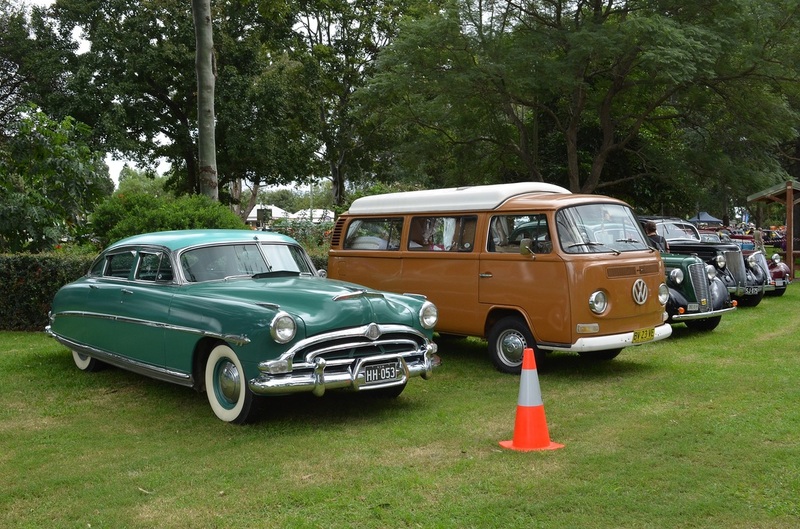 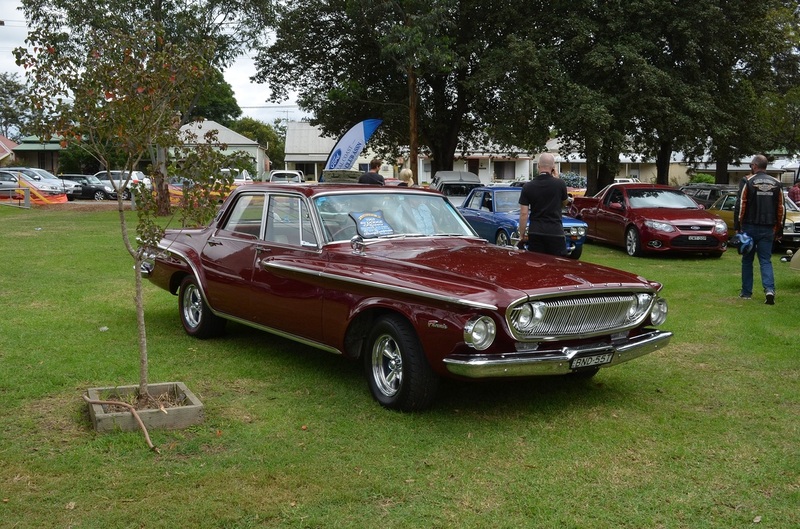 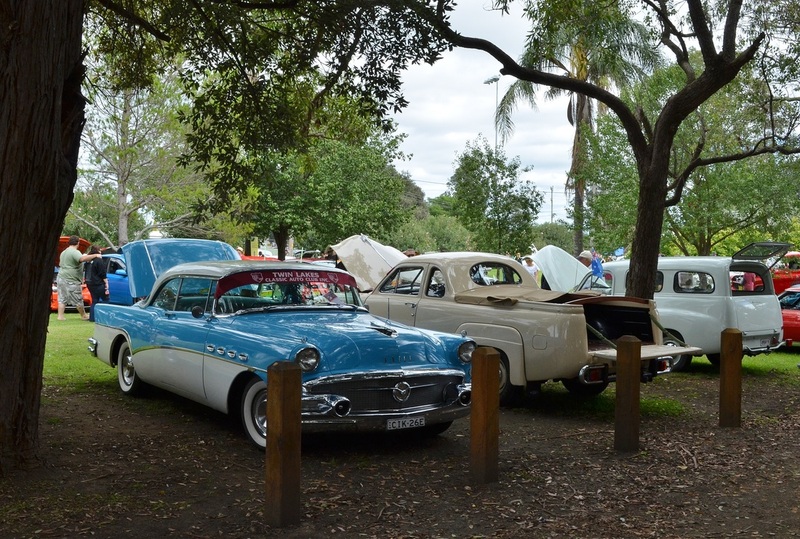 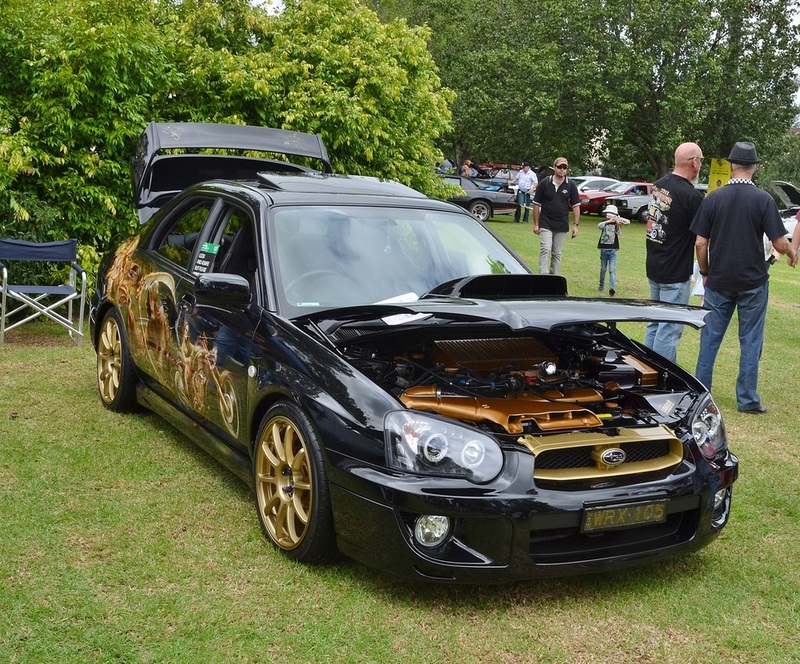 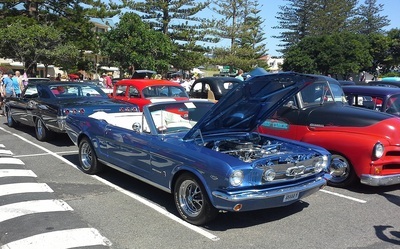 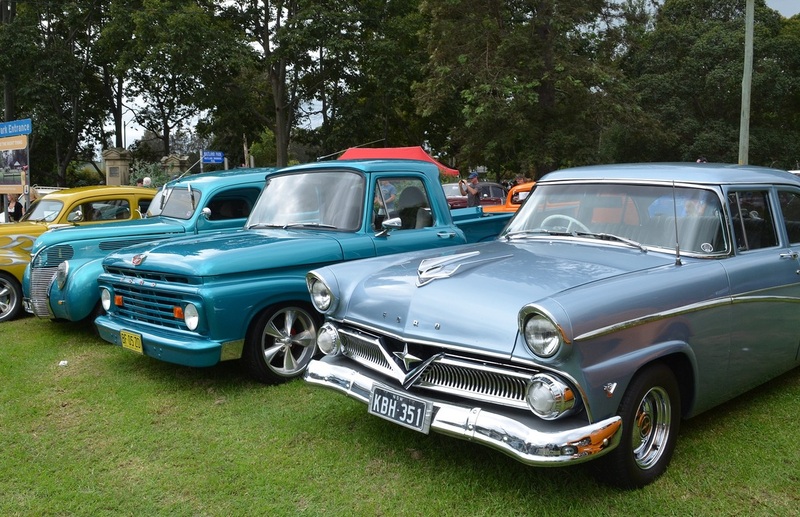 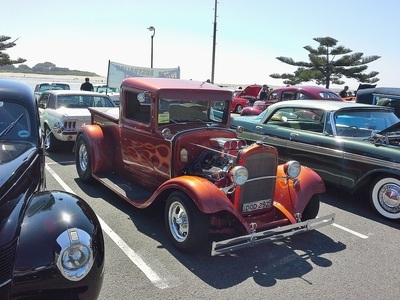 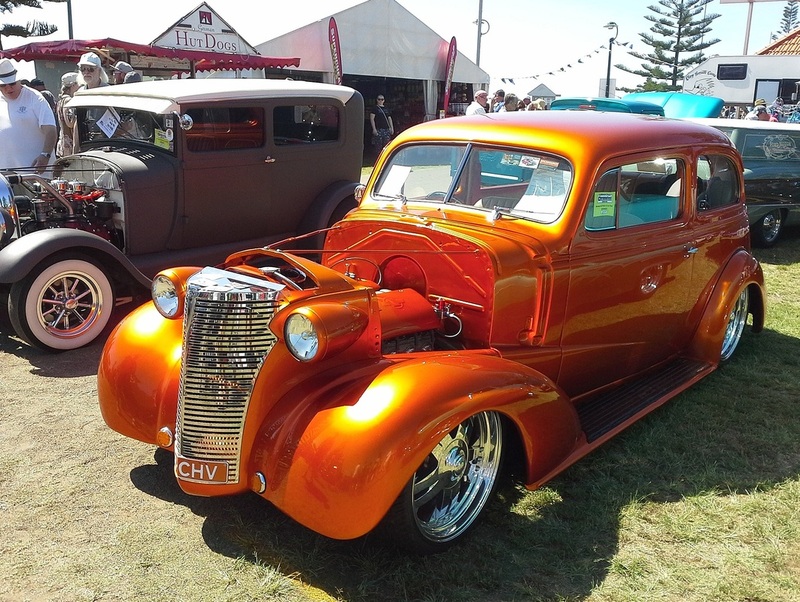 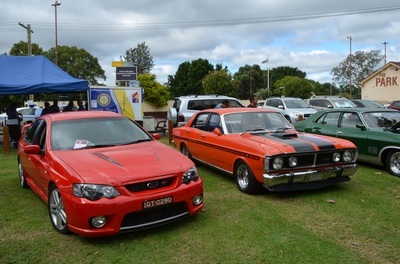 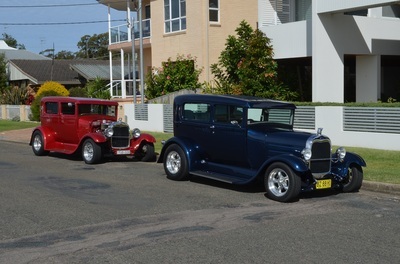 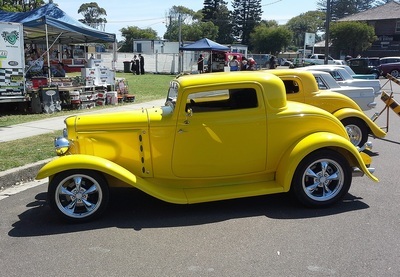 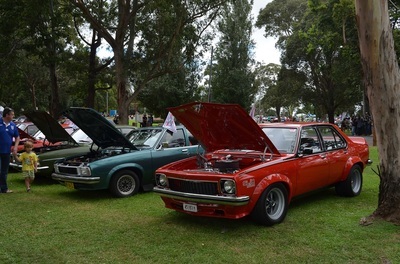 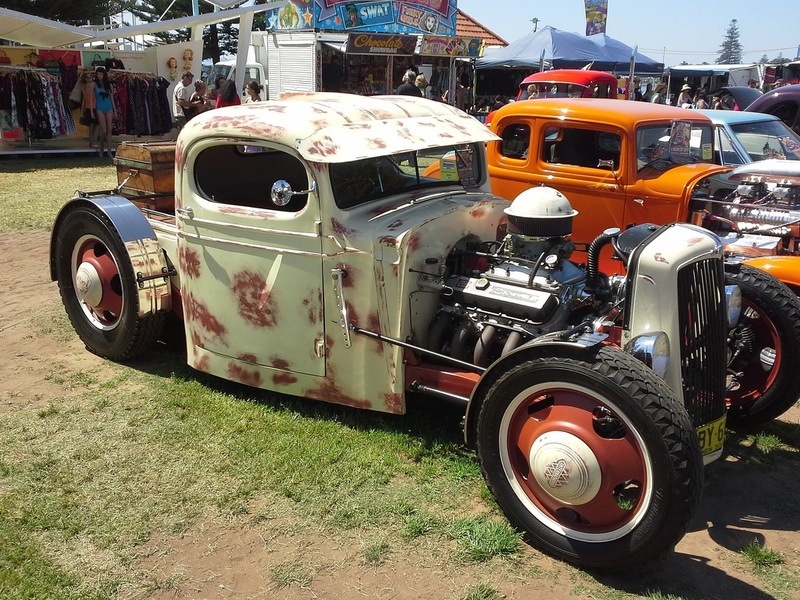 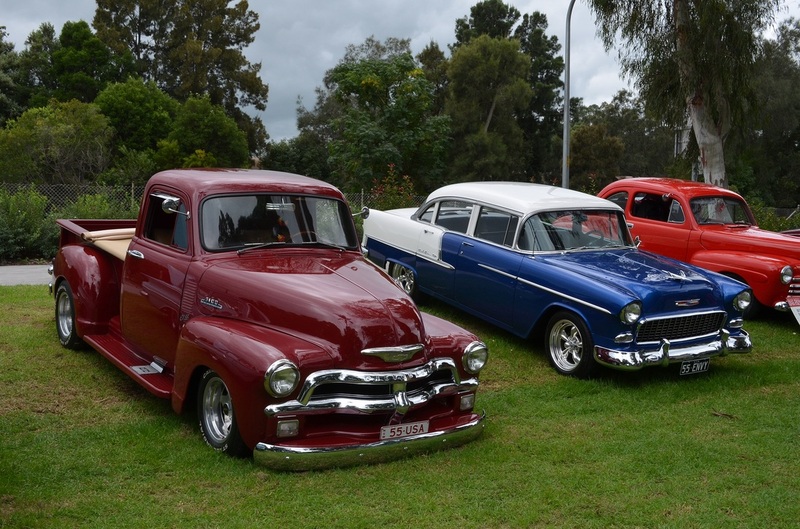 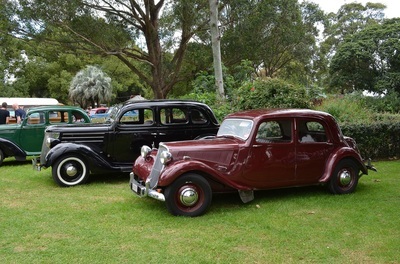 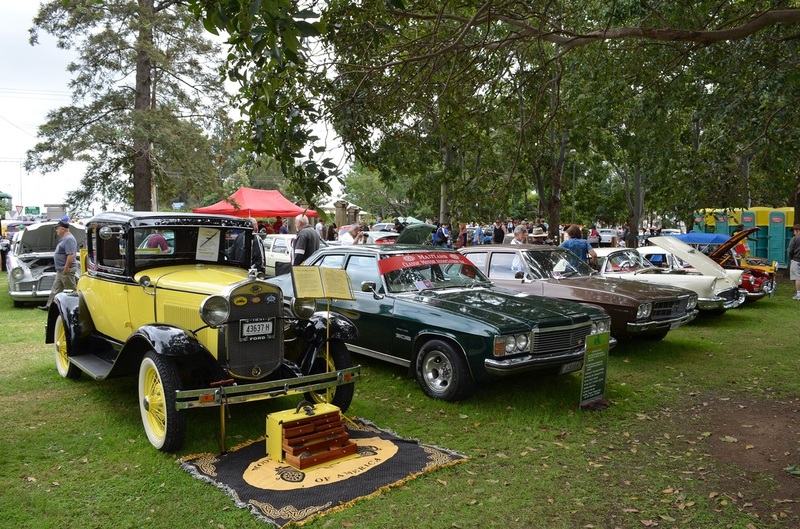 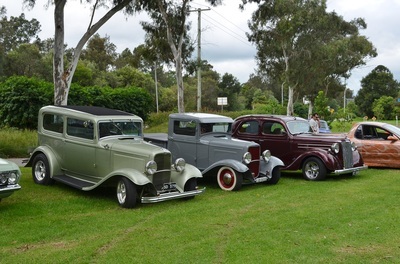 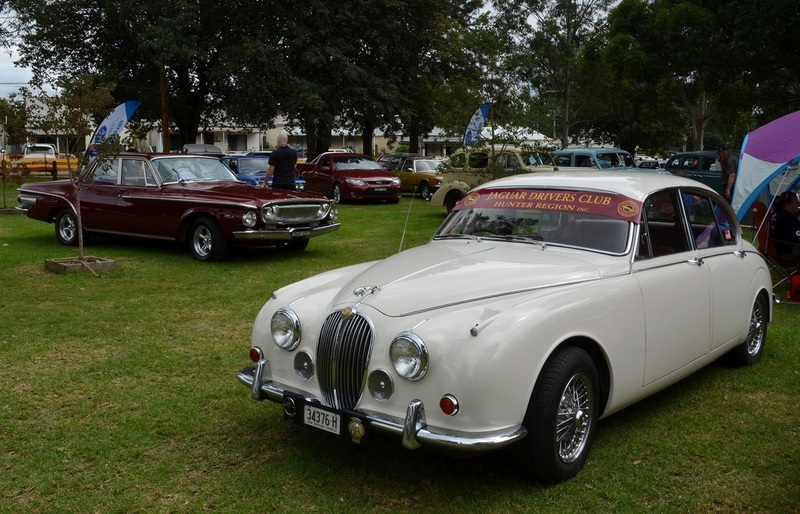 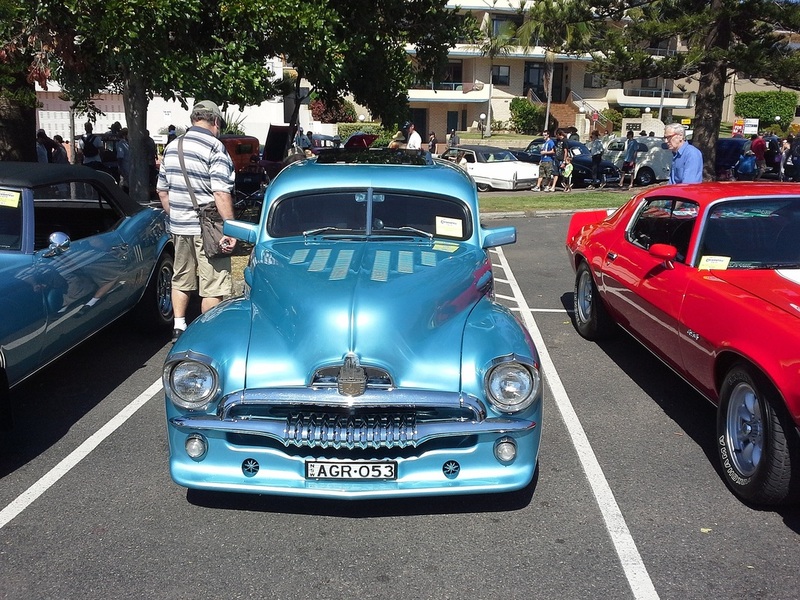 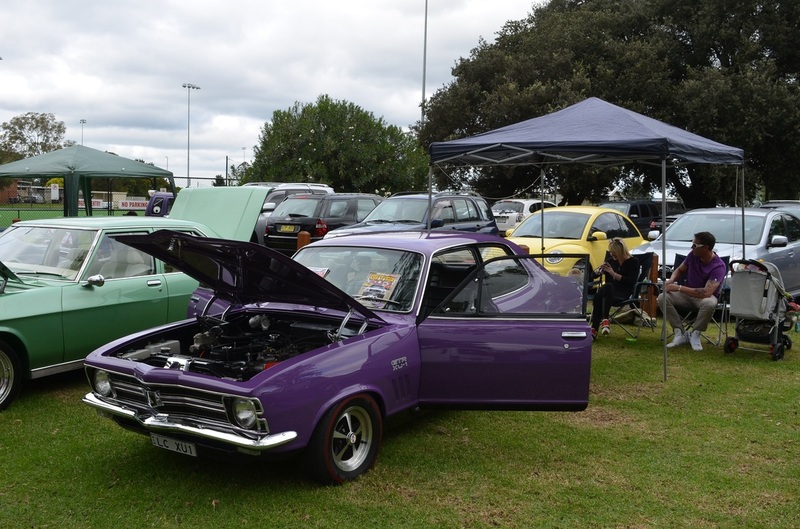 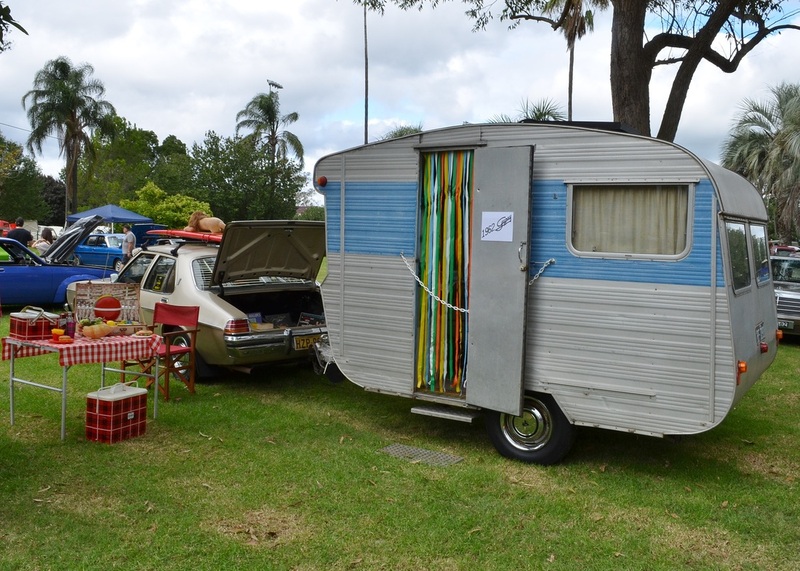 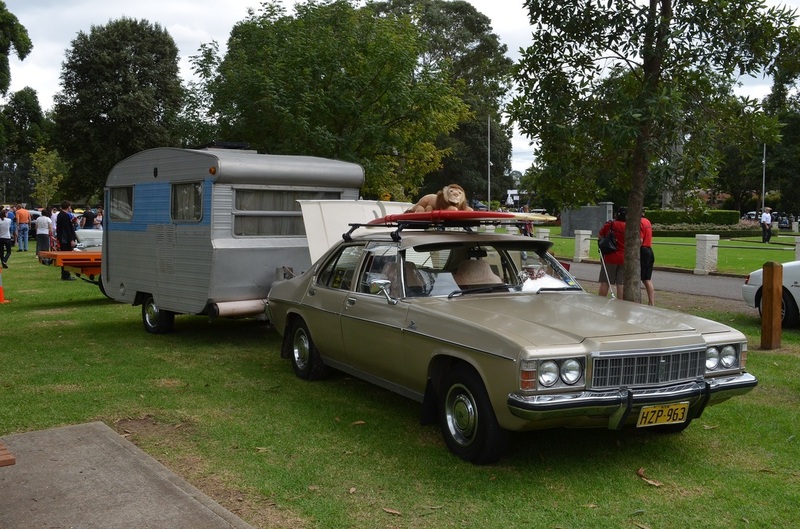 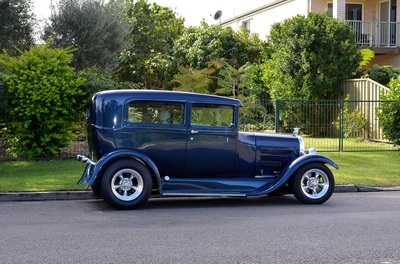 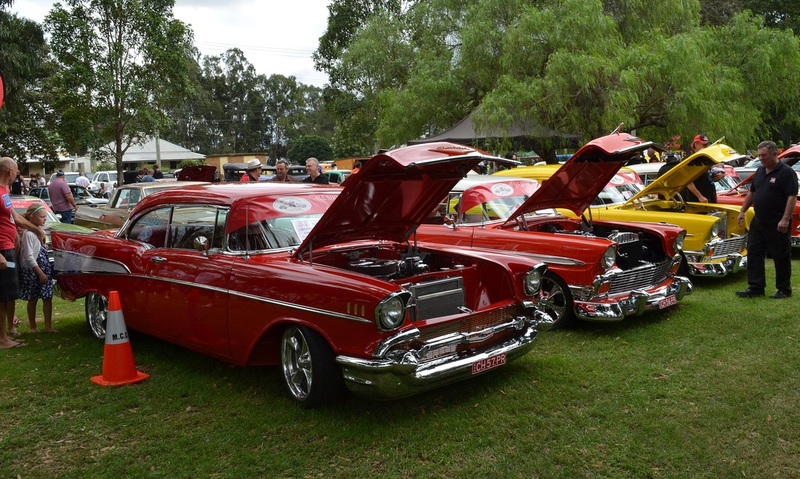 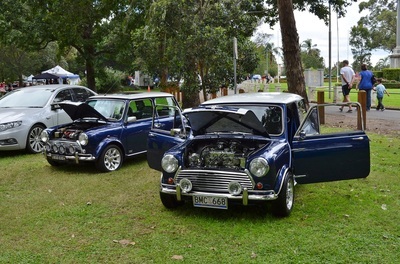 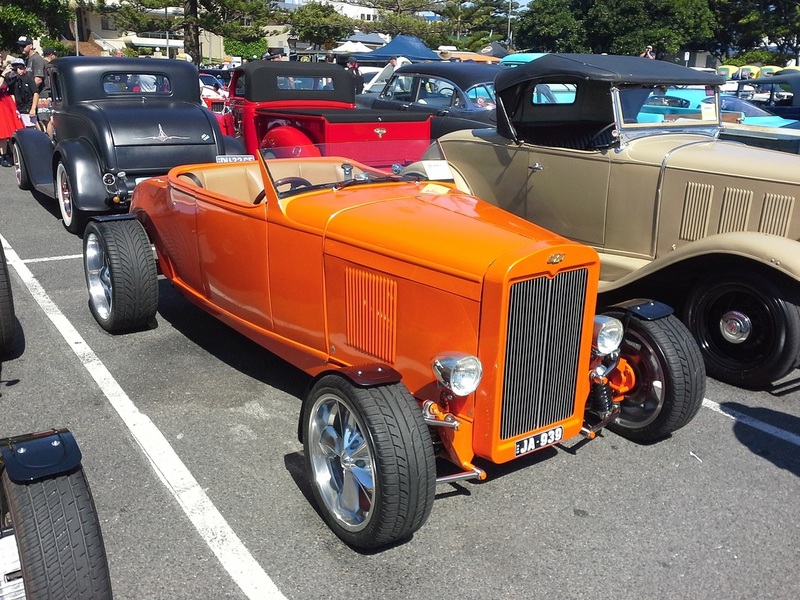 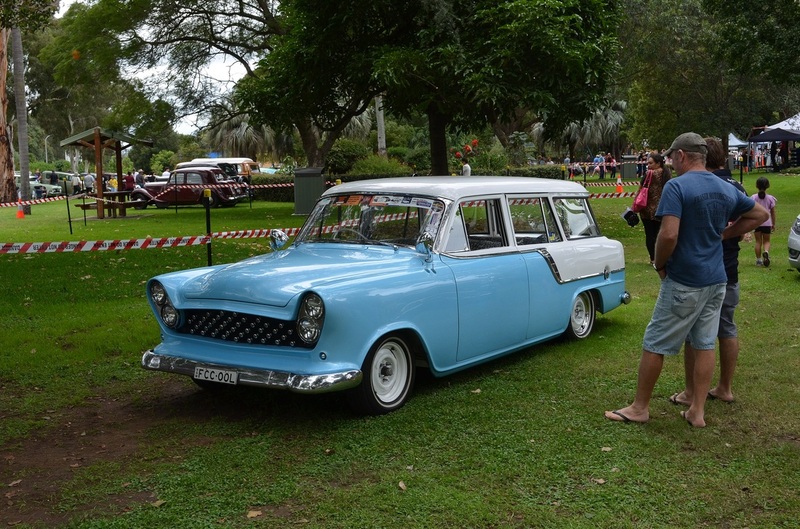 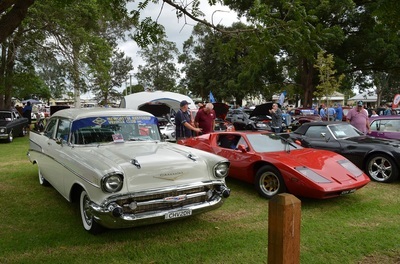 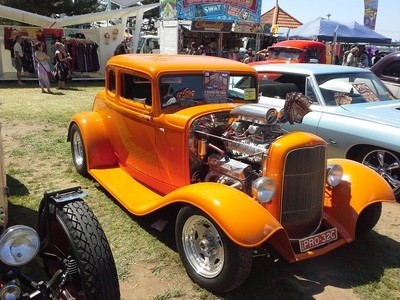 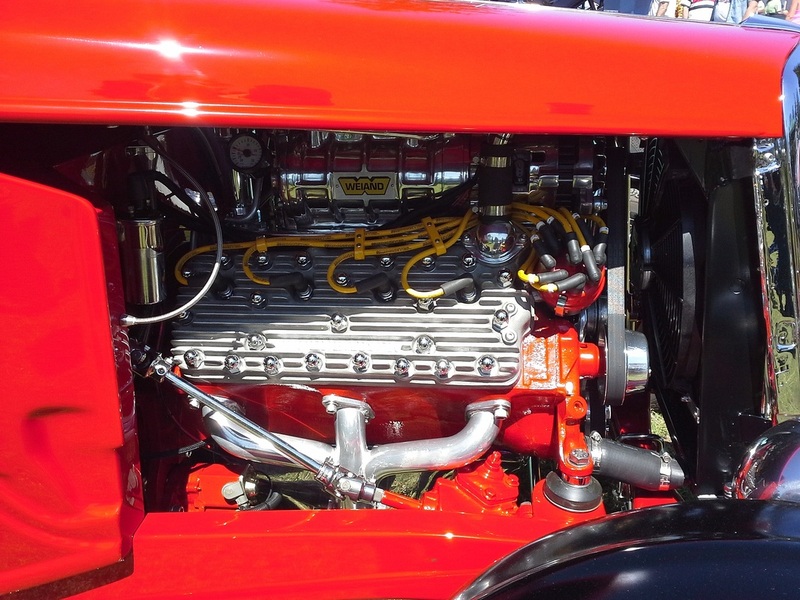 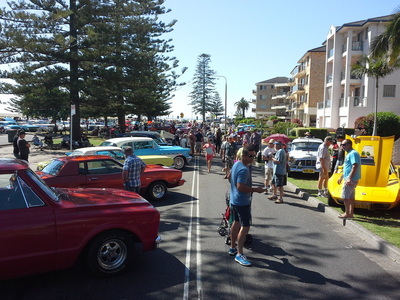 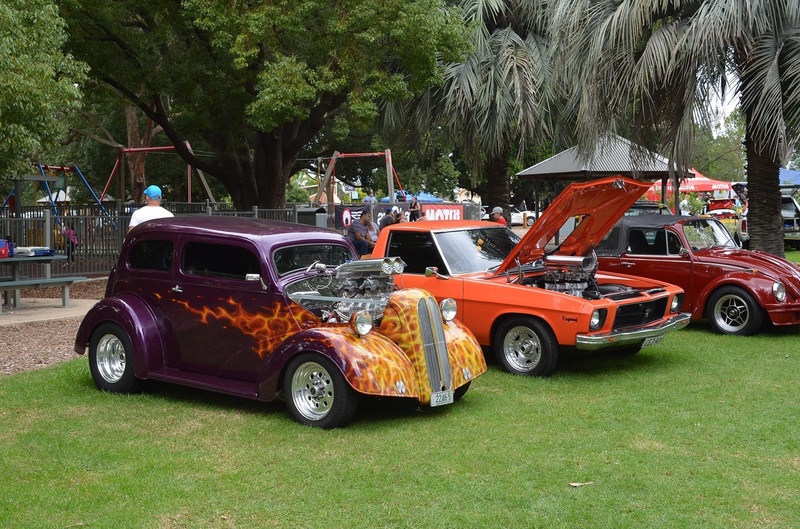 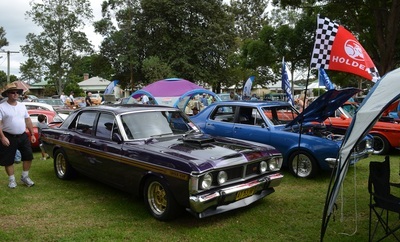 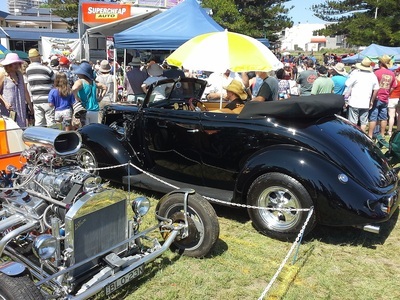 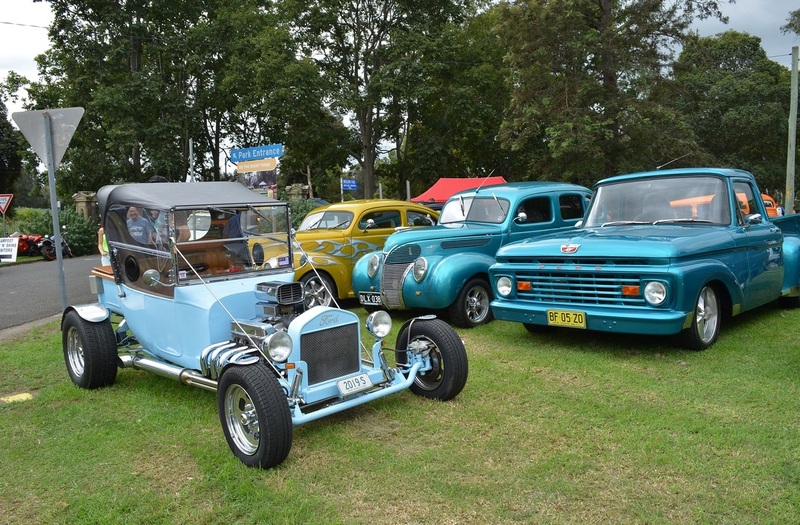 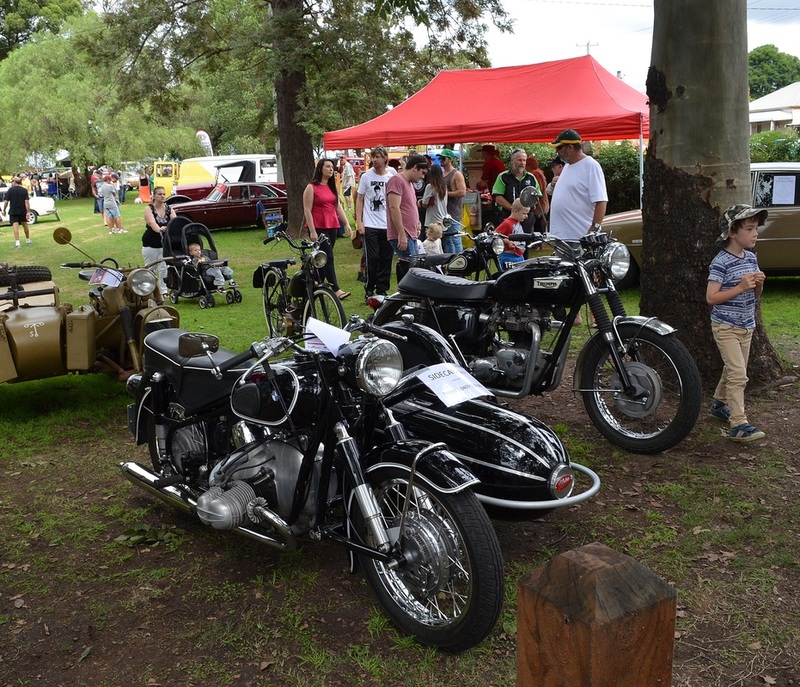 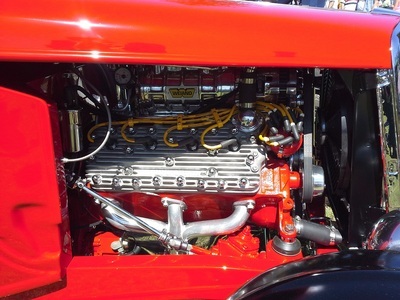 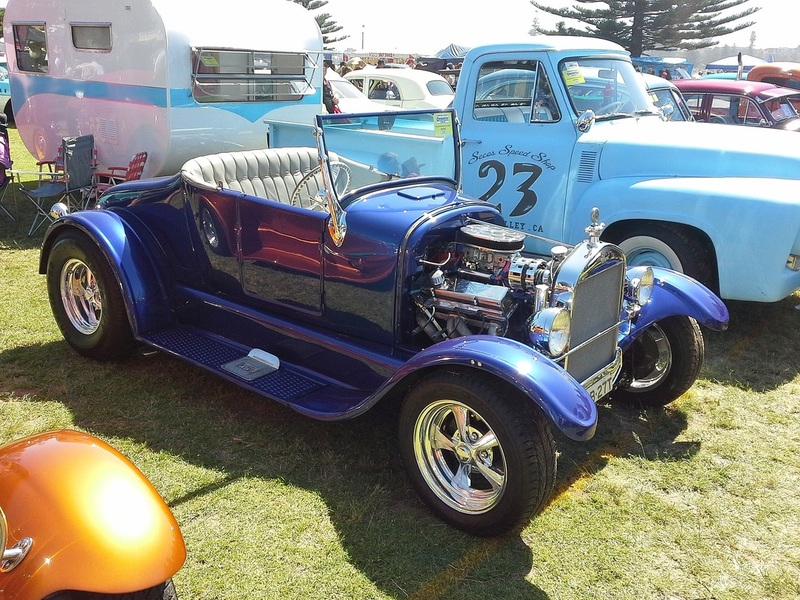 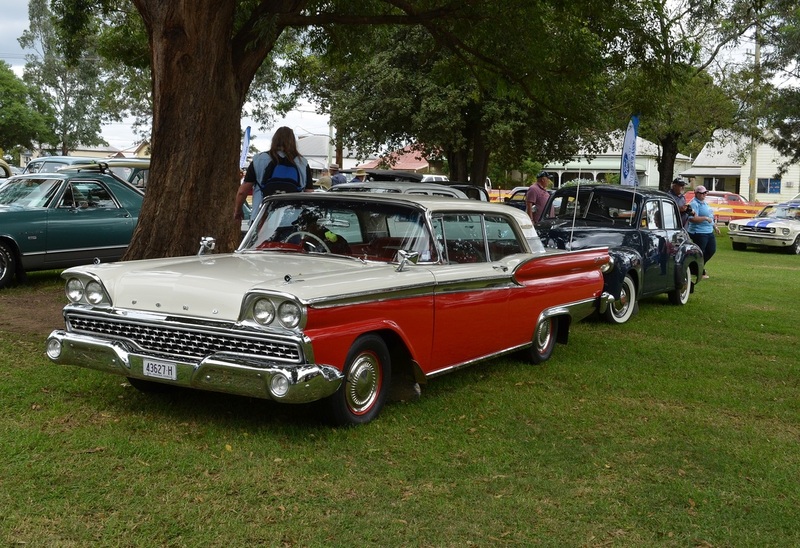 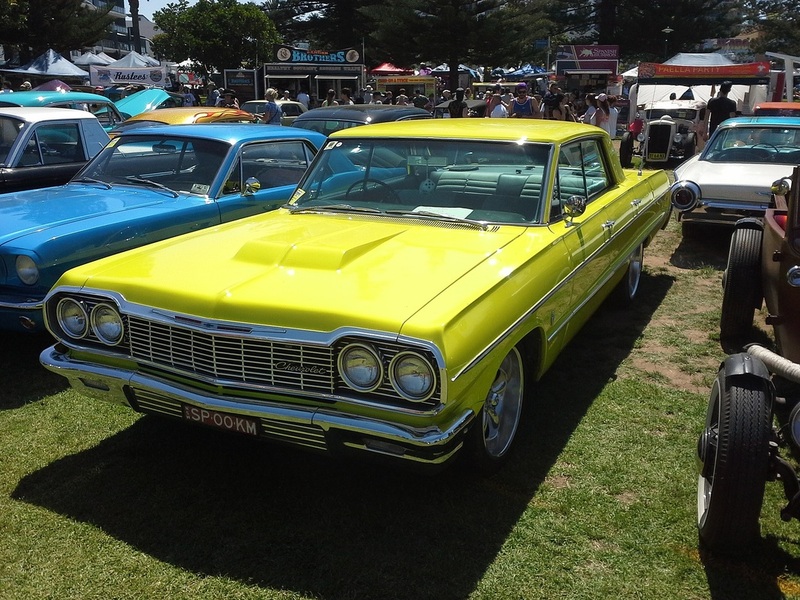 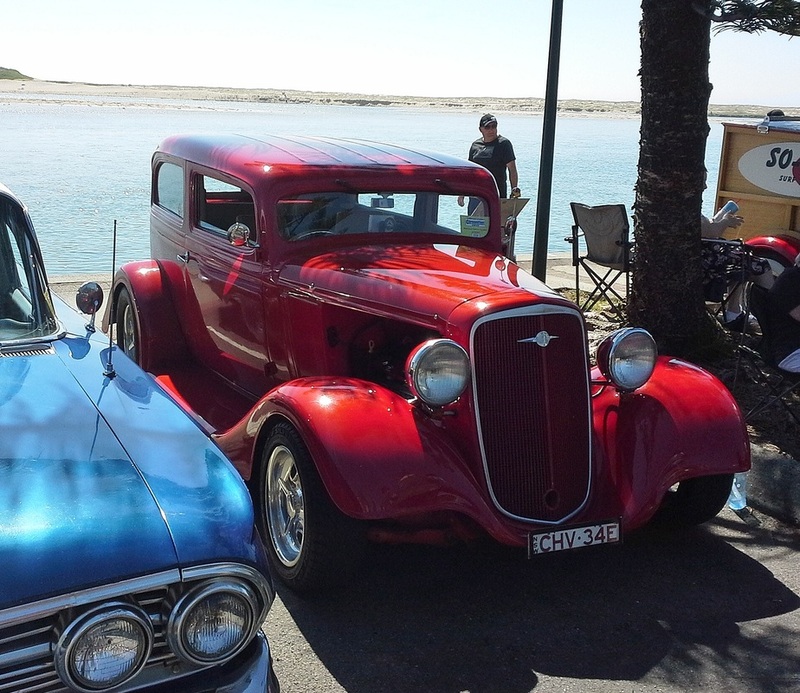 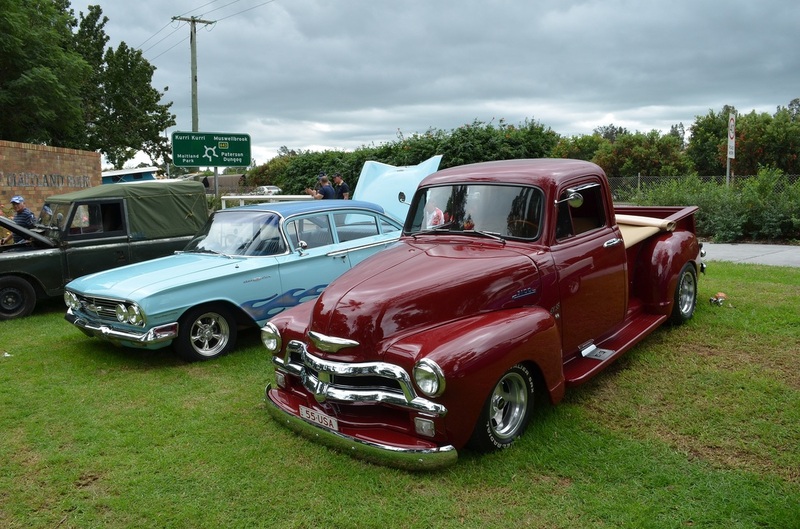 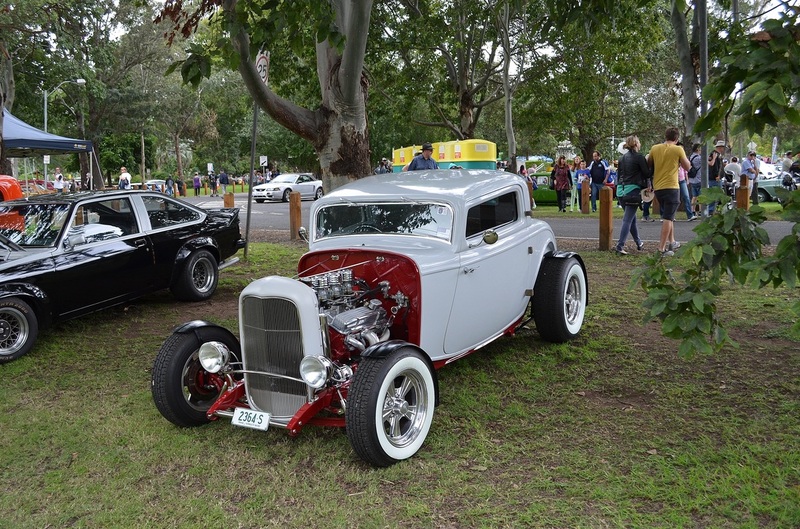 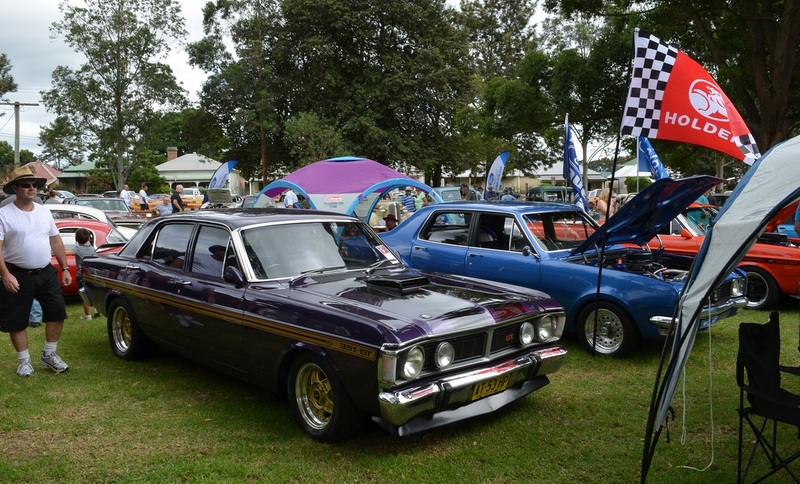 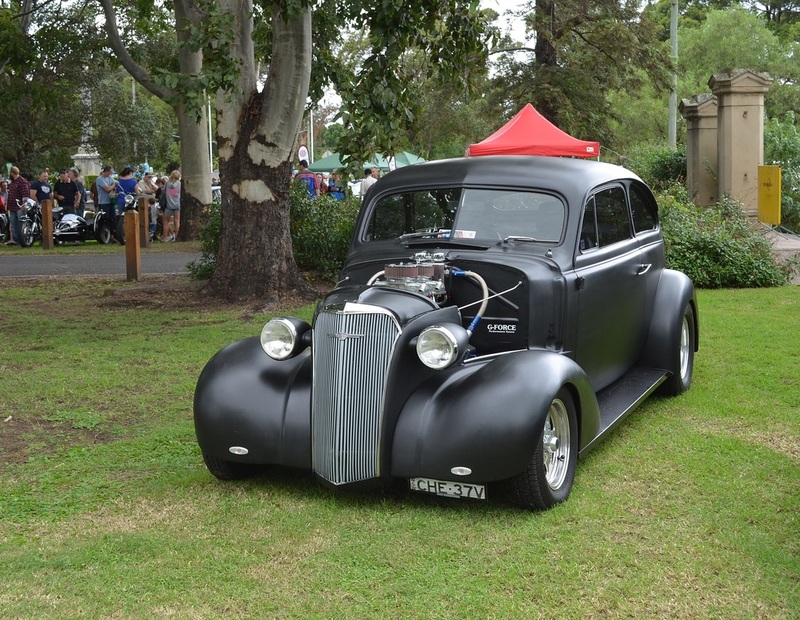 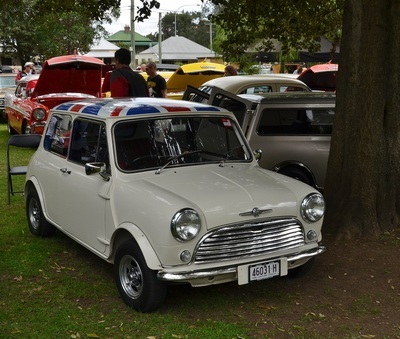 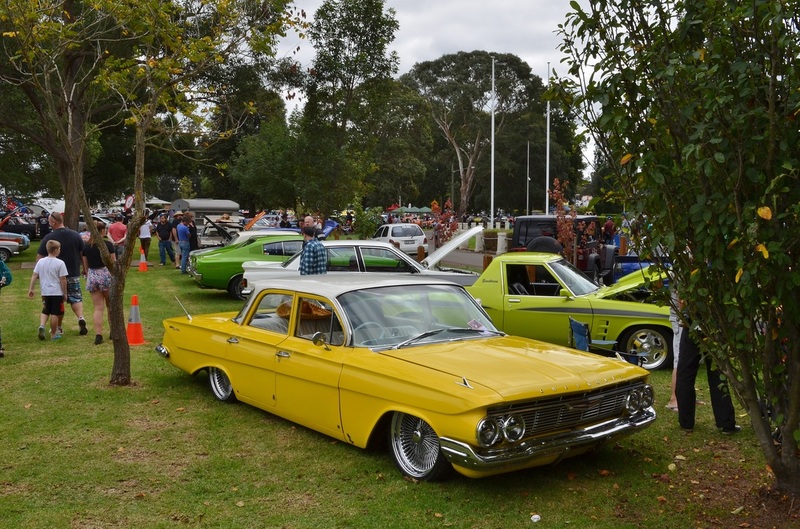 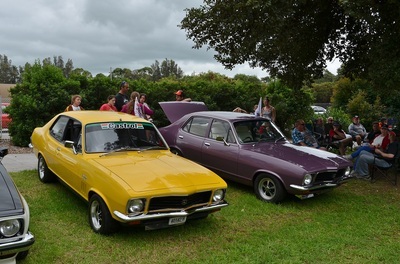 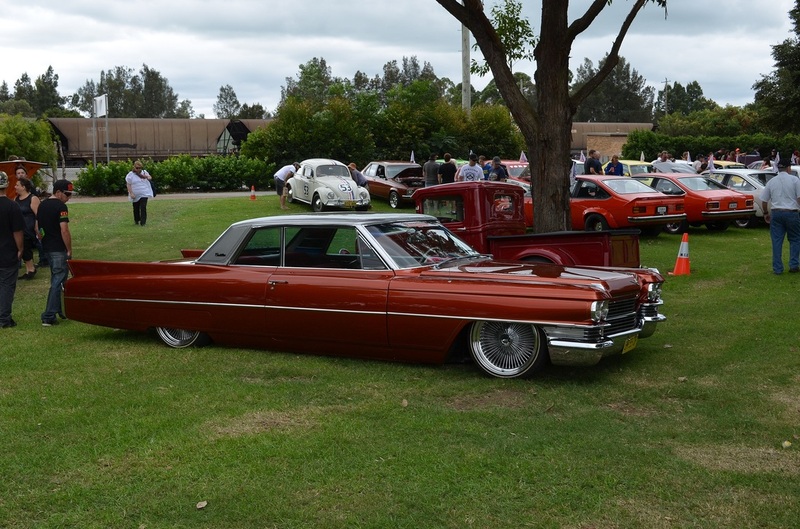 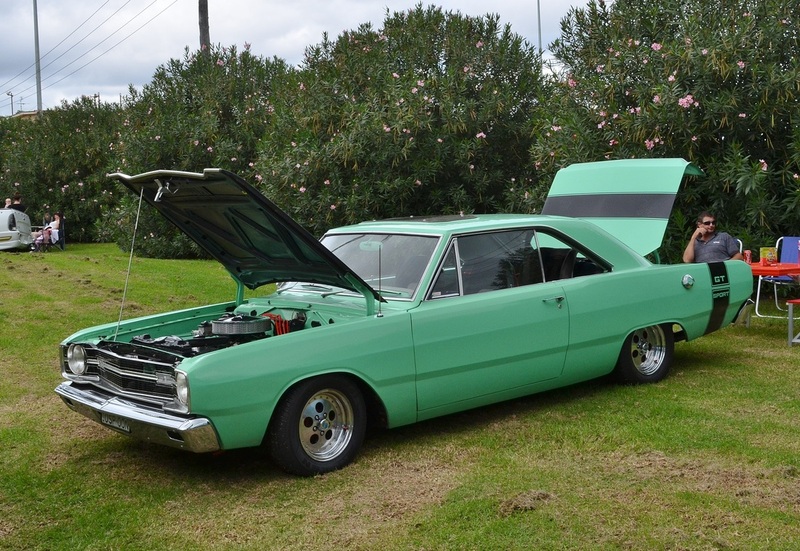 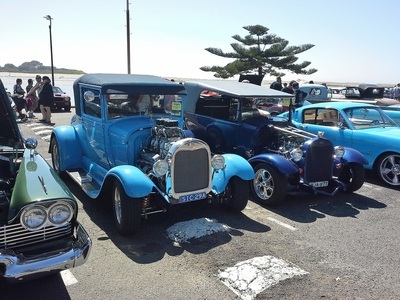 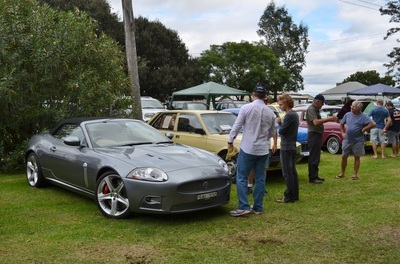 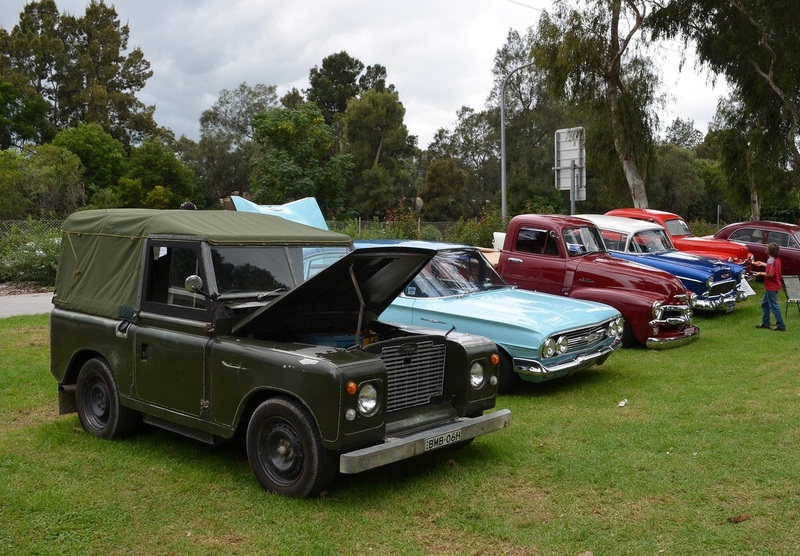 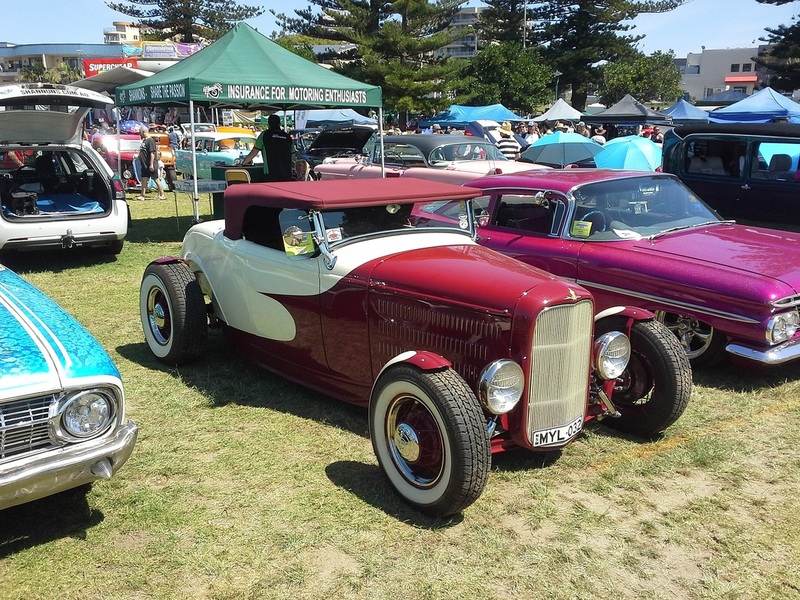 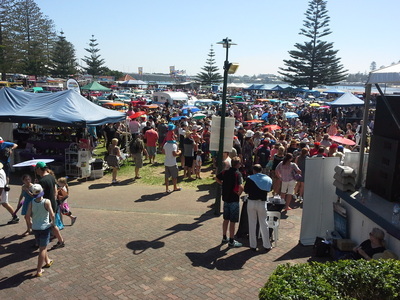 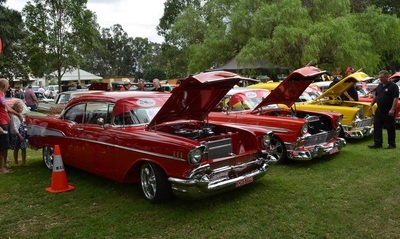 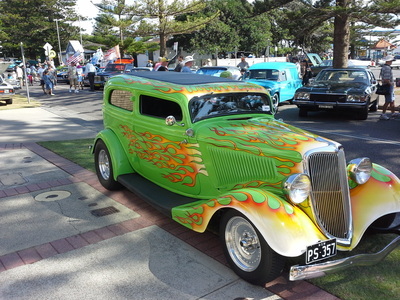 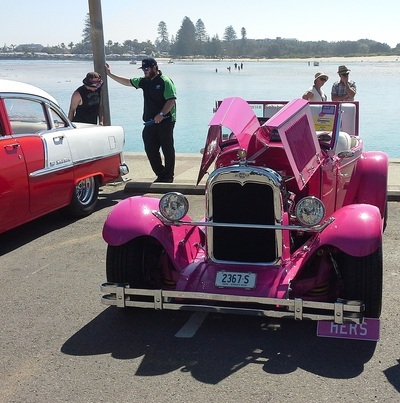 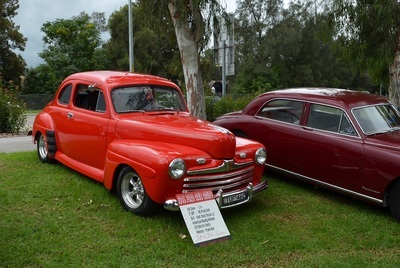 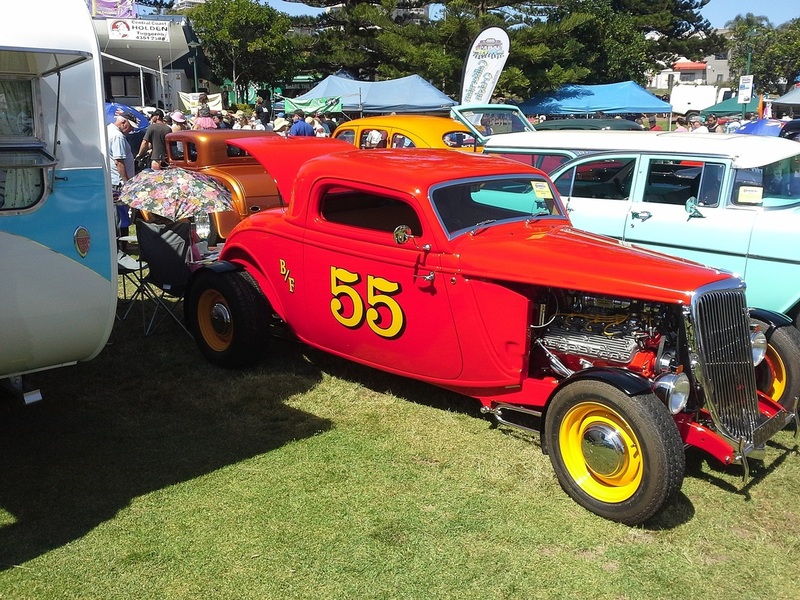 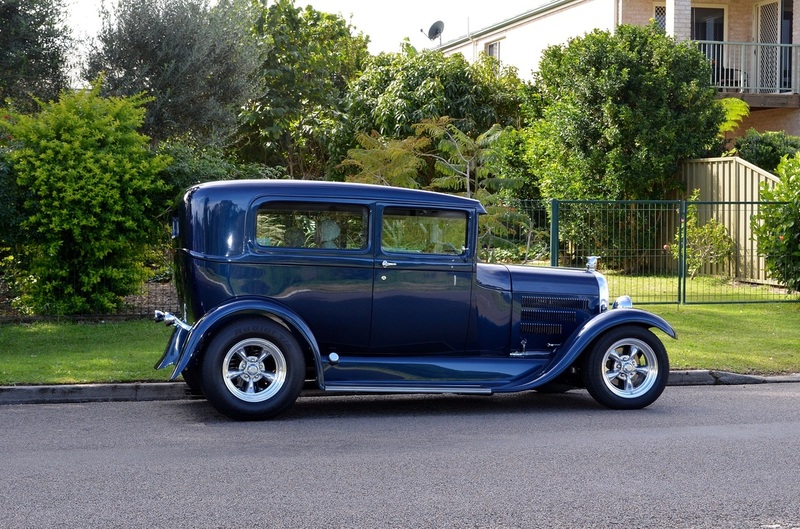 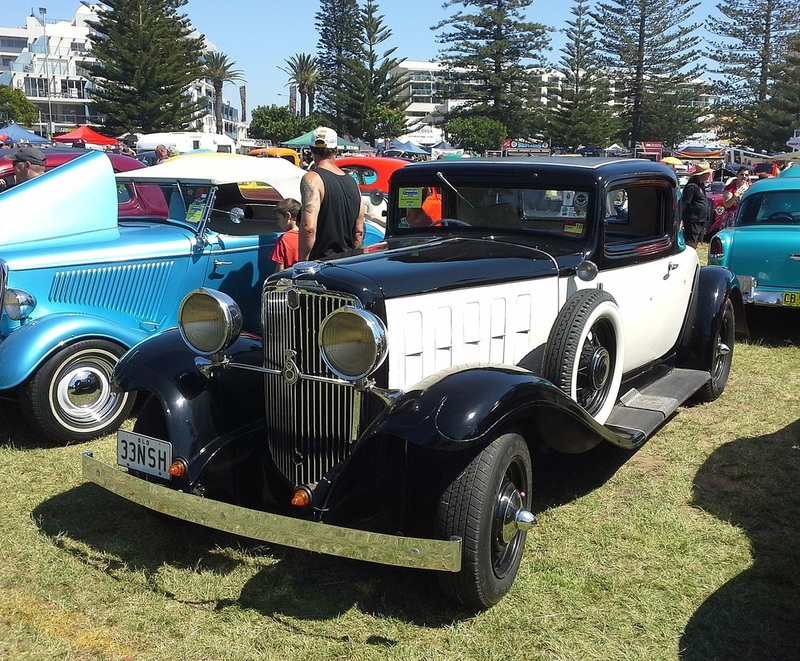 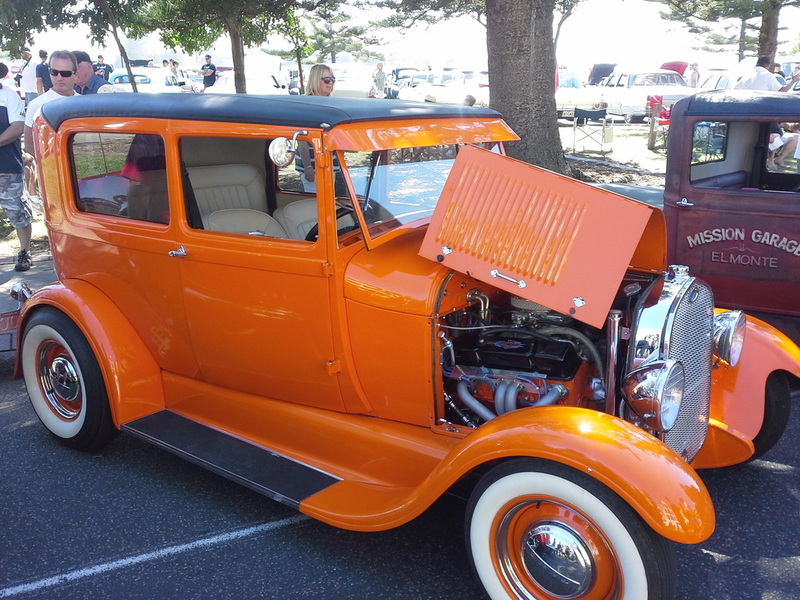 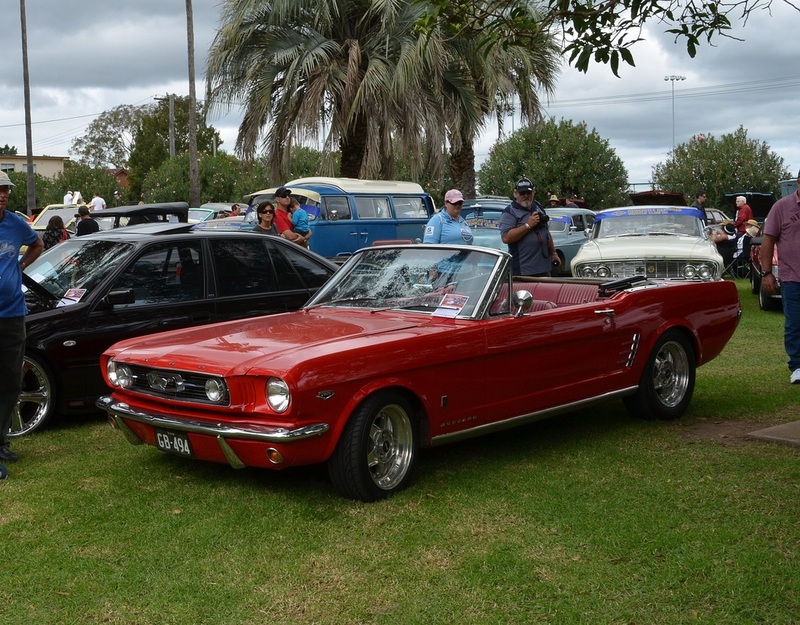 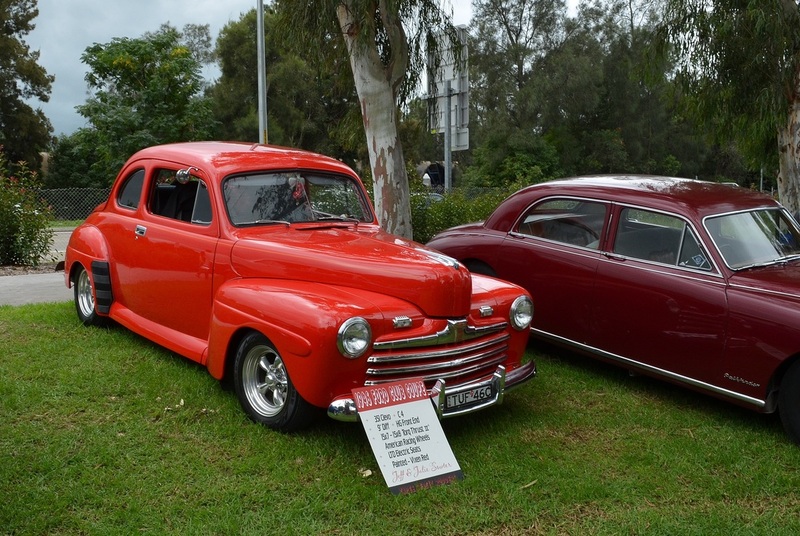 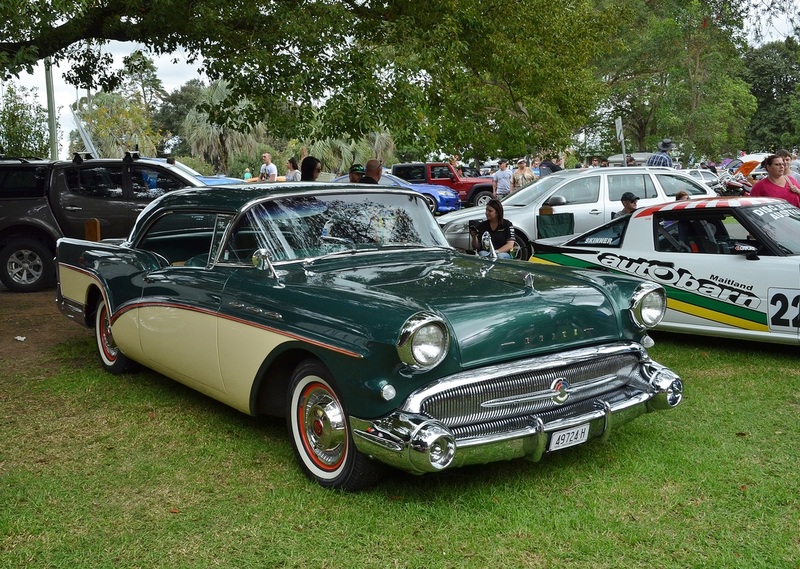 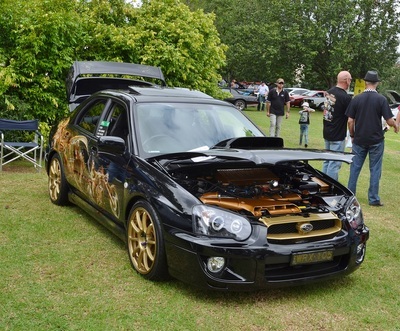 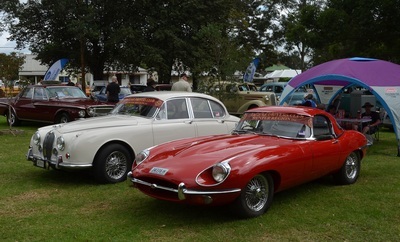 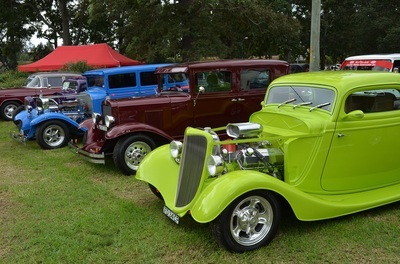 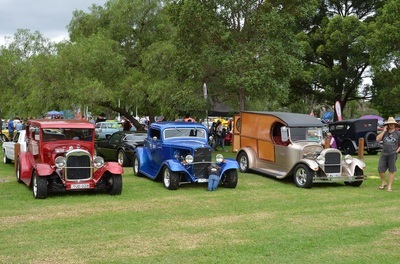 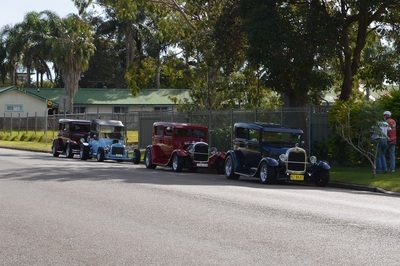 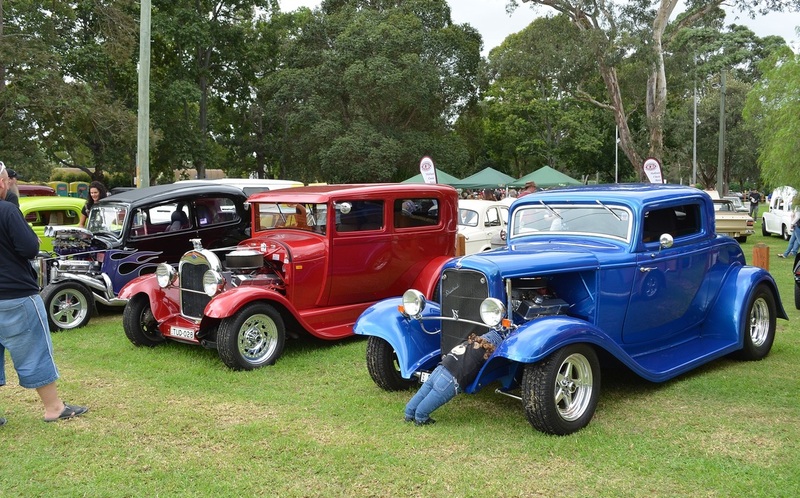 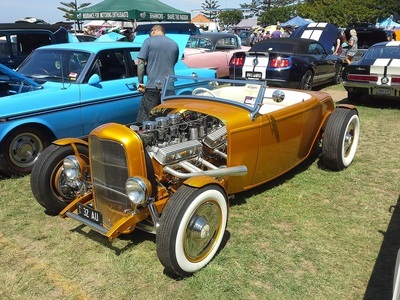 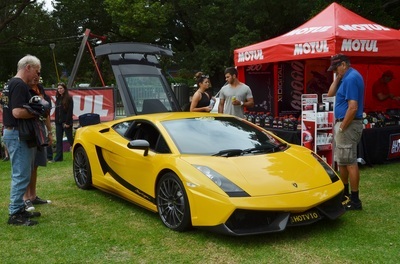 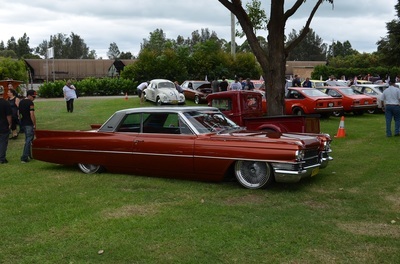 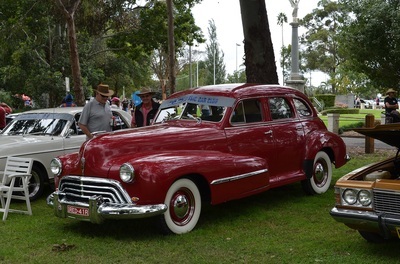 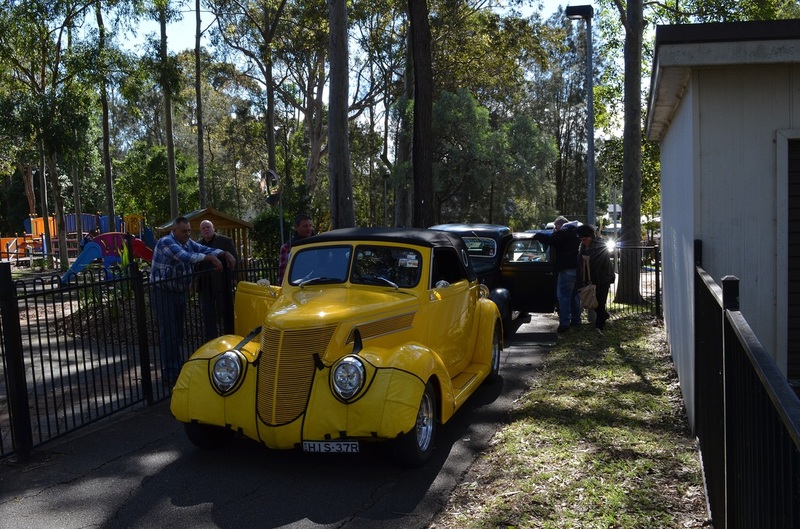 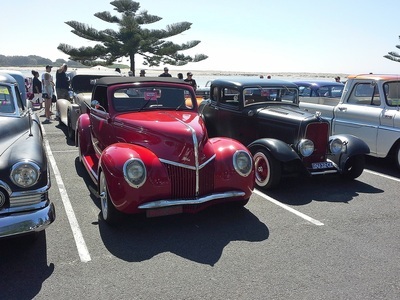 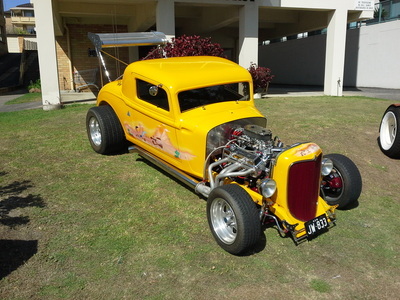 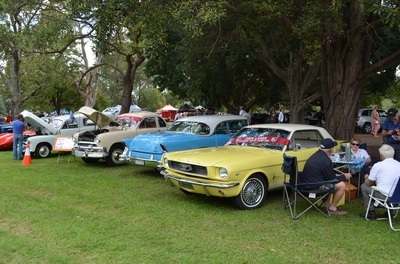 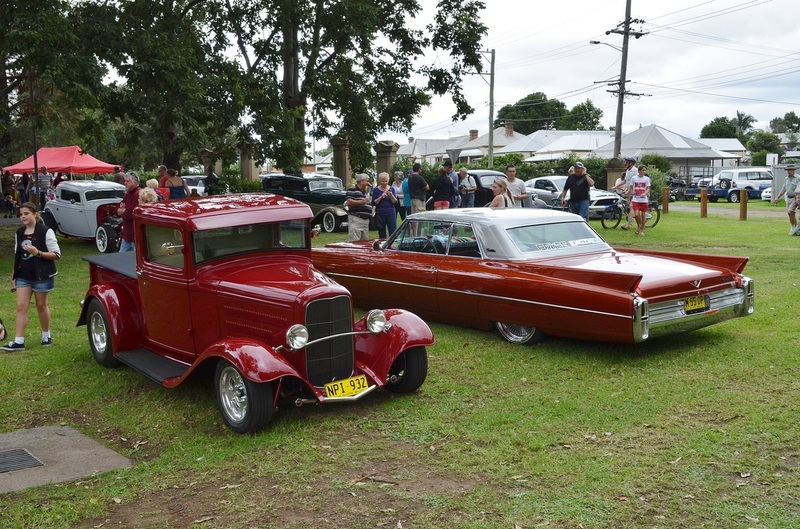 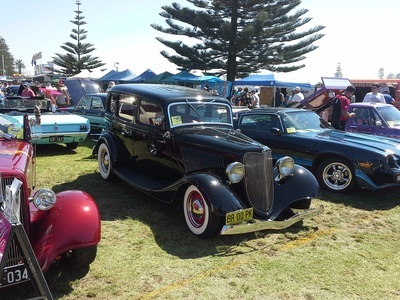 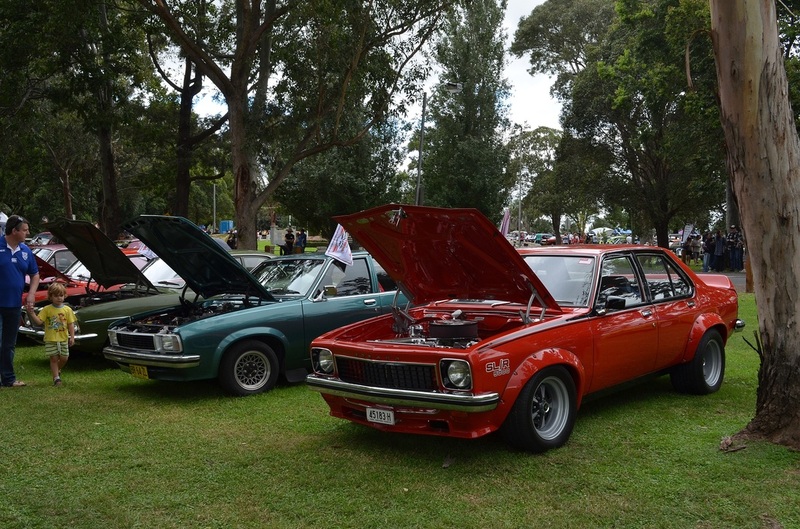 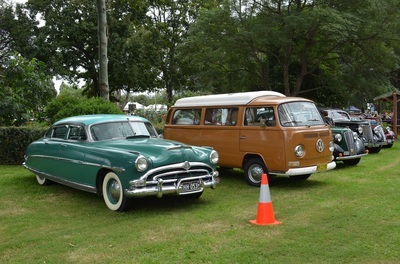 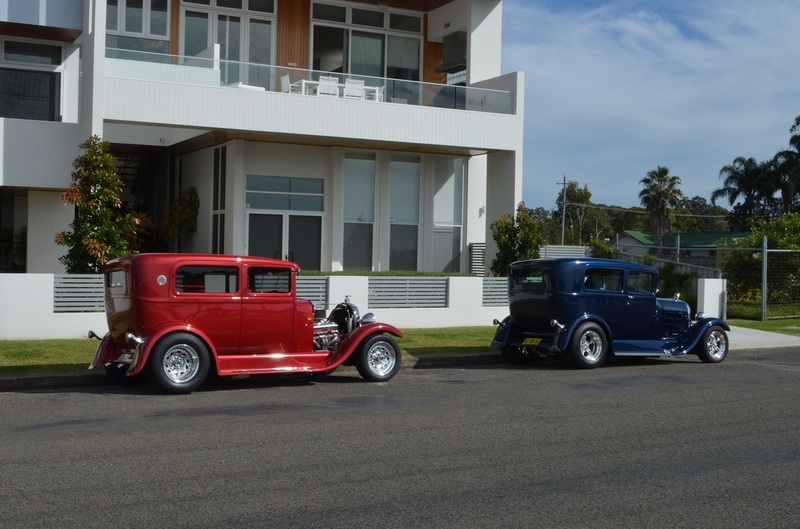 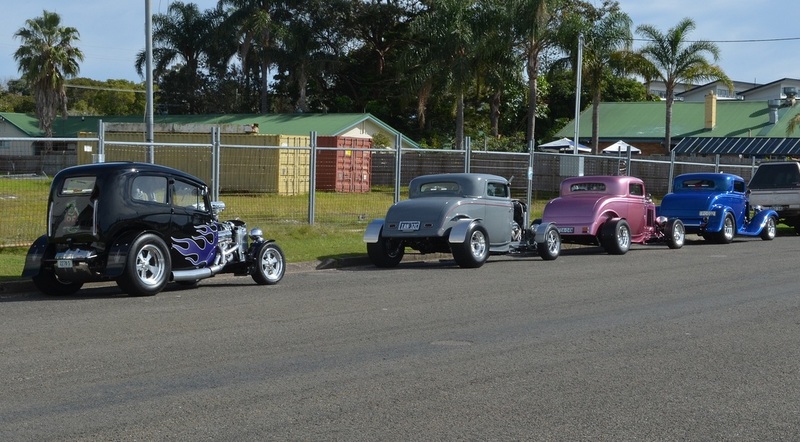 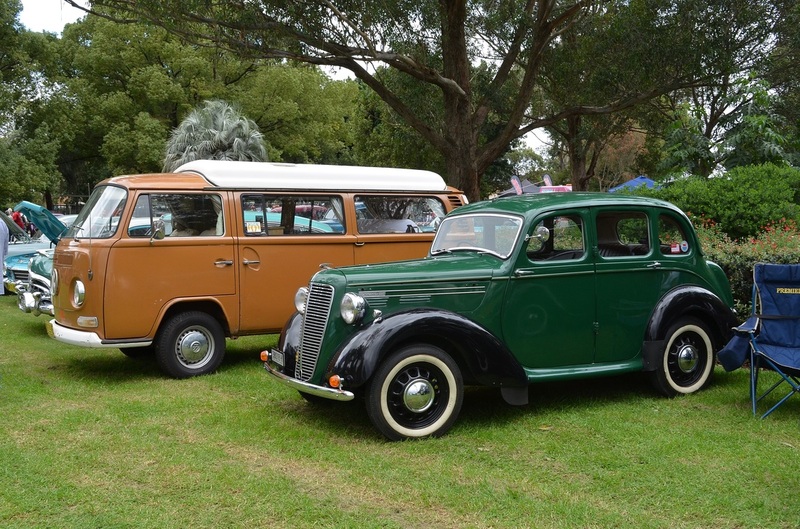 It was another very successful year and is one of the premium car shows on through the year. 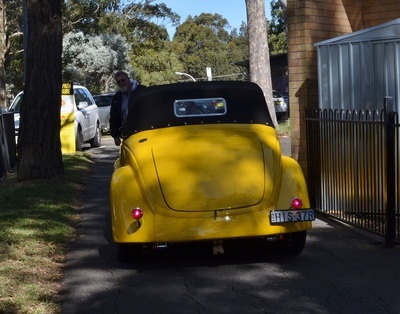 Thanks for the photos Ian.